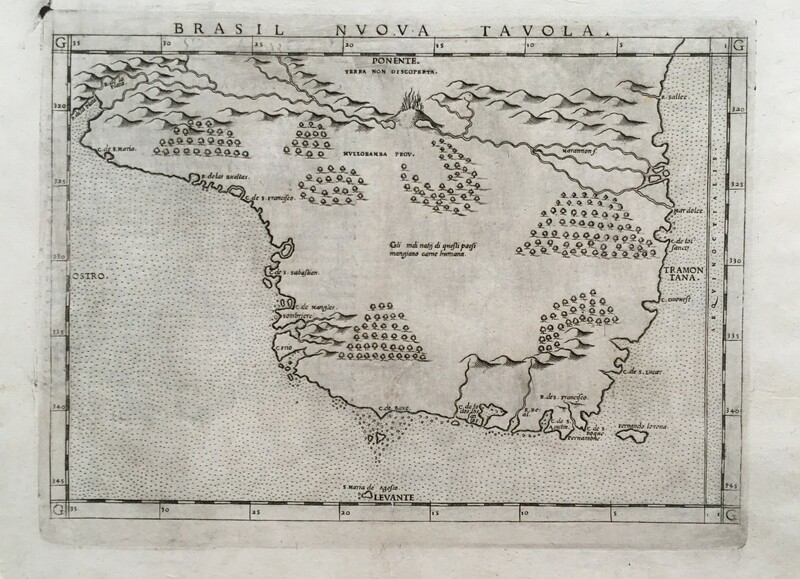 The mythical island of Brazil and Asmaide is on the map. 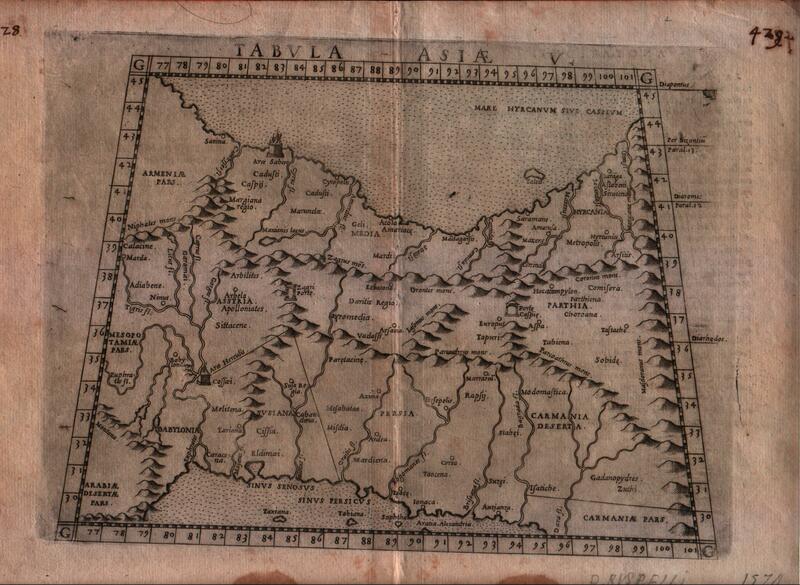 Central Asia North of India. 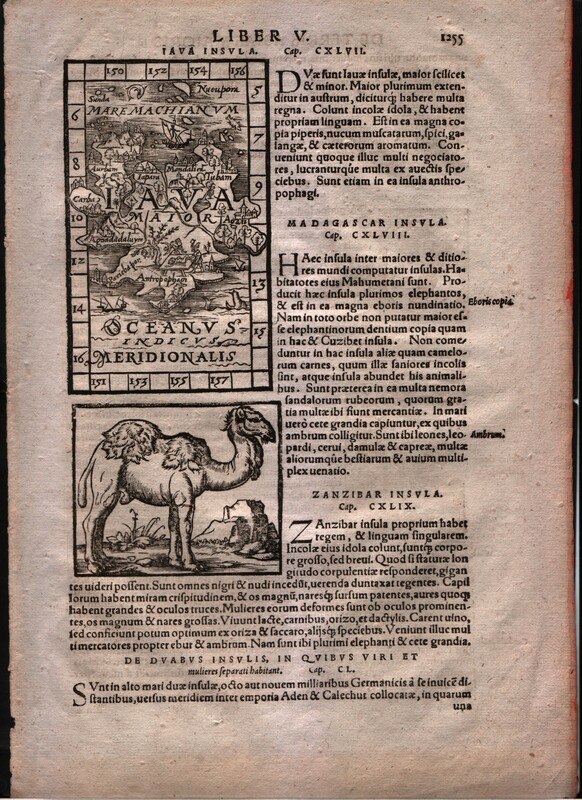 Showing in the margin on either side three different imaginary human congenital malformations, as well as a one legged bird. 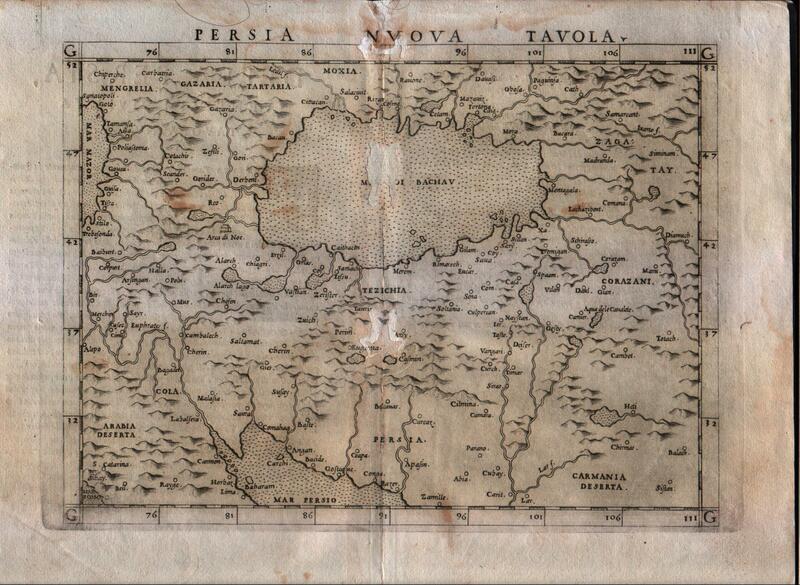 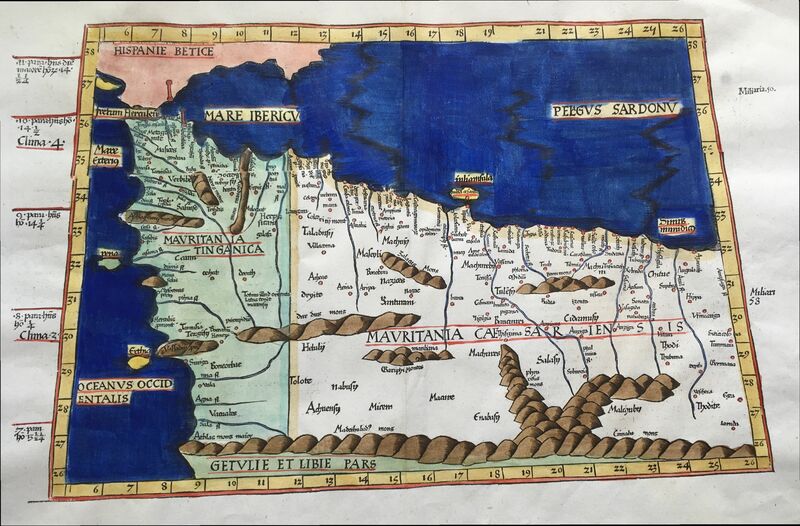 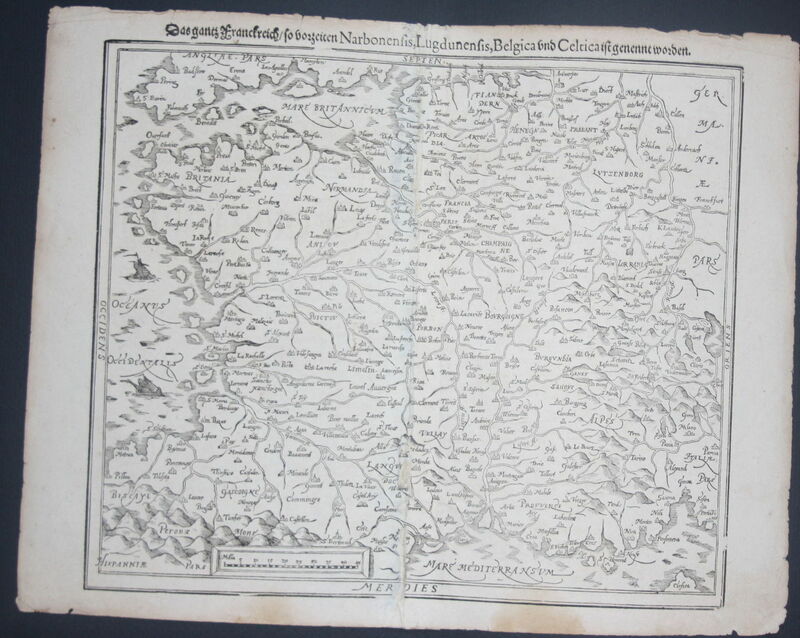 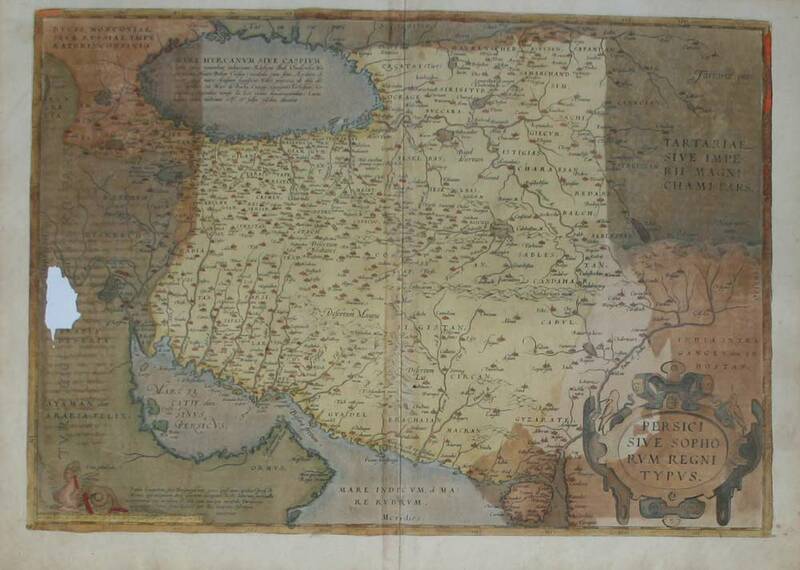 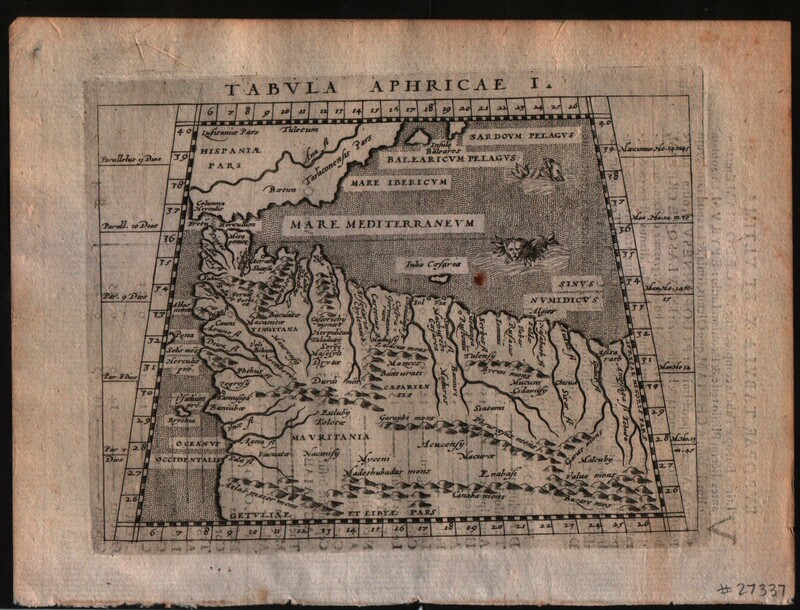 Ptolemaic map of the region between the Caspian Sea and the Persian Gulf. 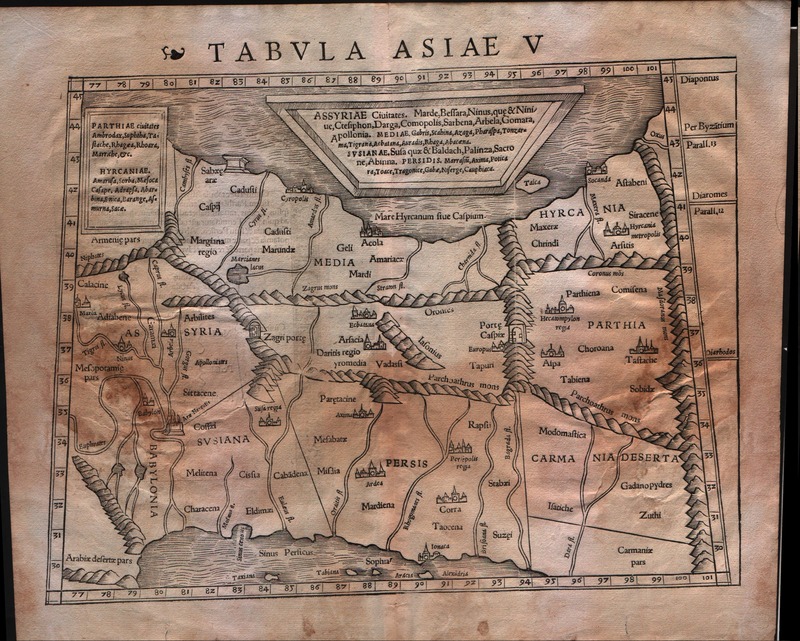 Numerous ancient cities including Babylon. 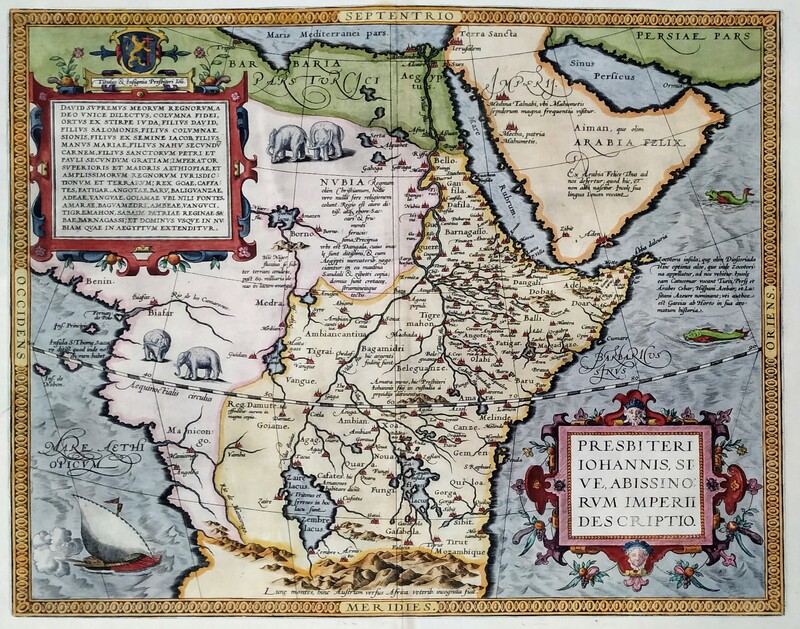 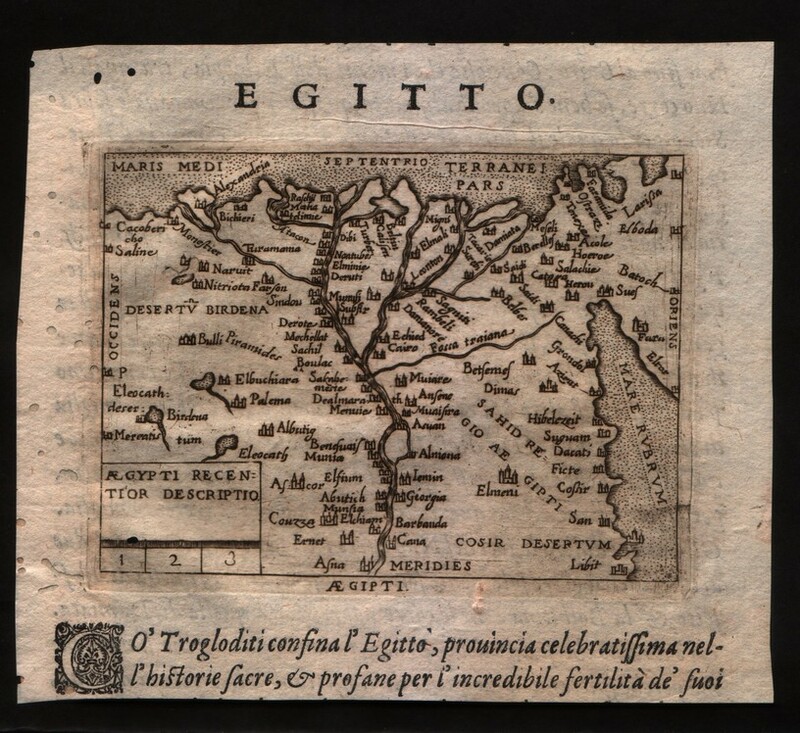 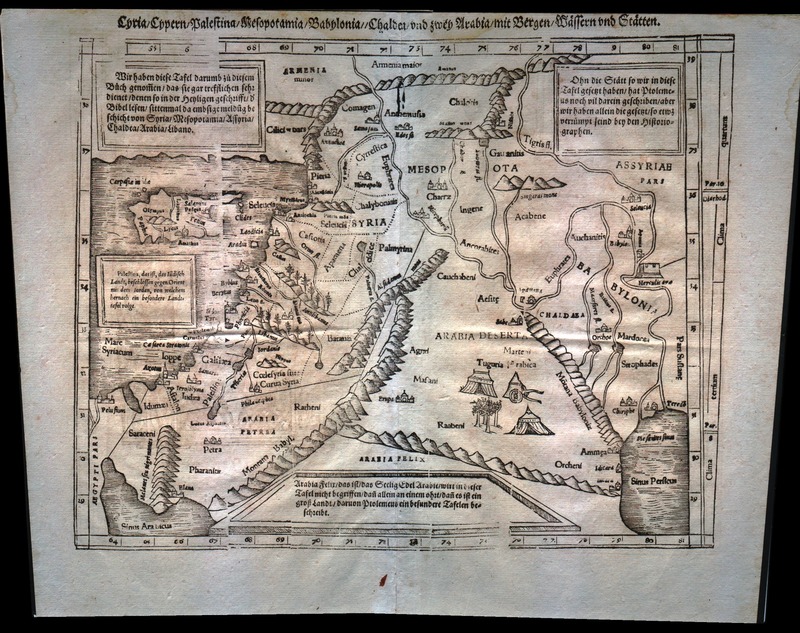 Middle East from the Nile Delta to the southern coast of Turkey. 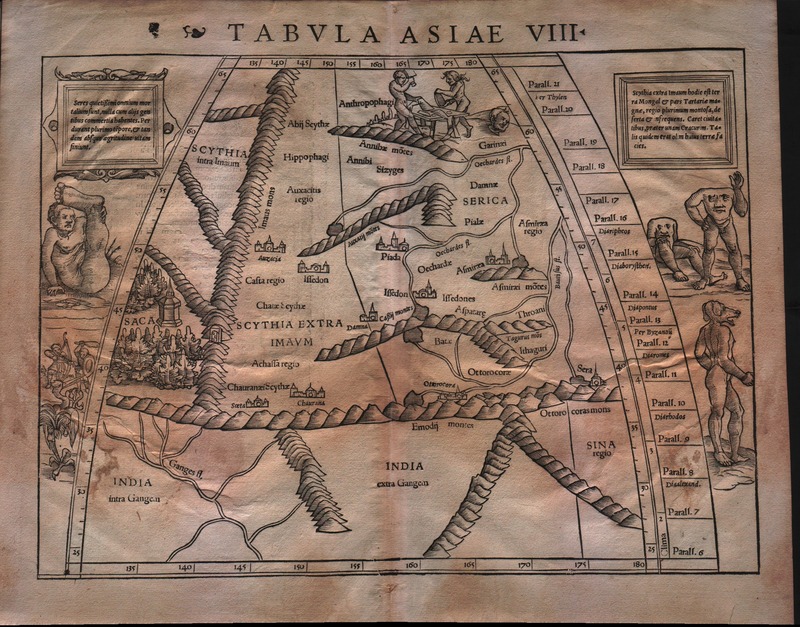 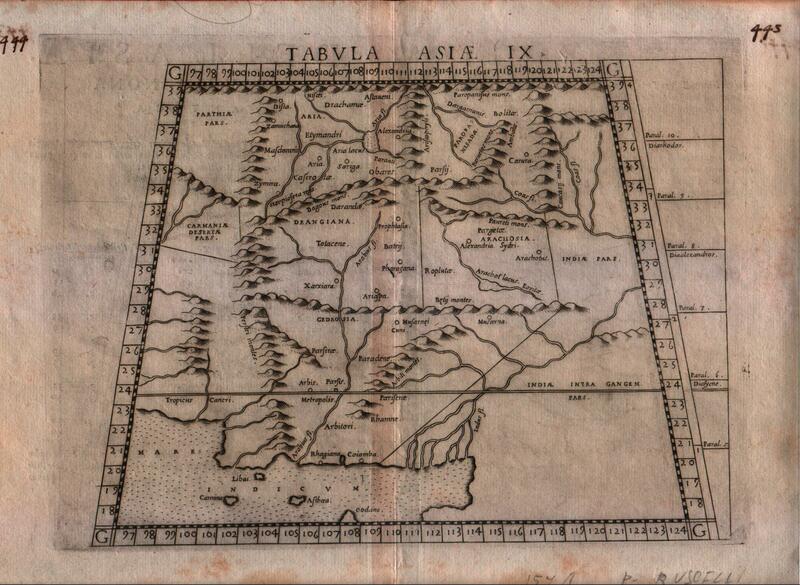 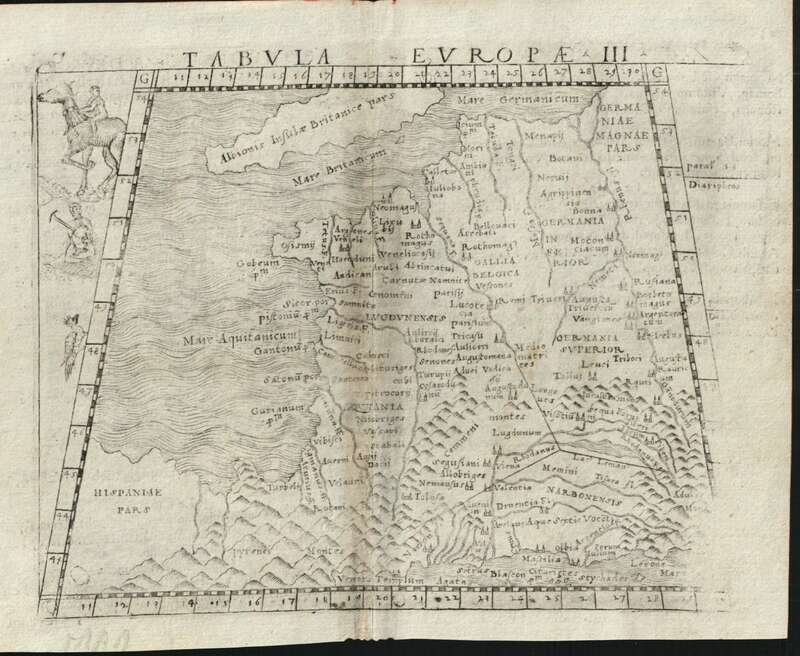 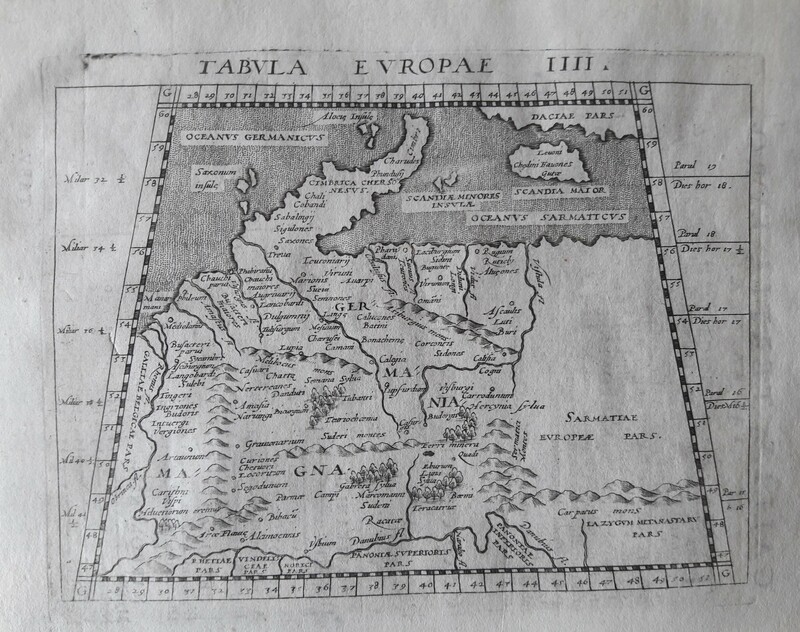 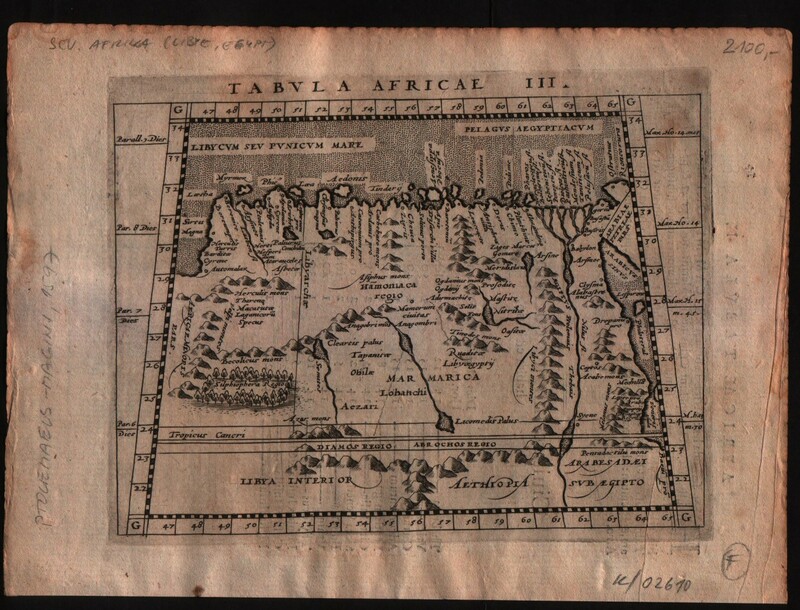 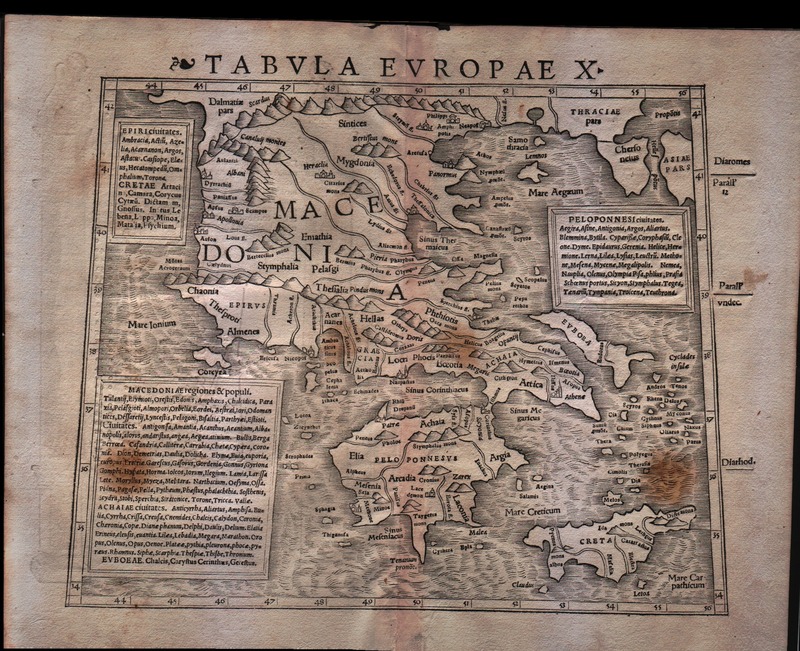 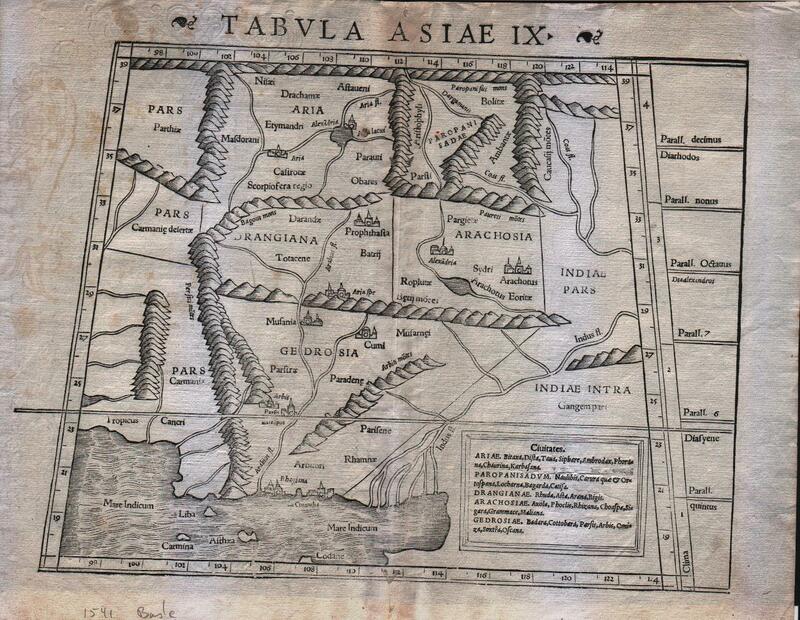 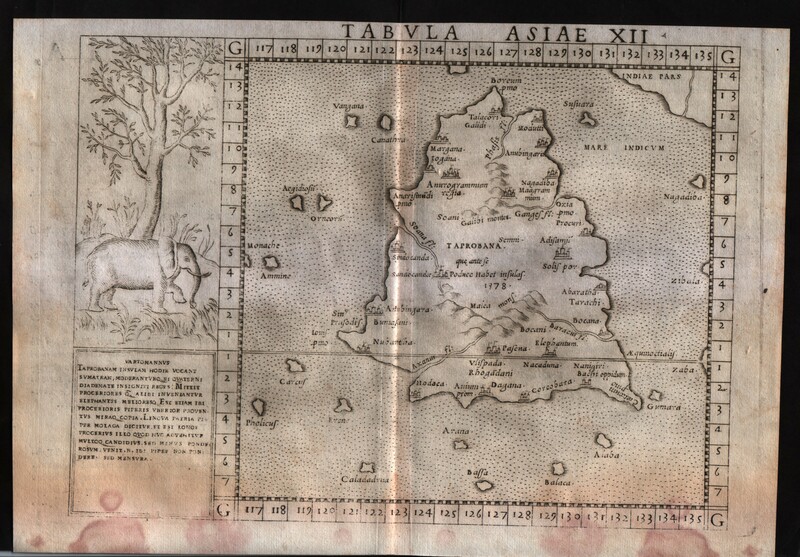 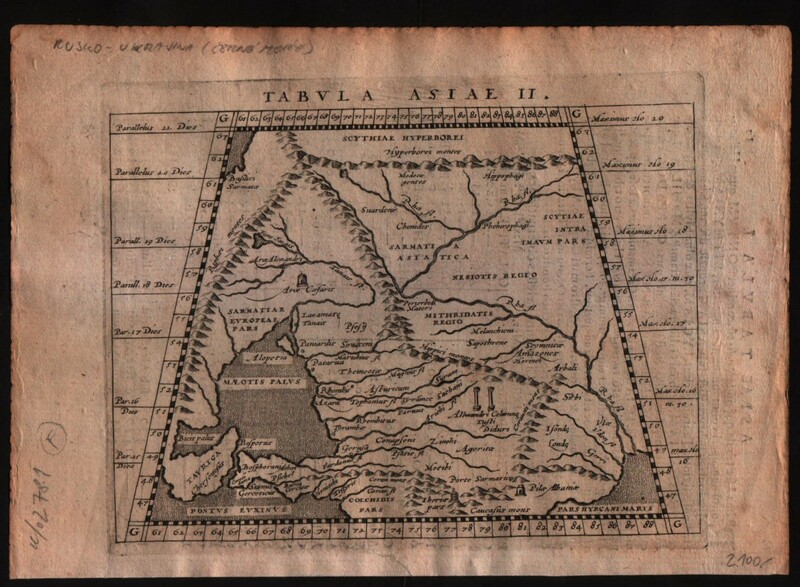 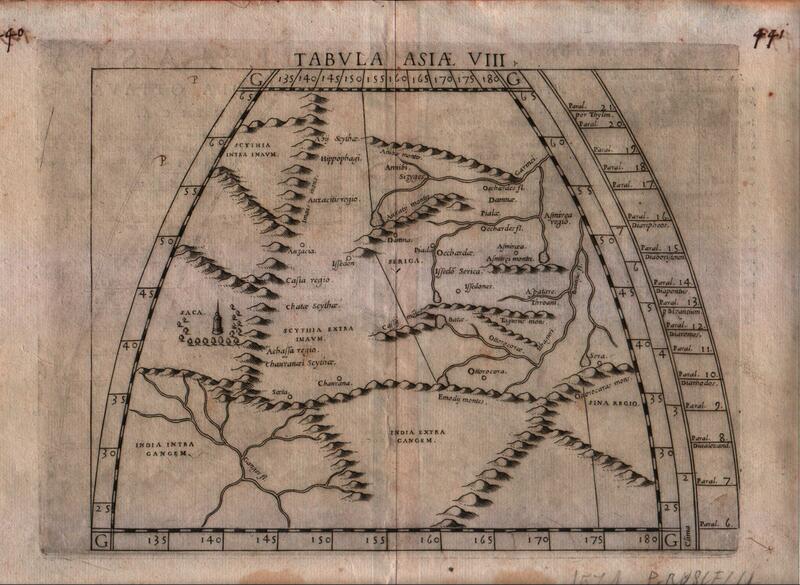 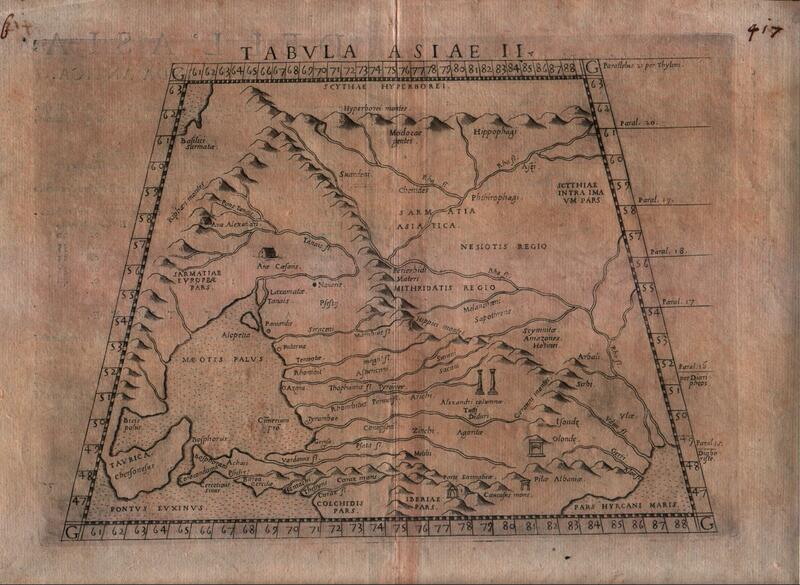 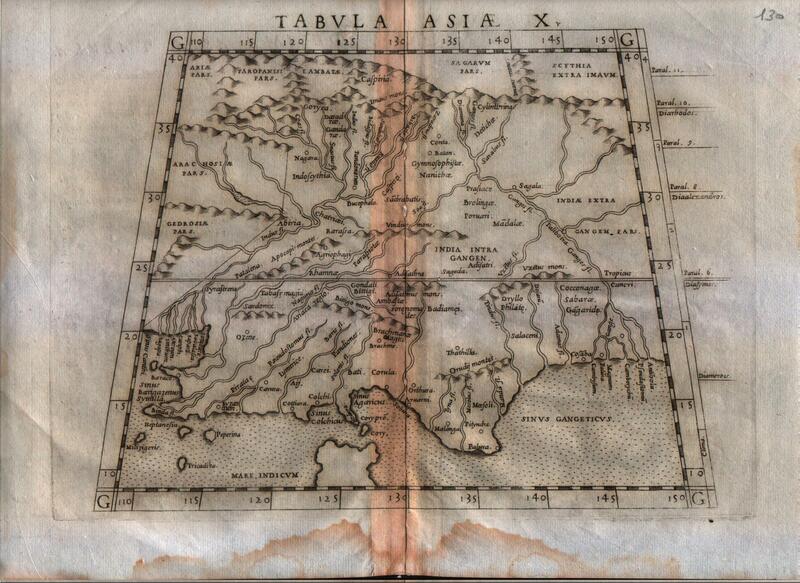 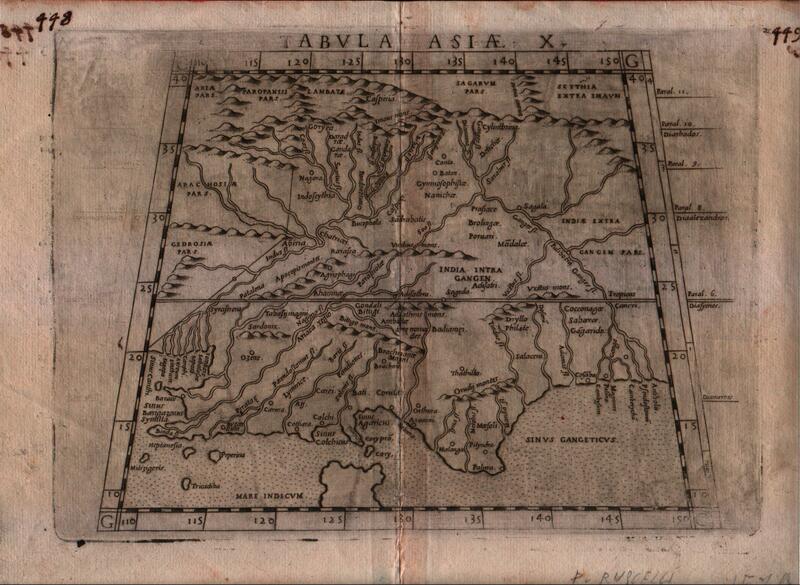 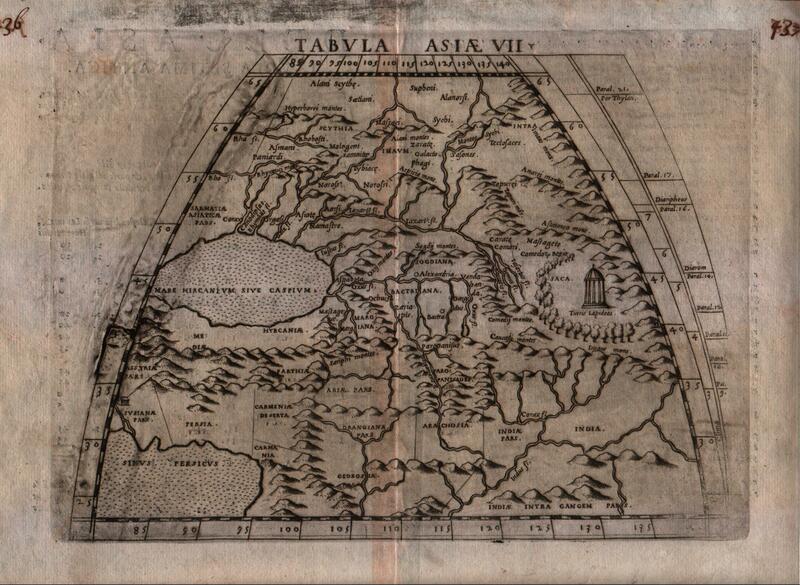 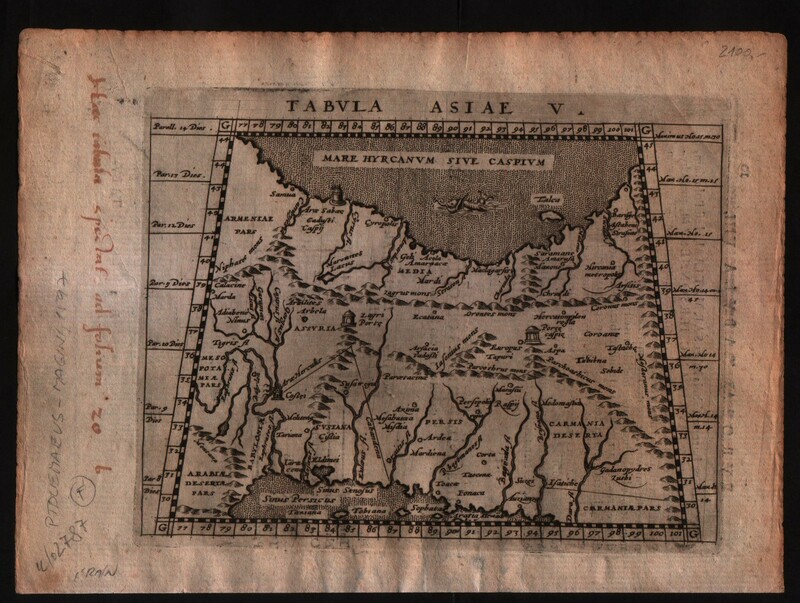 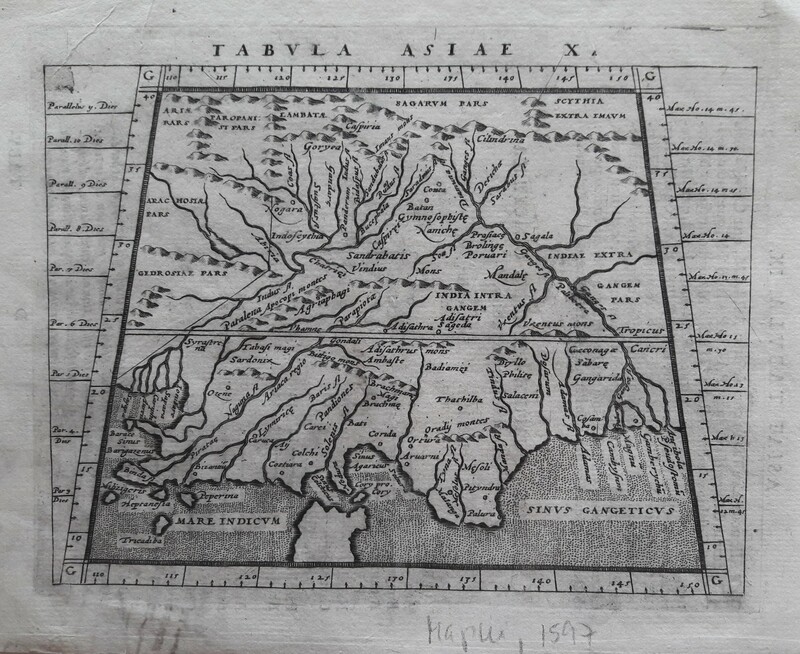 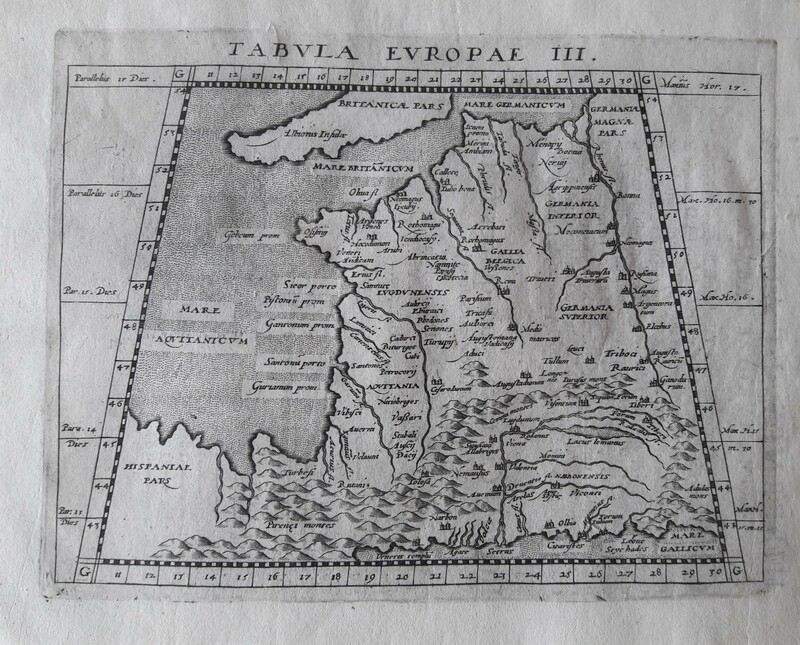 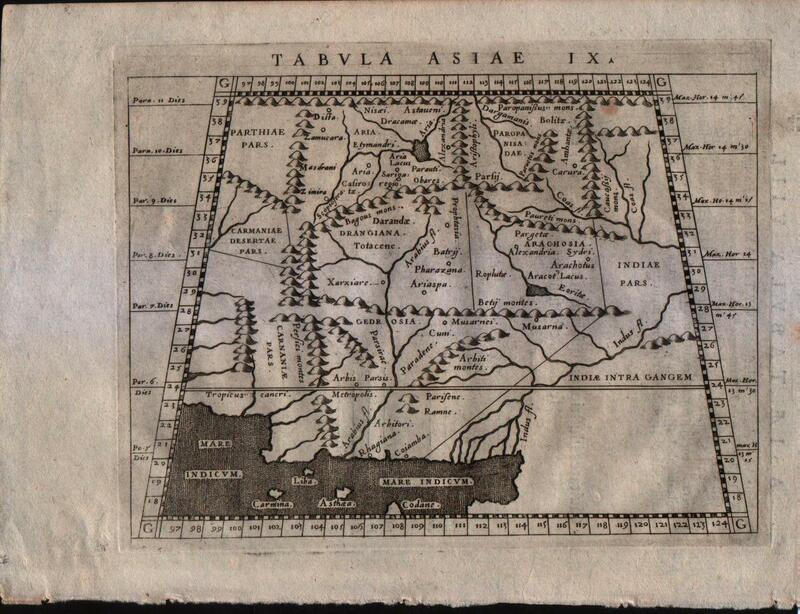 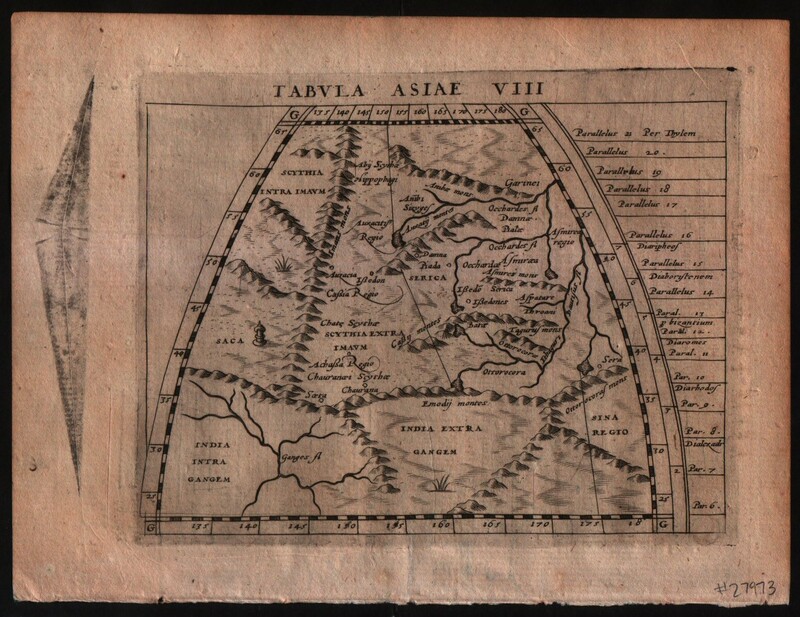 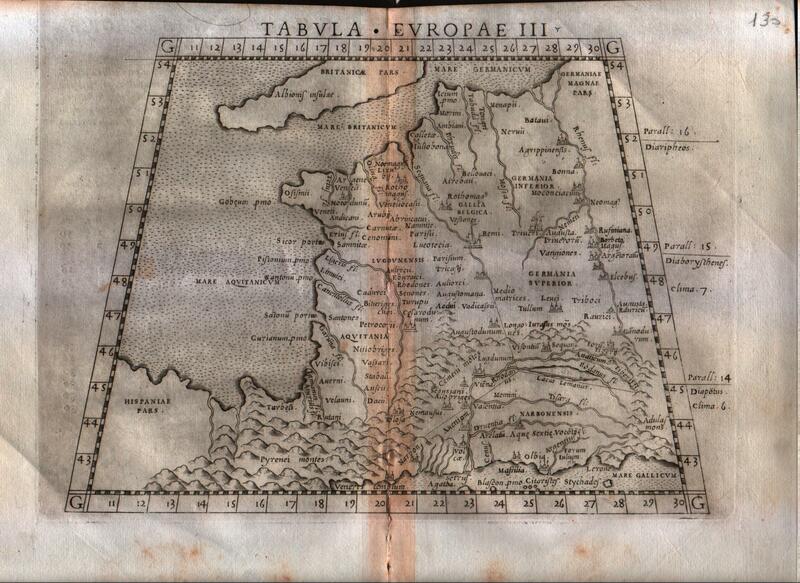 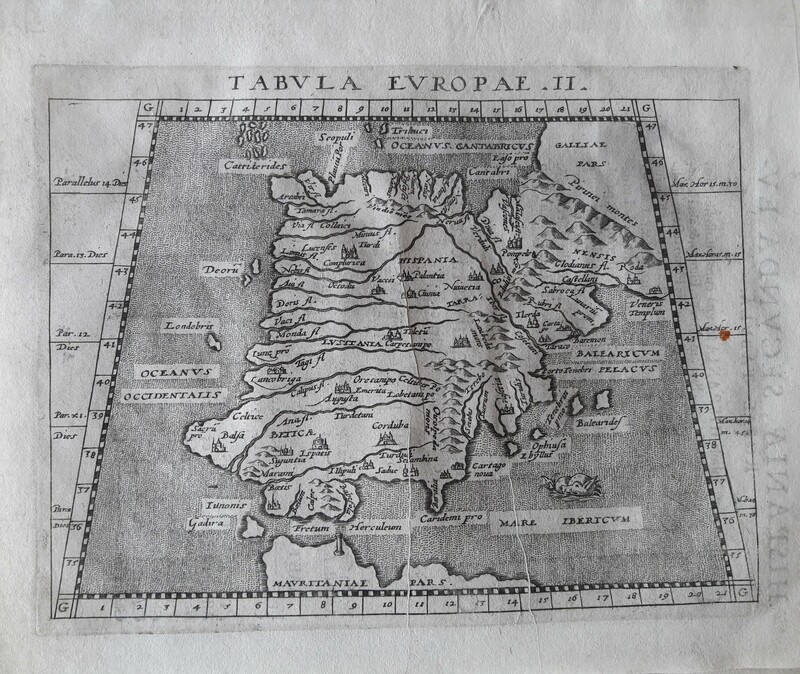 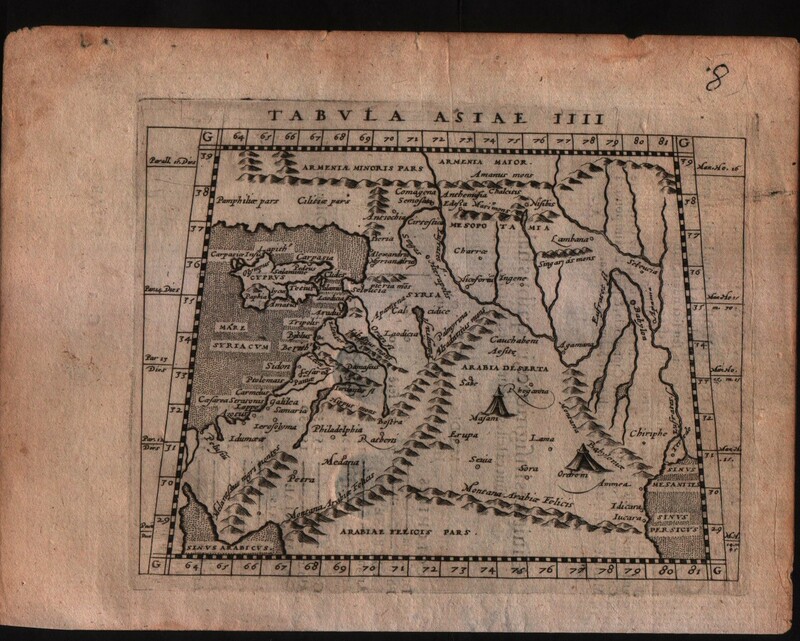 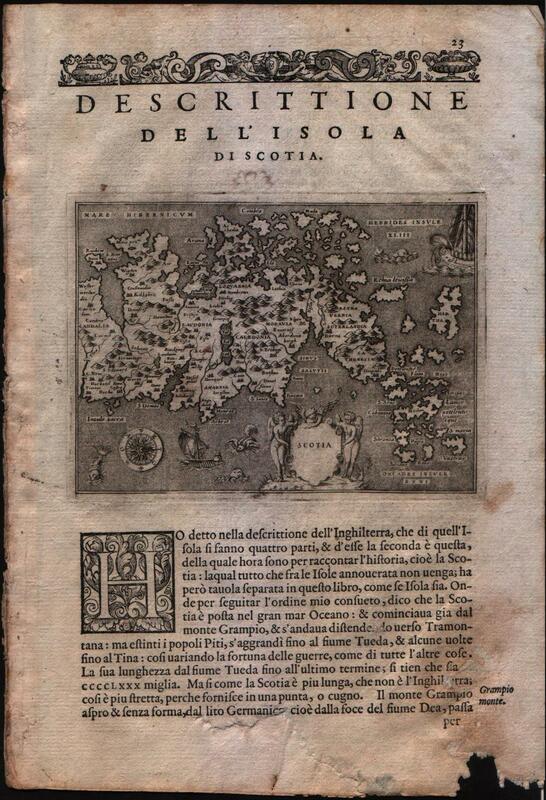 Tabulae Asiae IV. 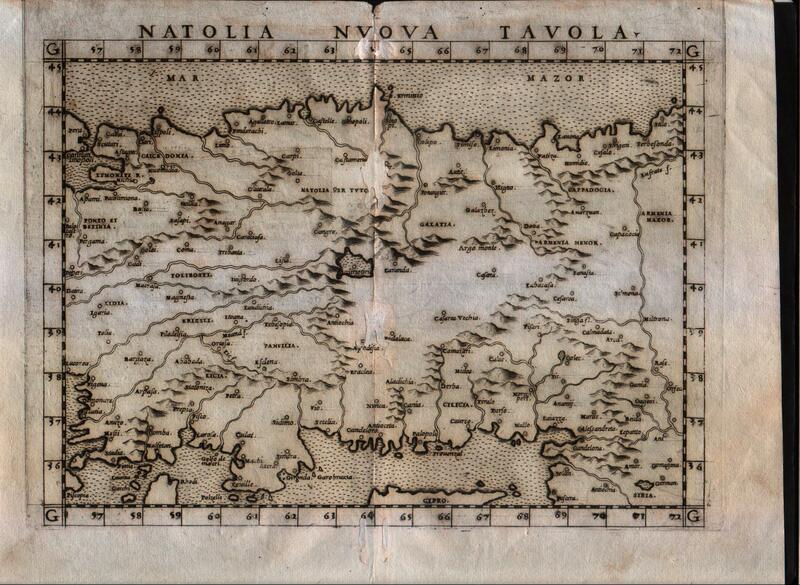 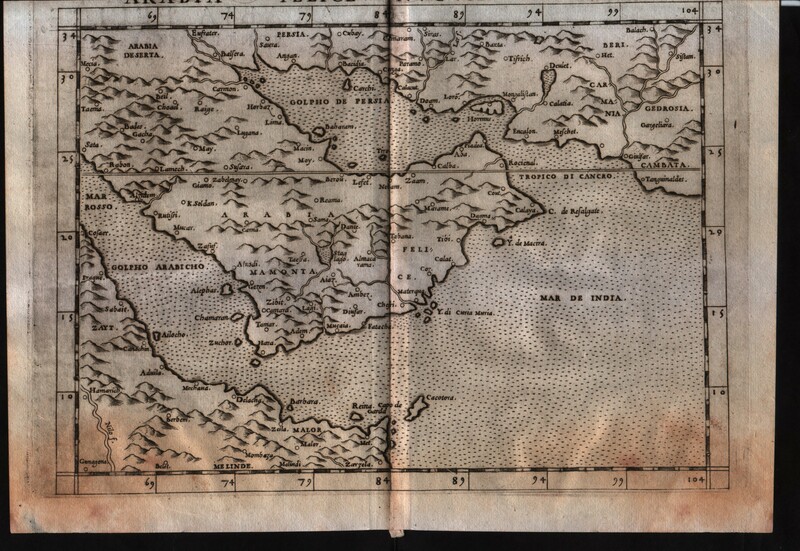 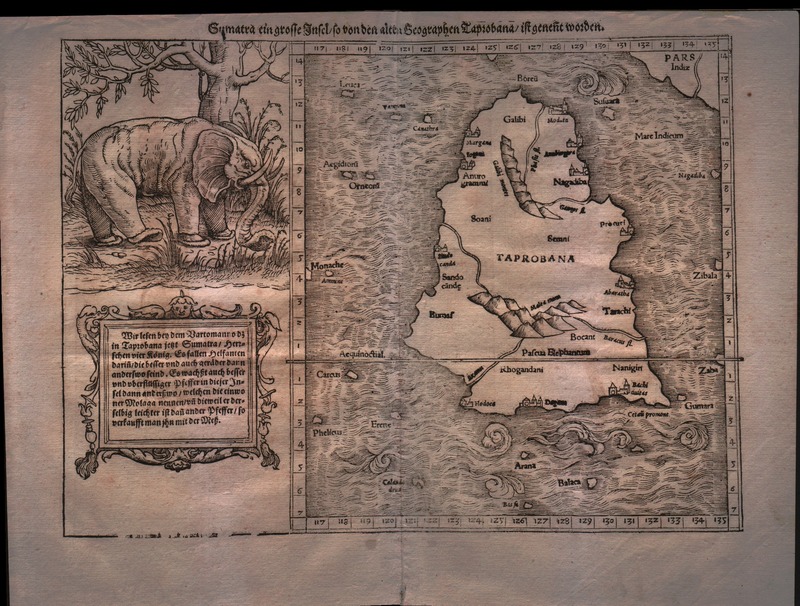 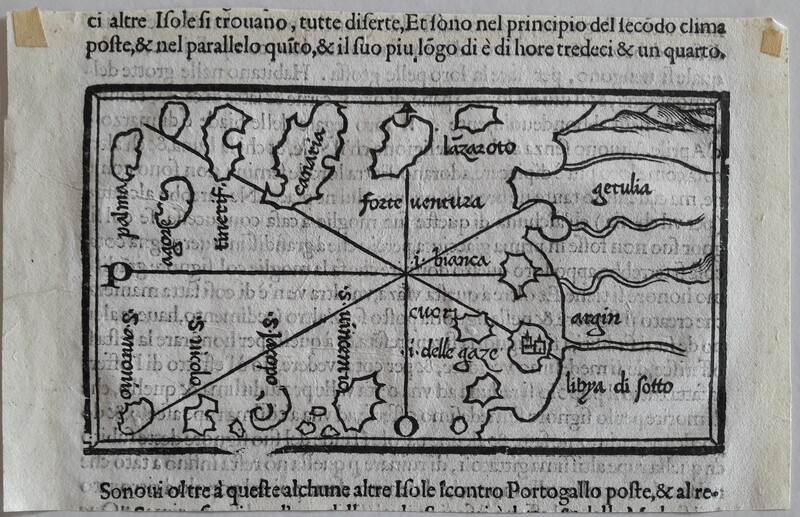 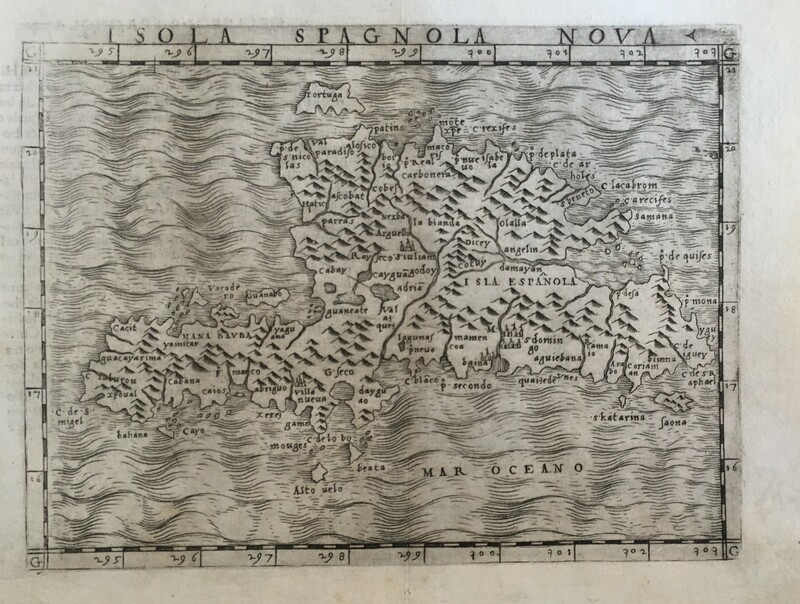 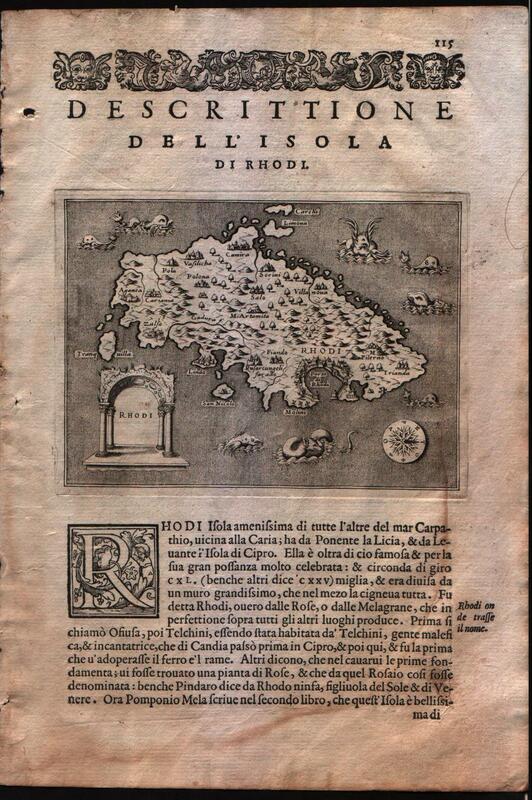 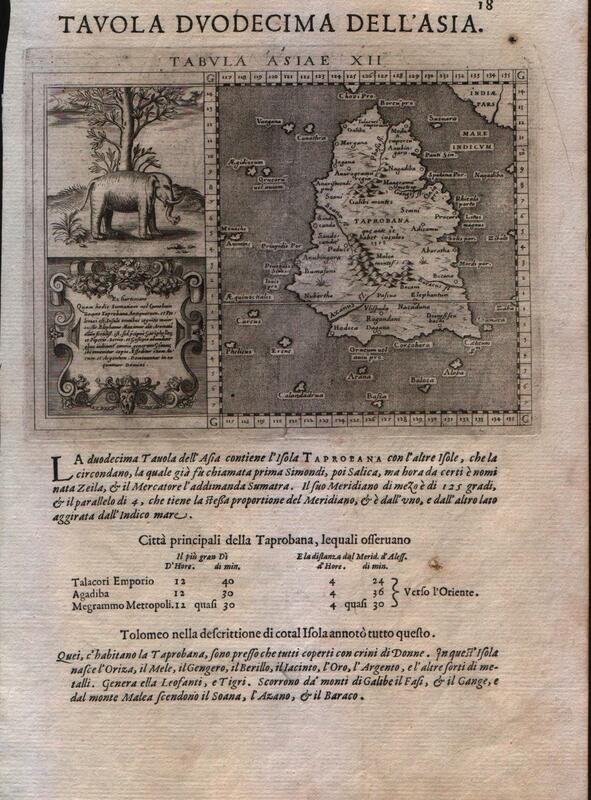 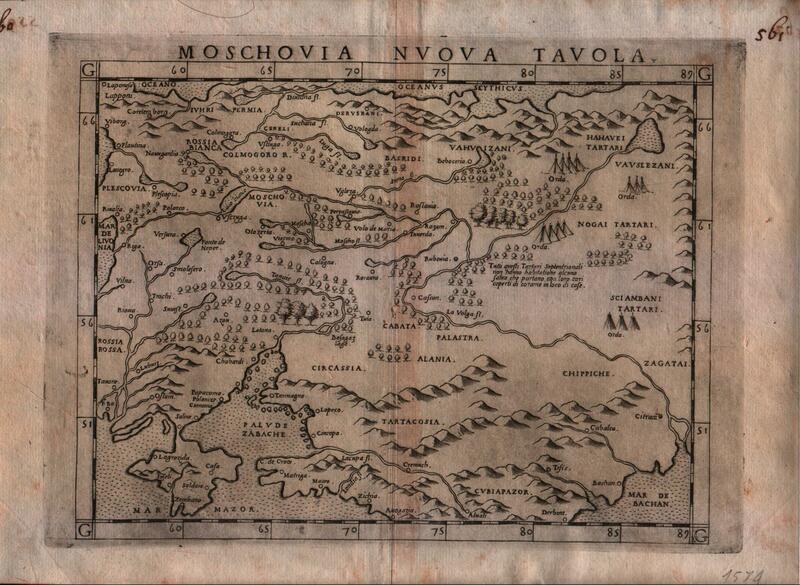 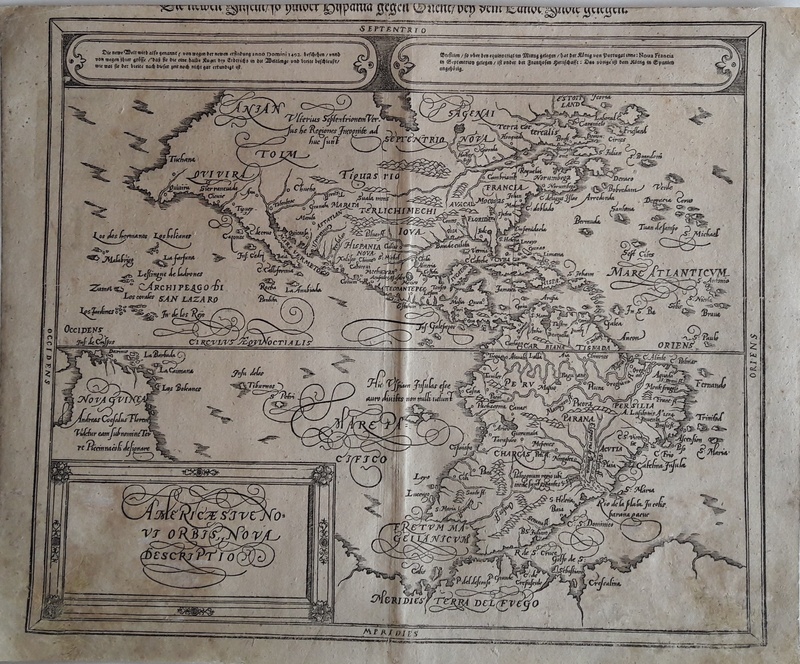 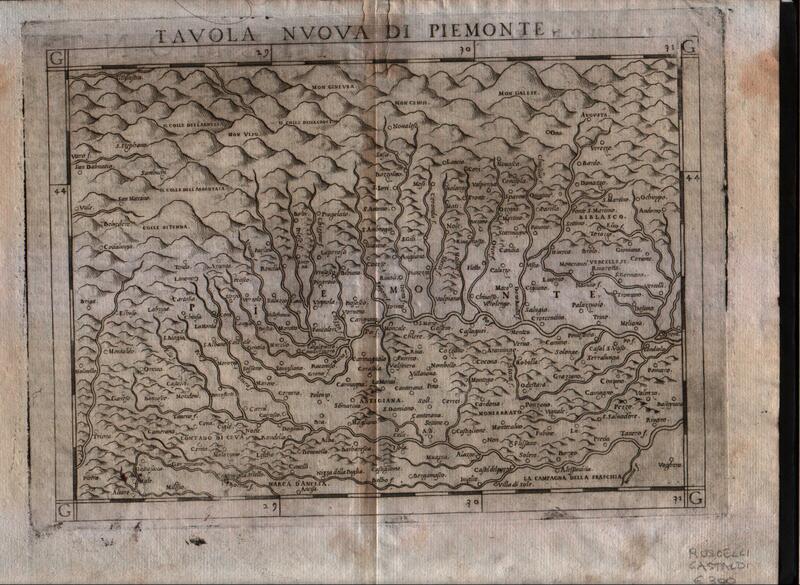 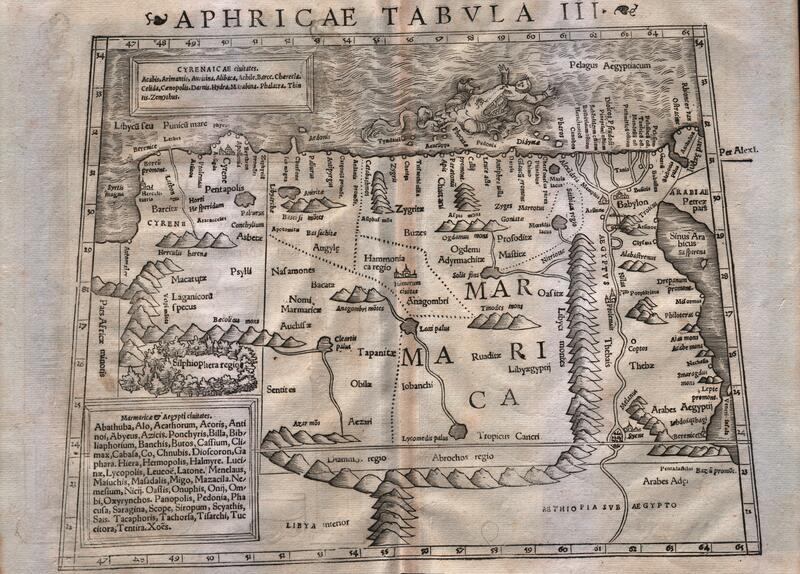 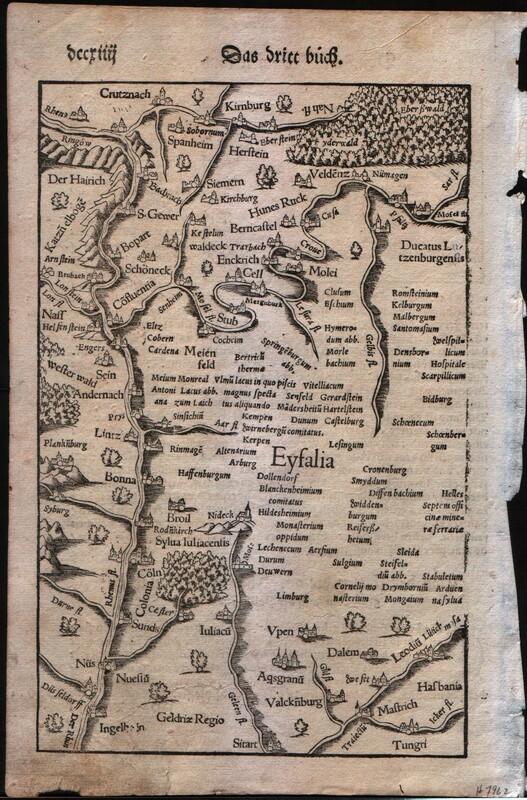 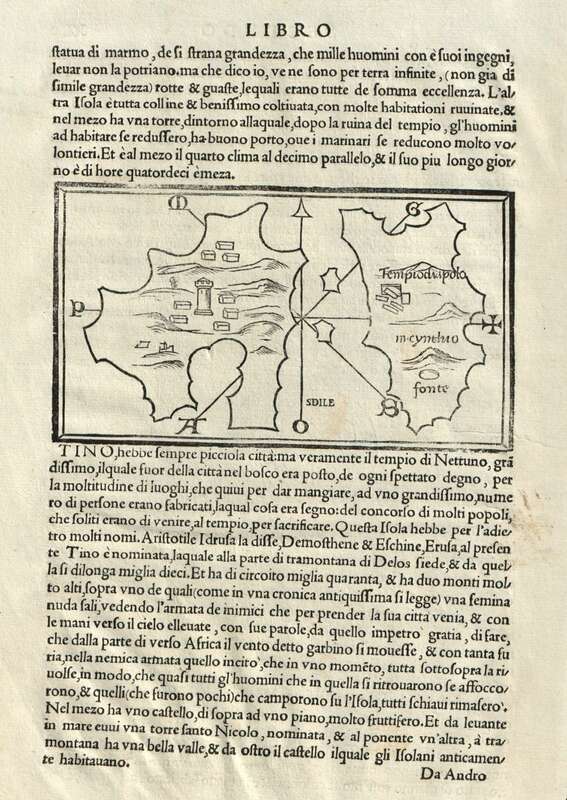 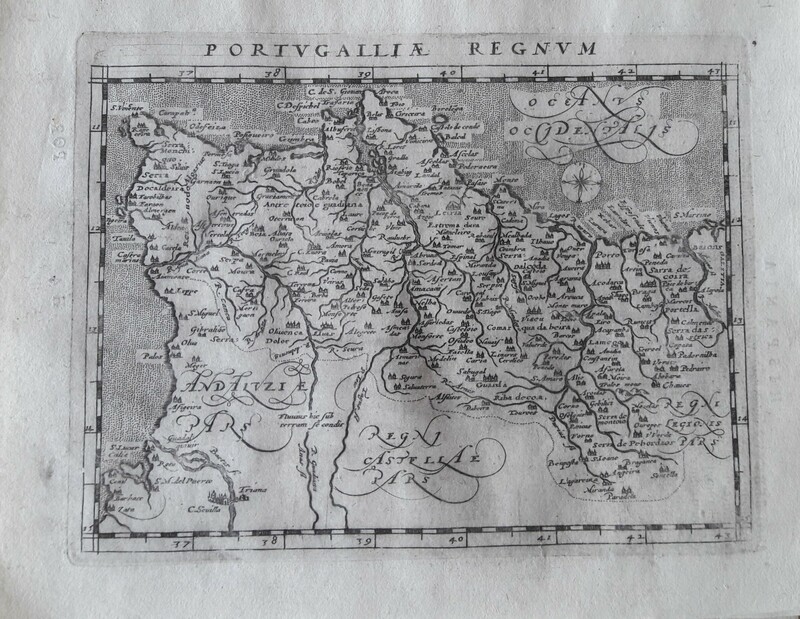 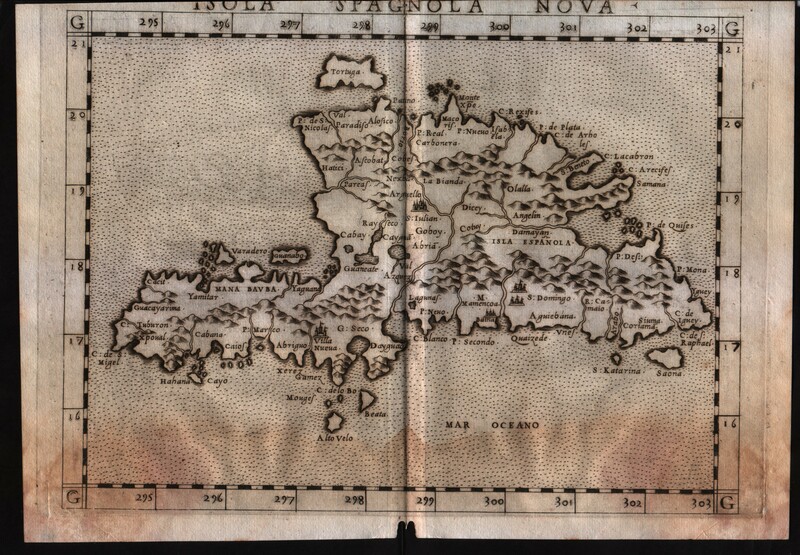 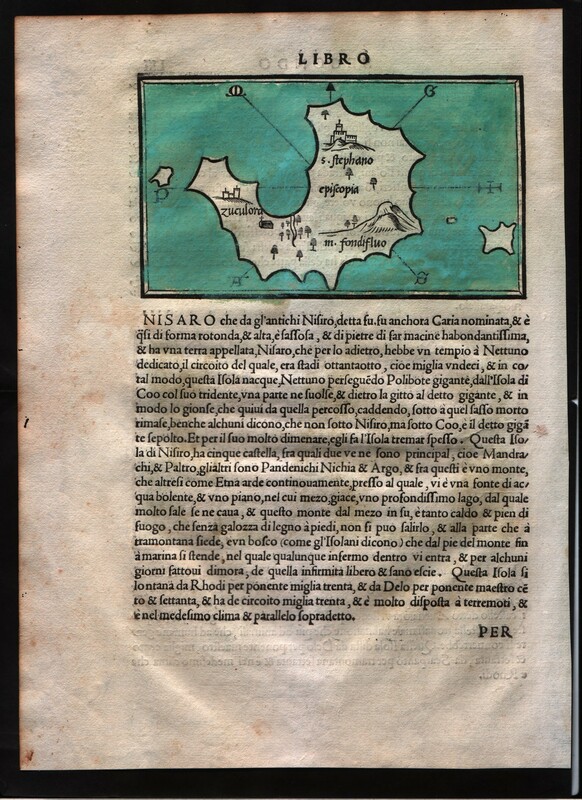 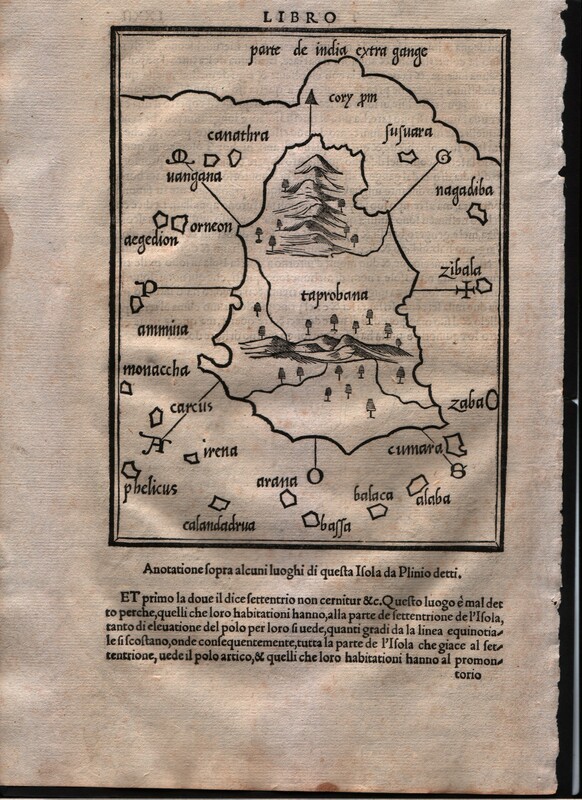 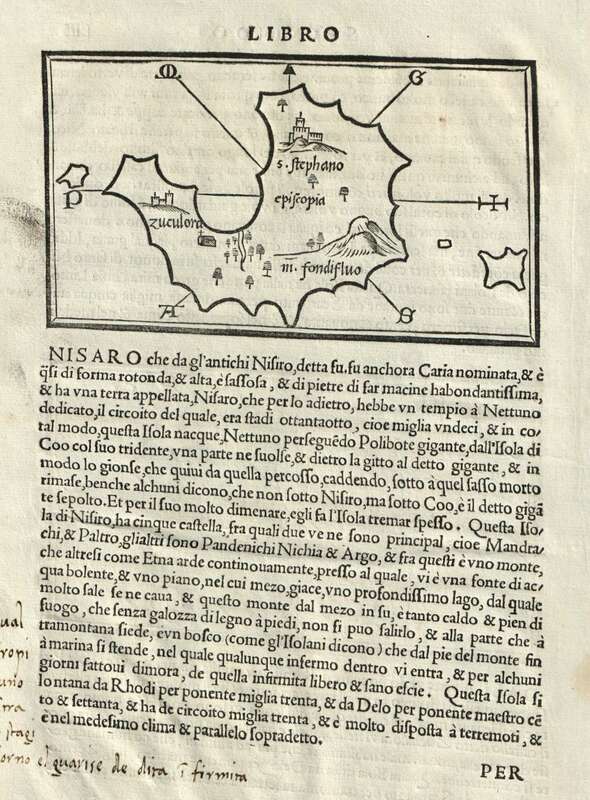 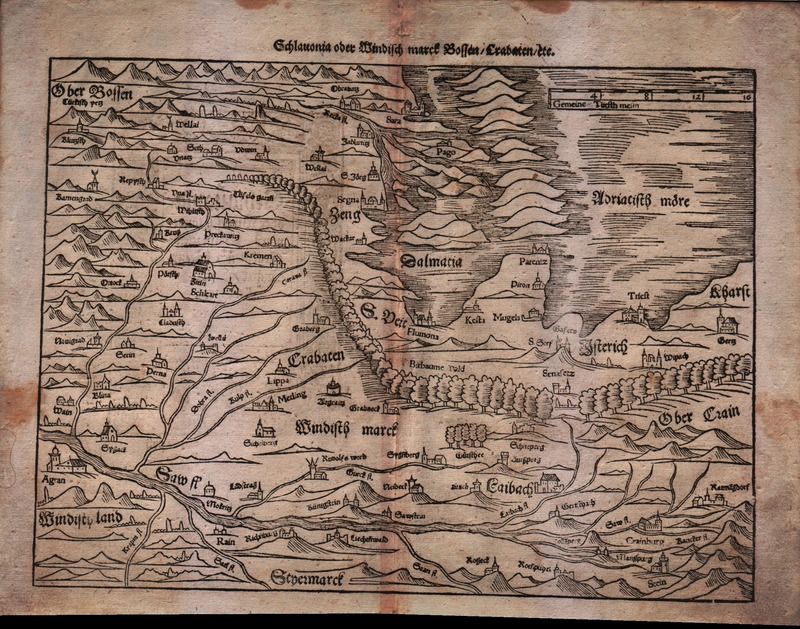 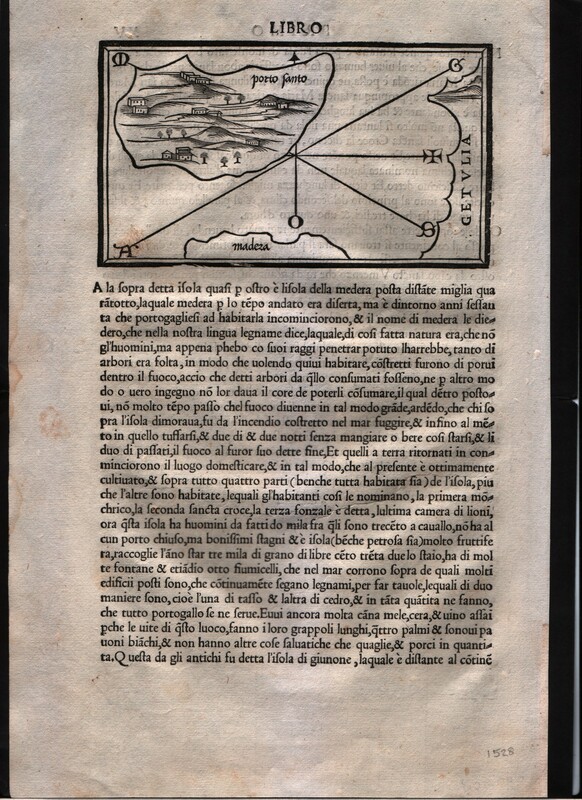 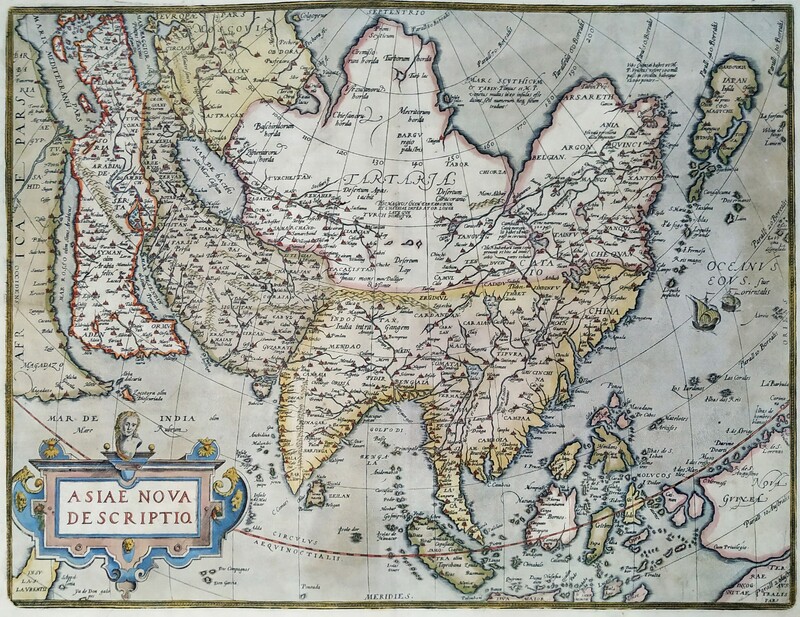 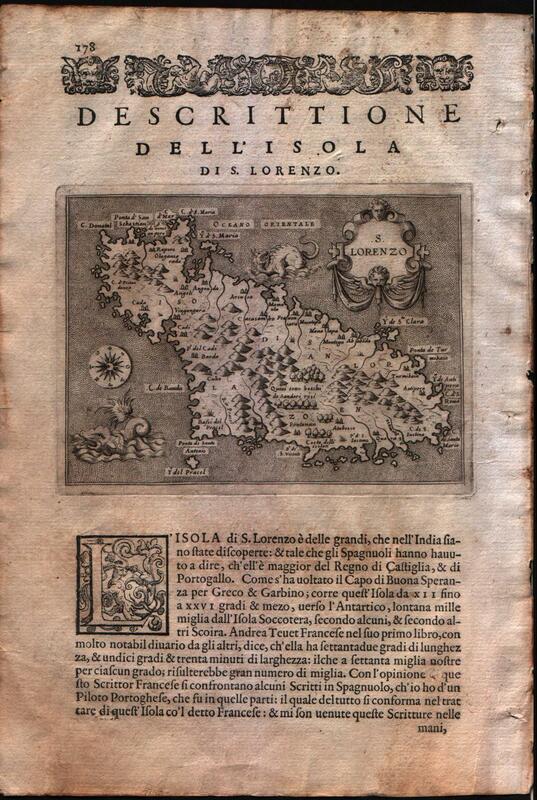 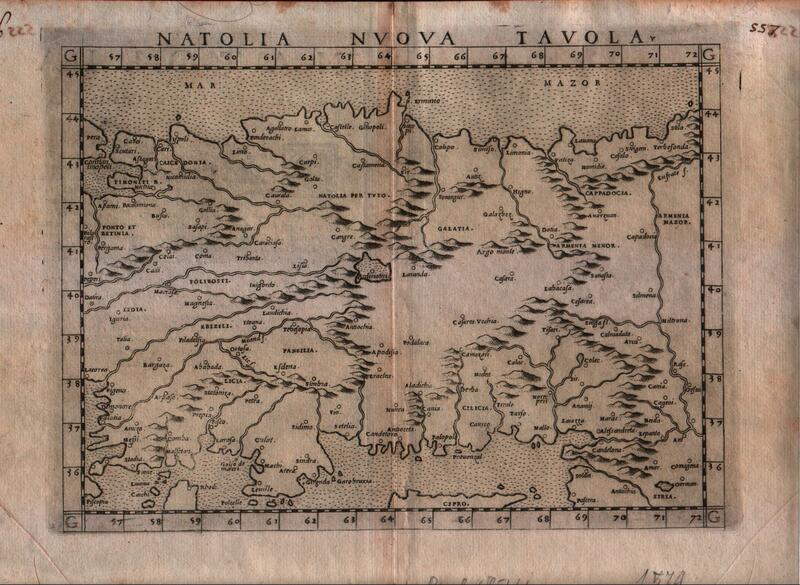 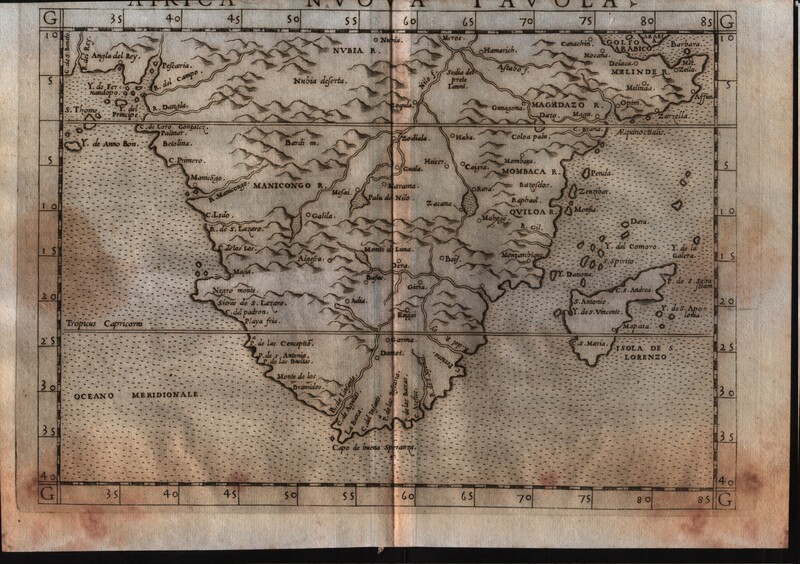 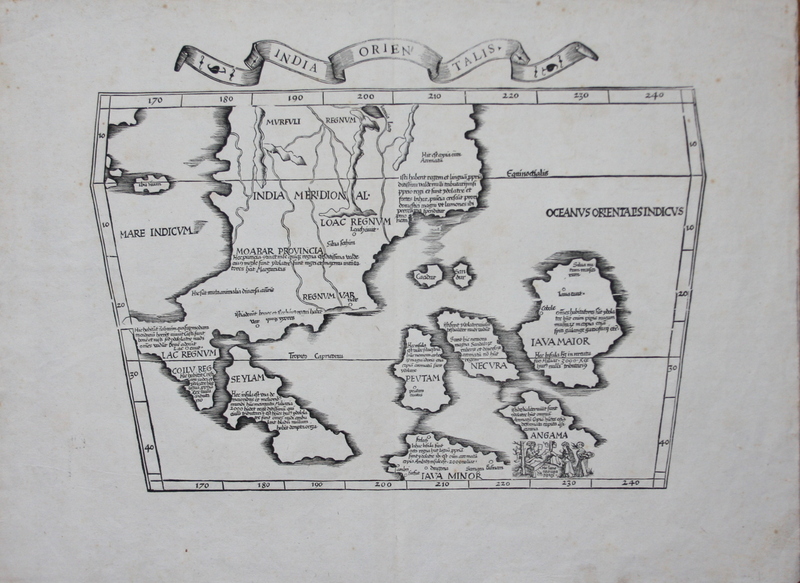 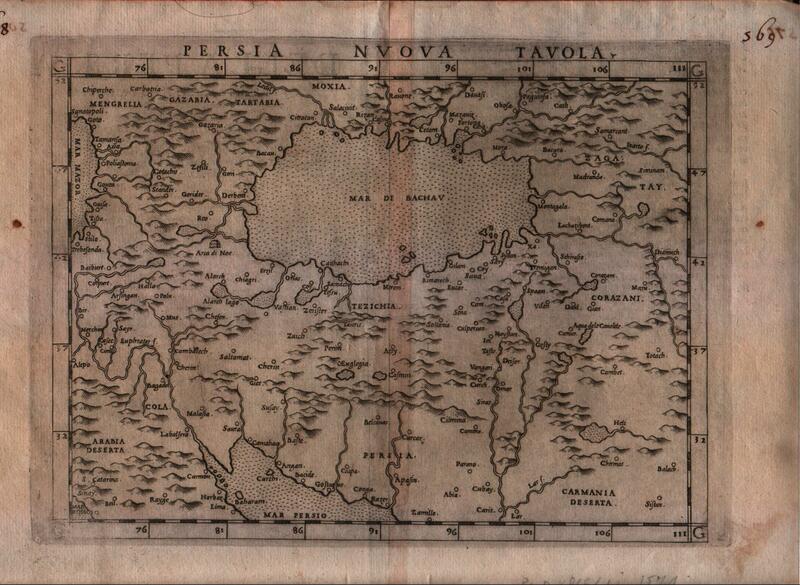 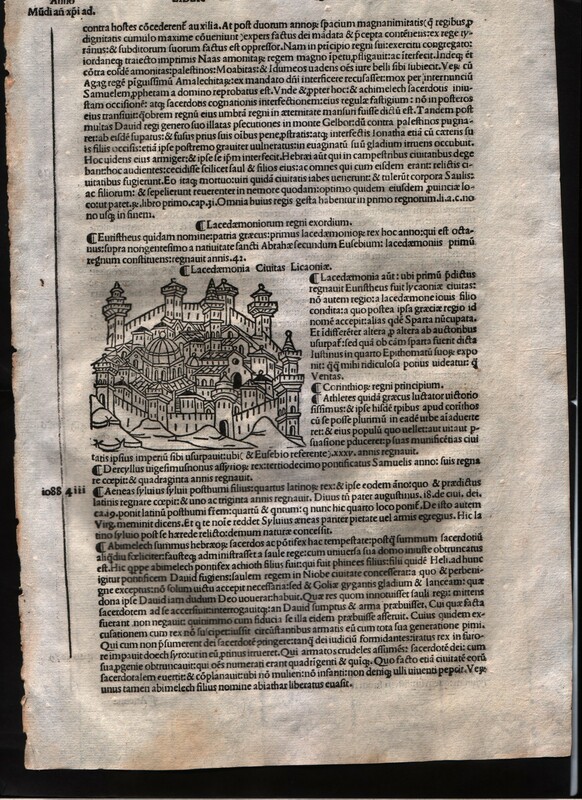 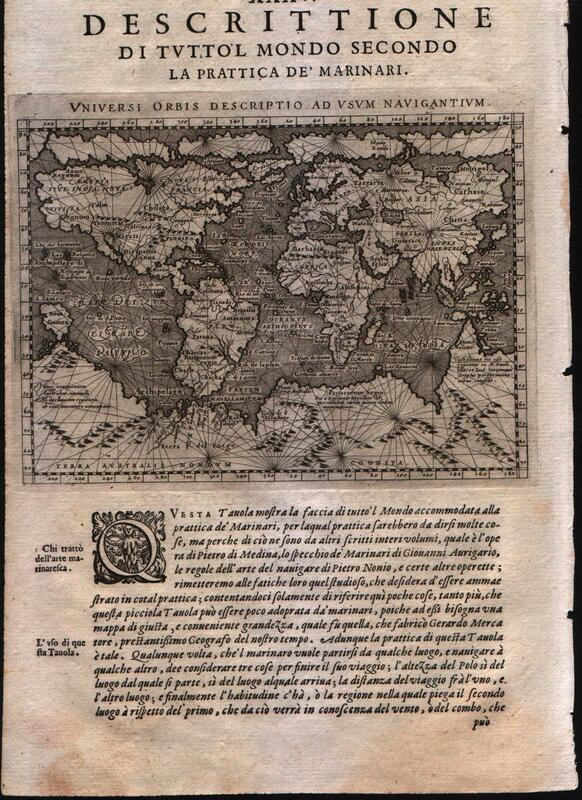 Superb woodcut map of North/South America, has Magellan's ship in the Pacific along with large Zipangi (Japan). 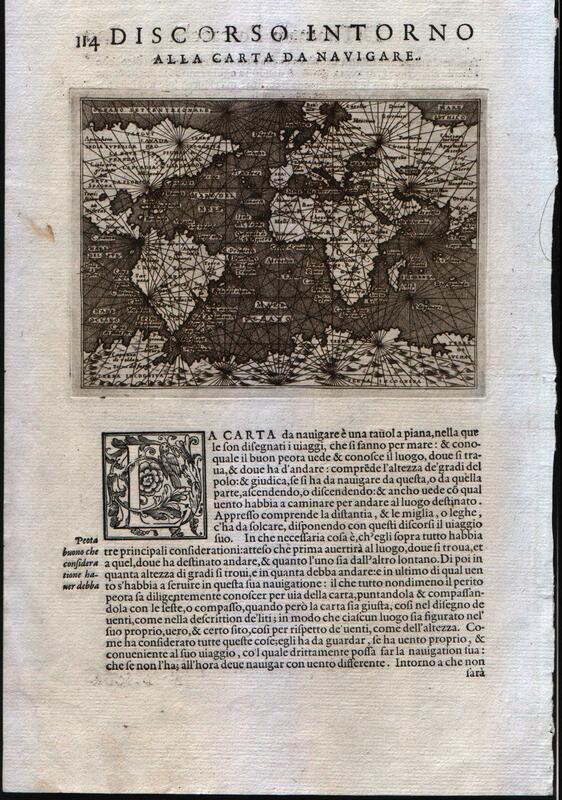 Cathay just makes page upper left. 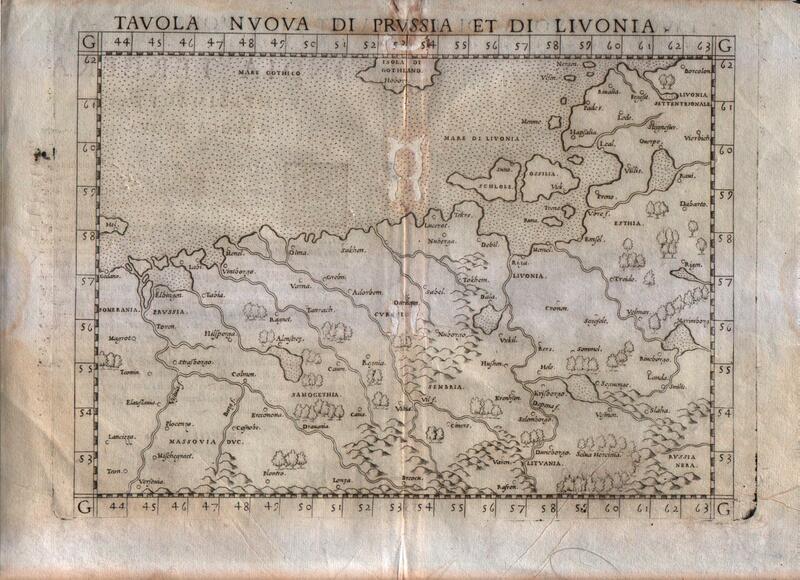 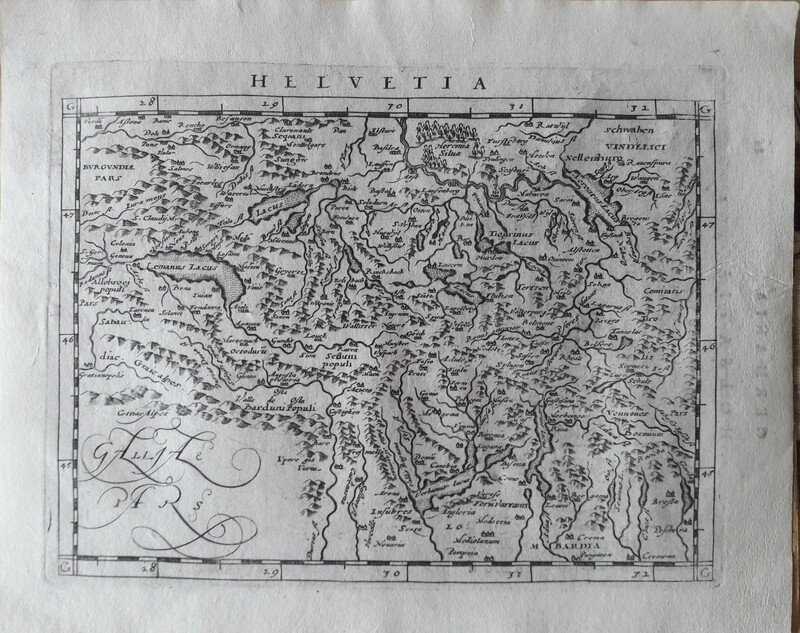 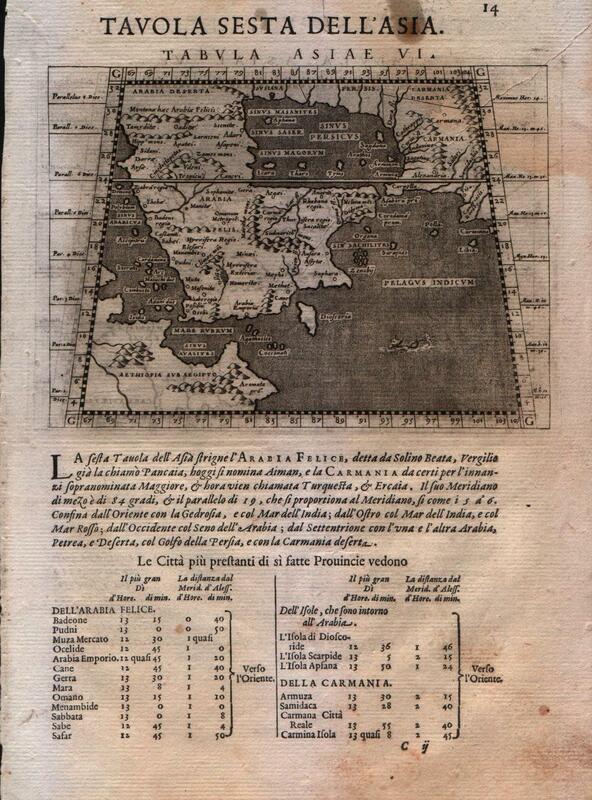 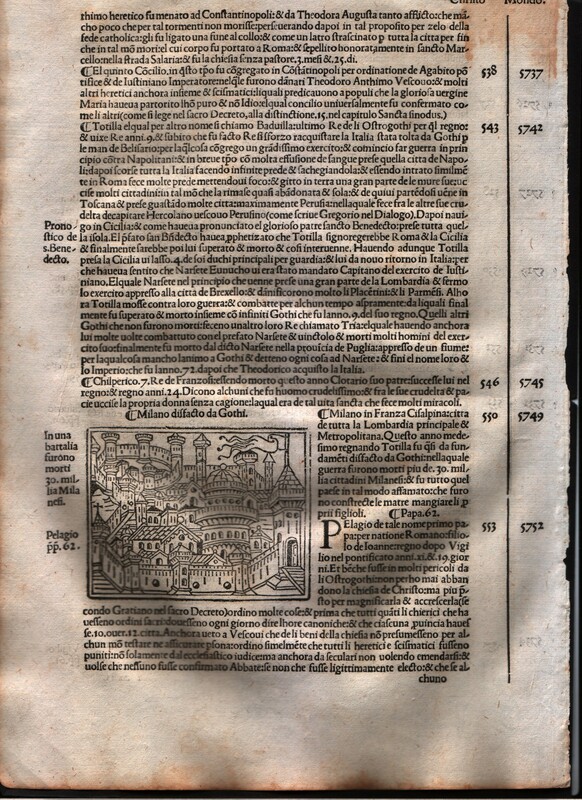 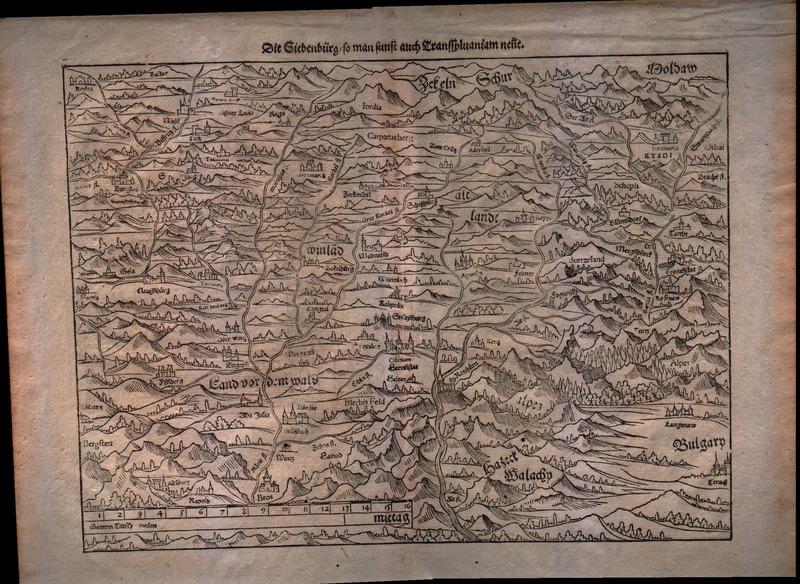 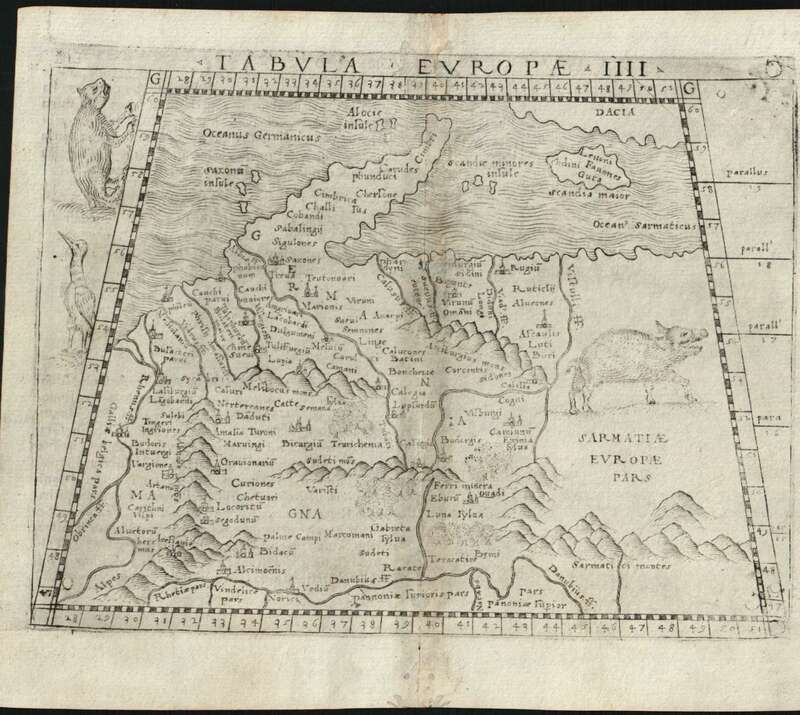 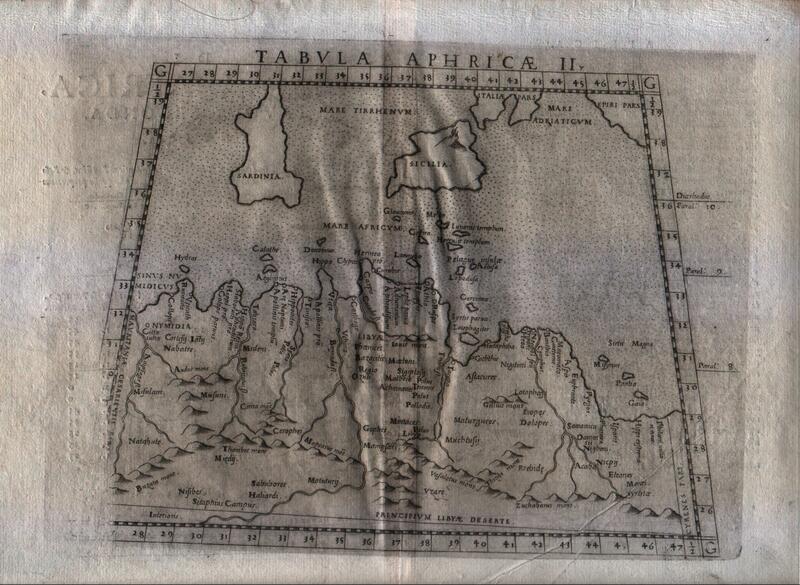 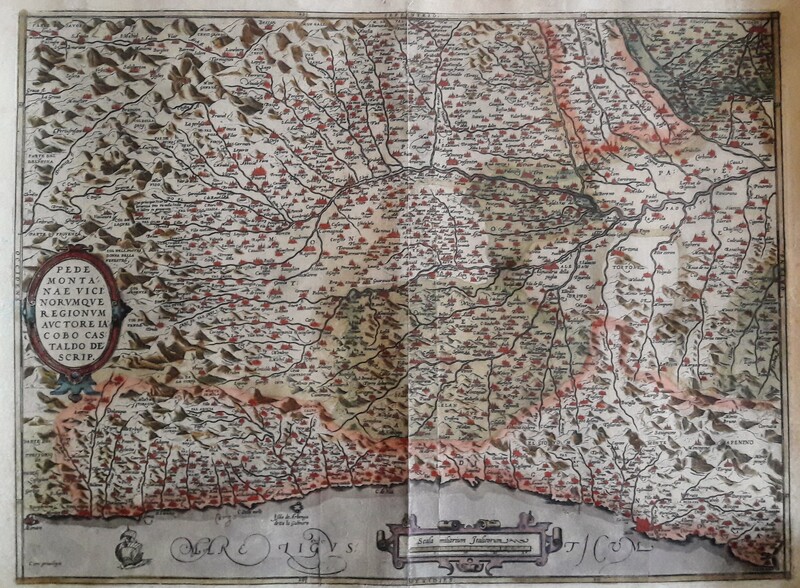 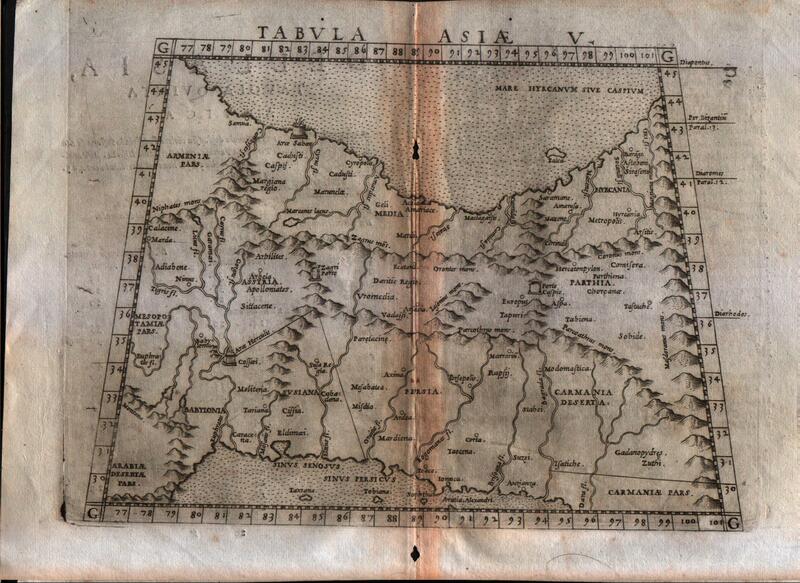 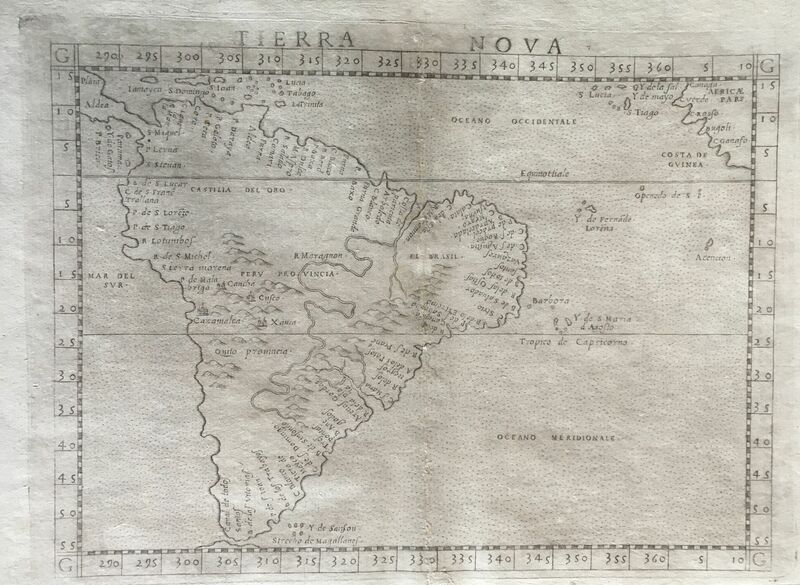 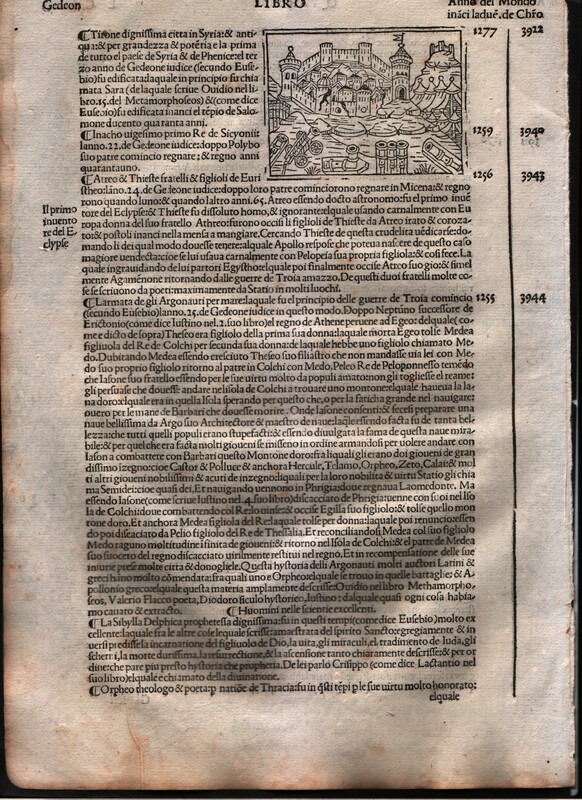 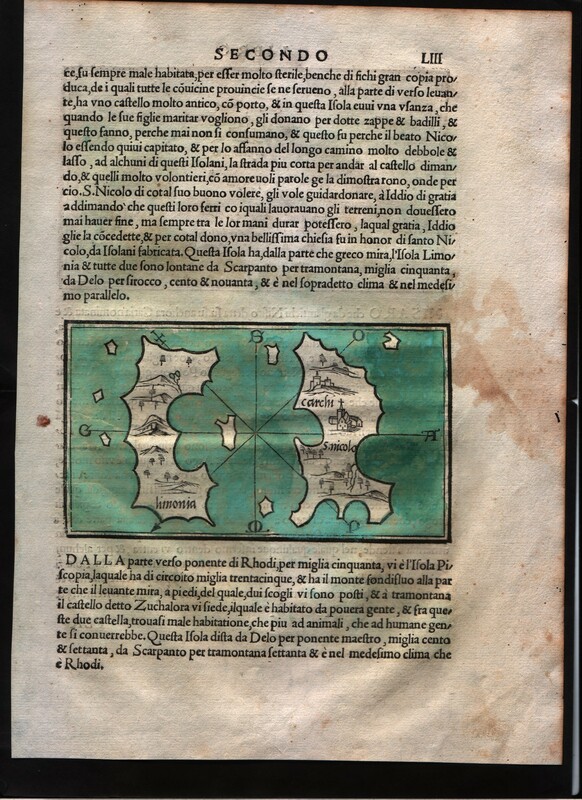 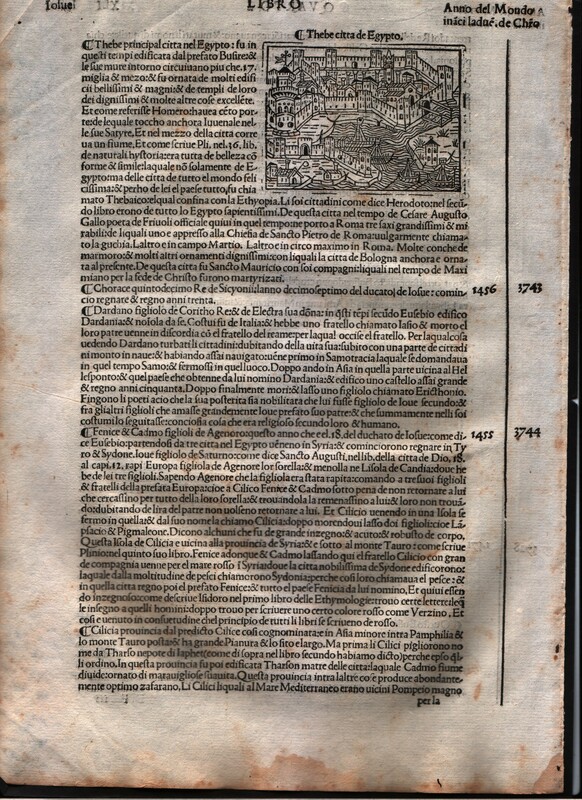 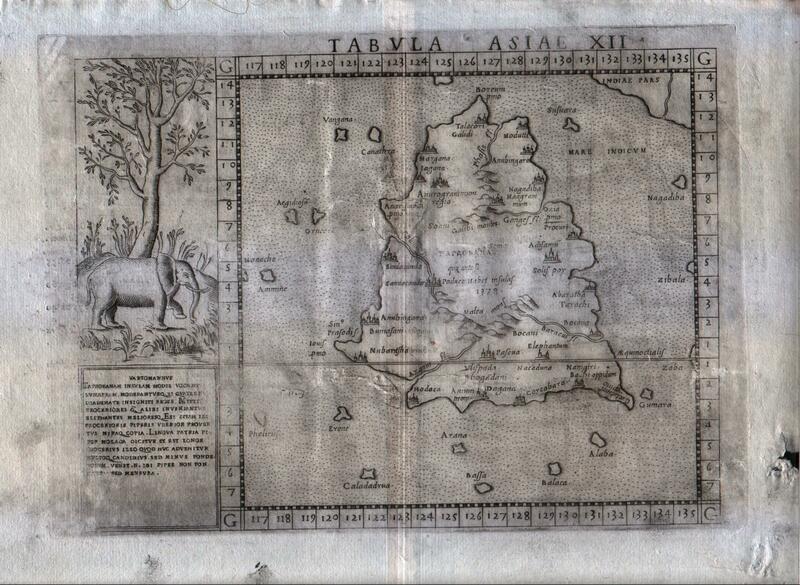 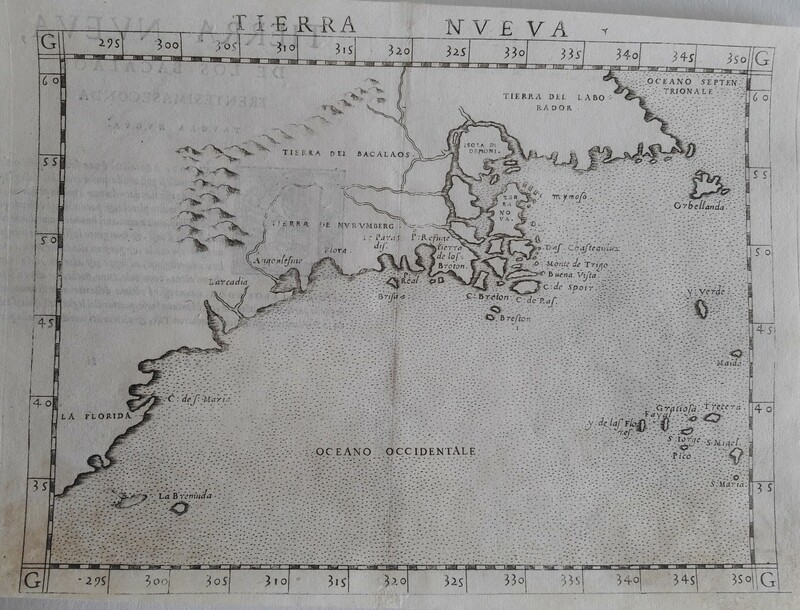 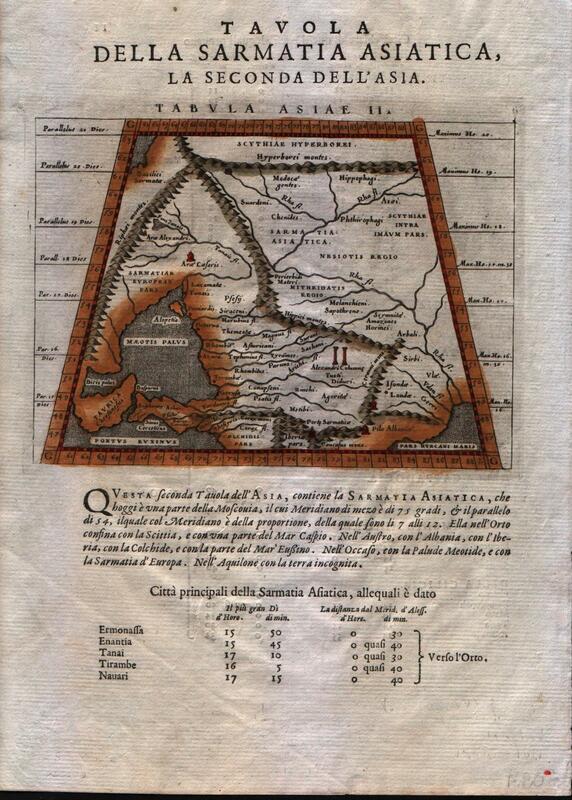 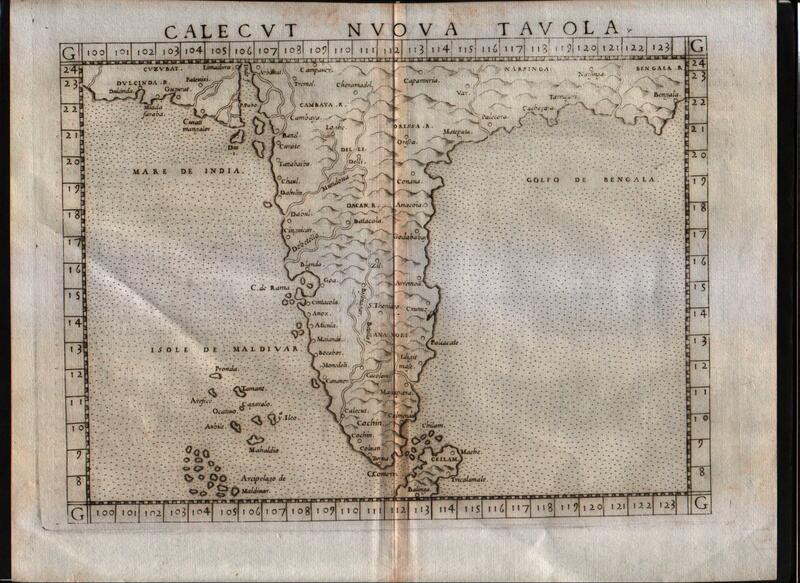 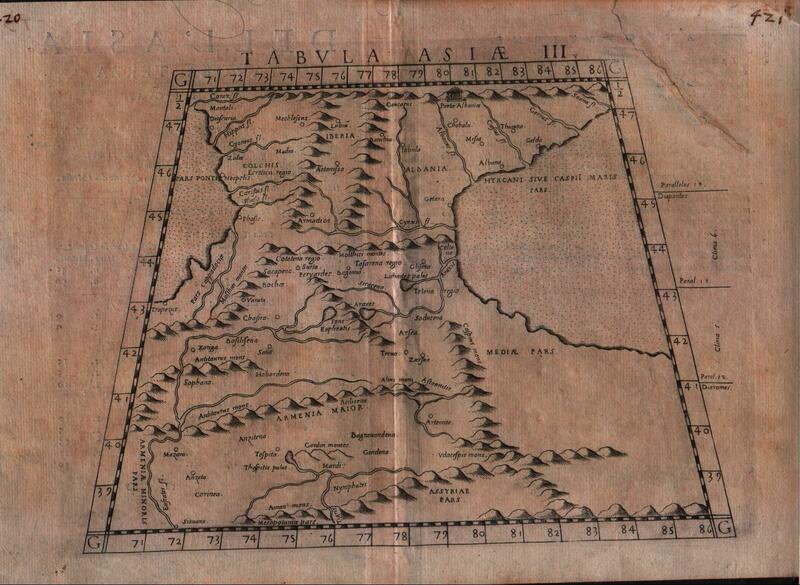 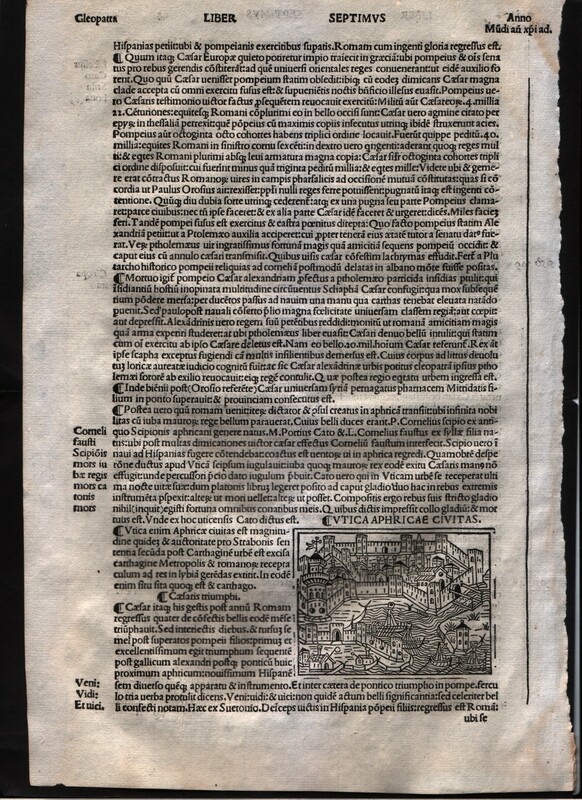 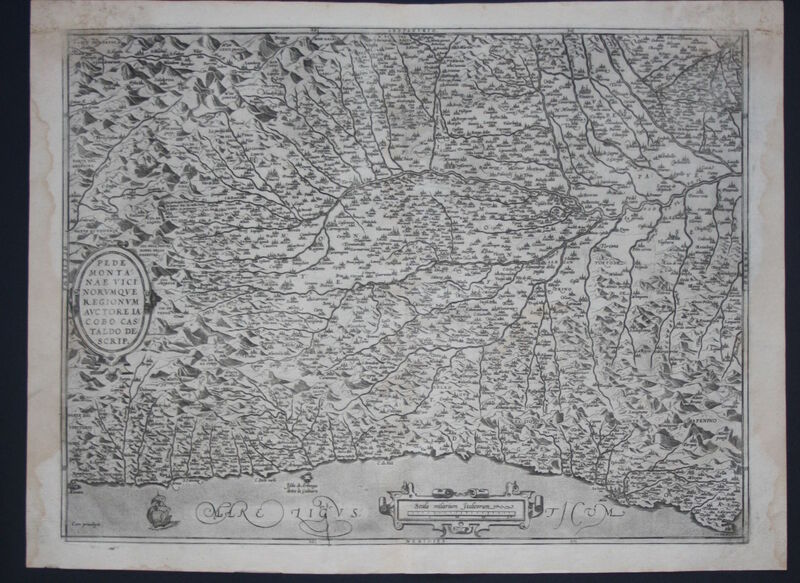 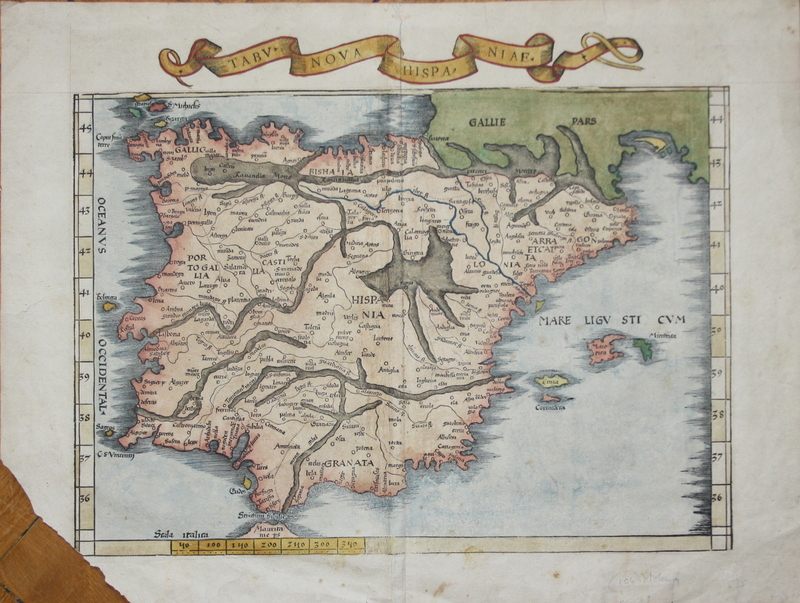 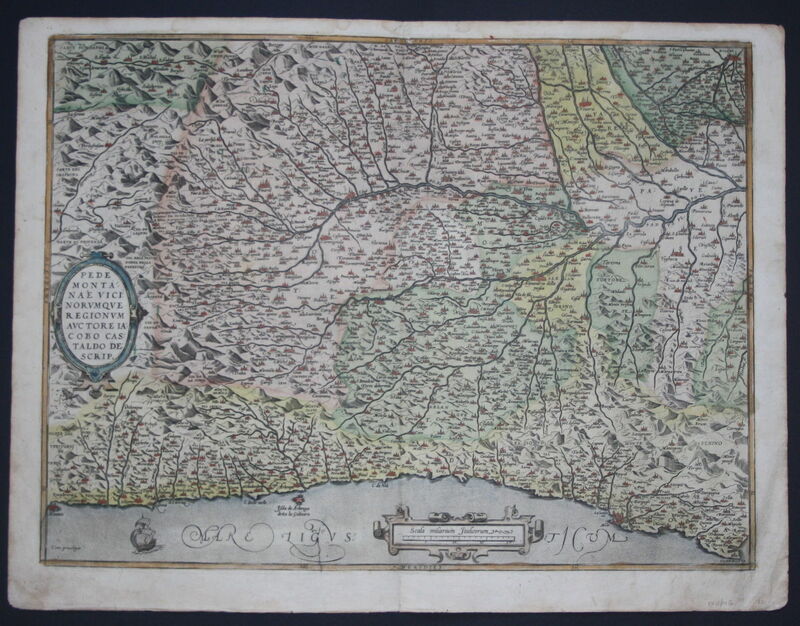 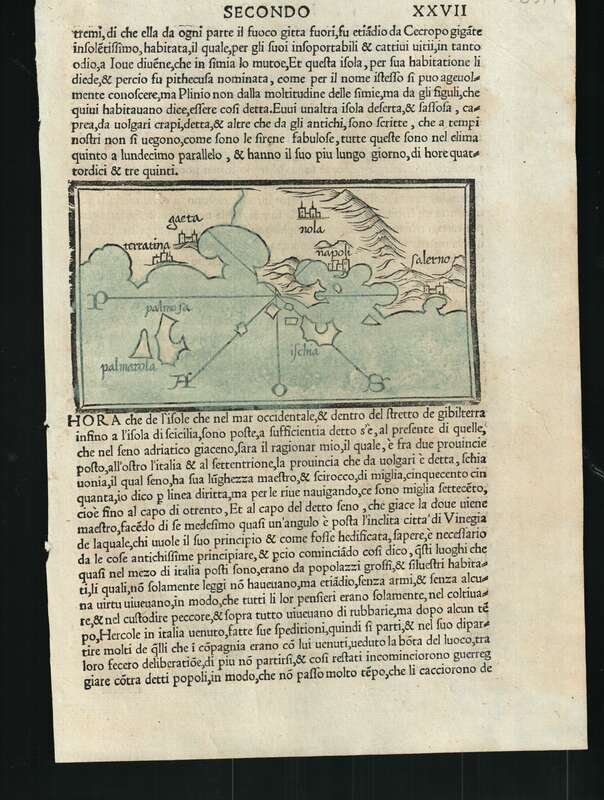 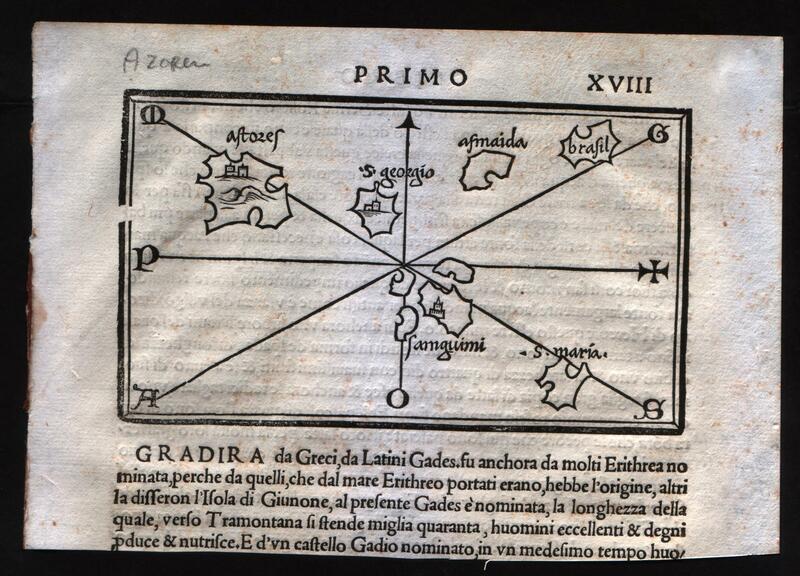 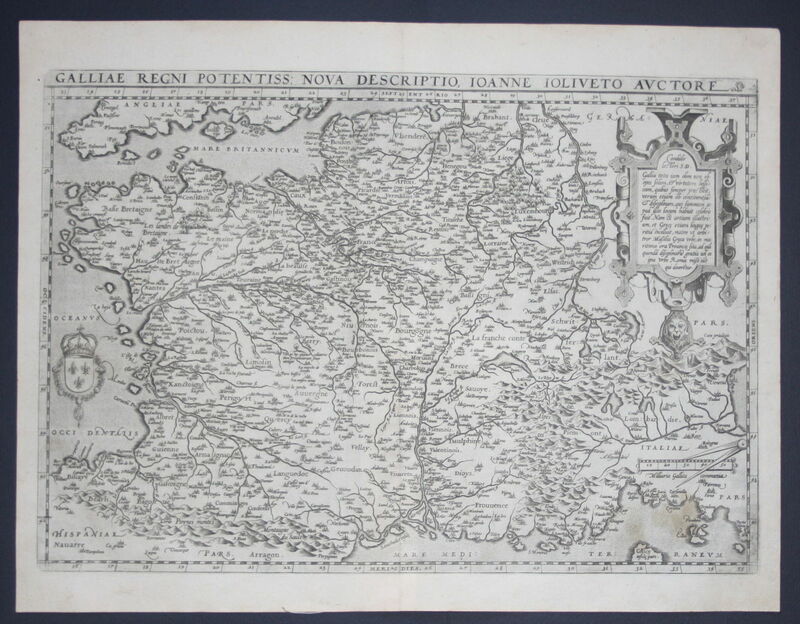 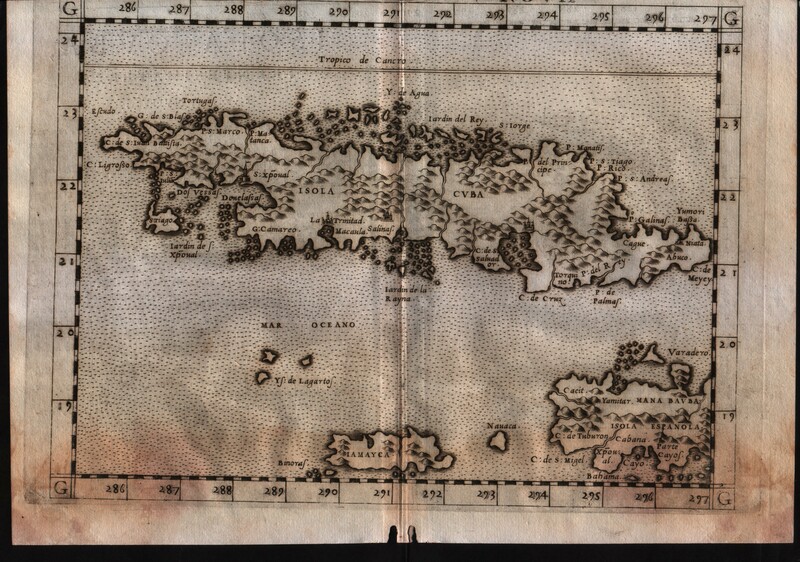 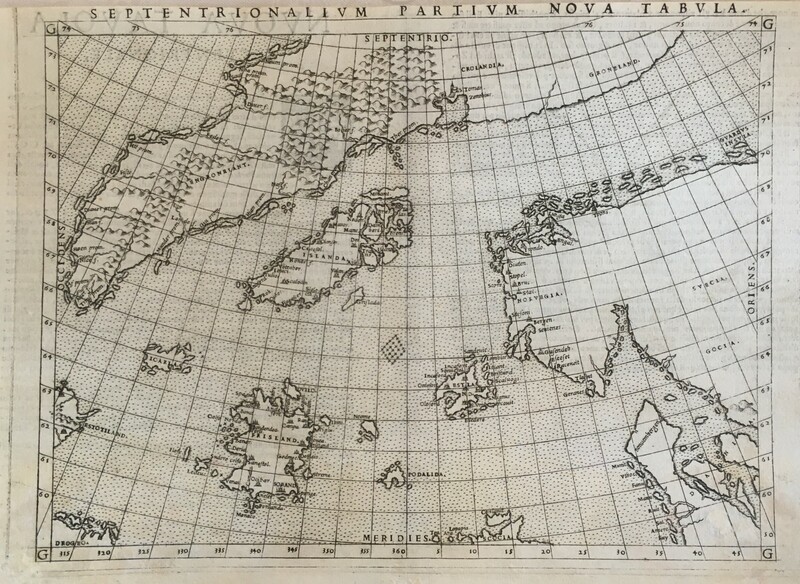 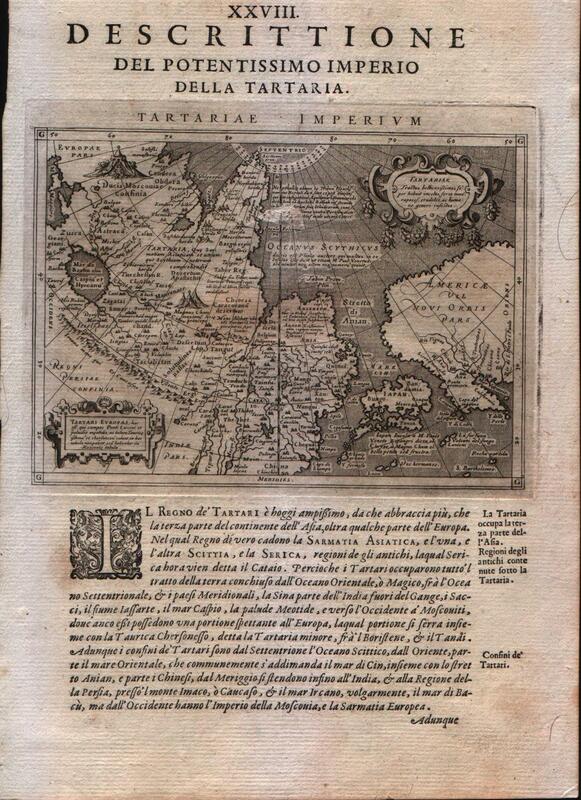 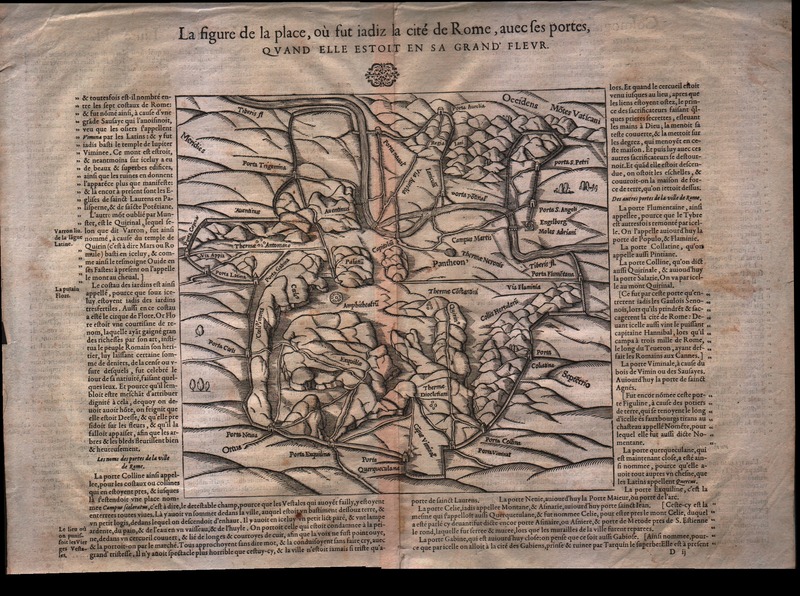 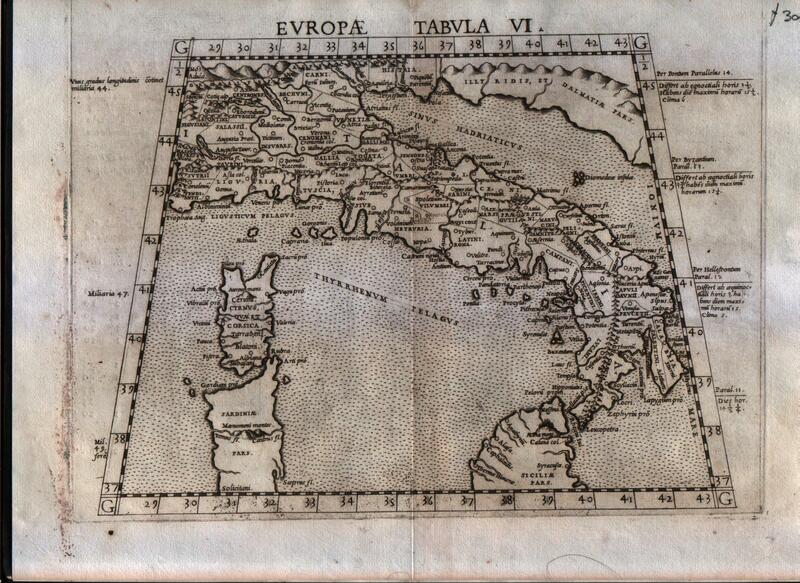 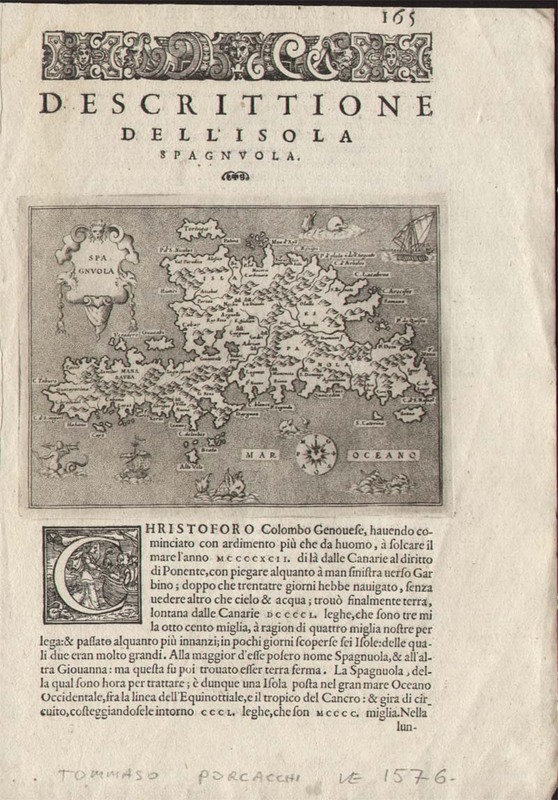 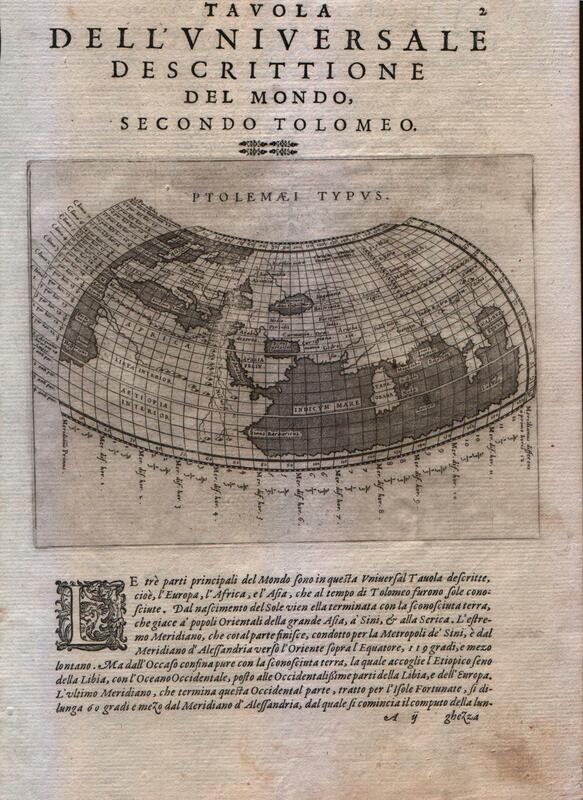 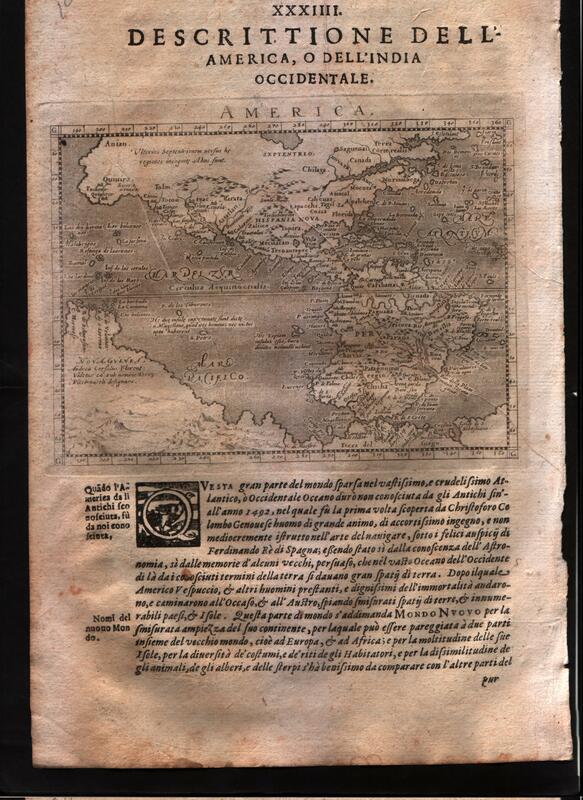 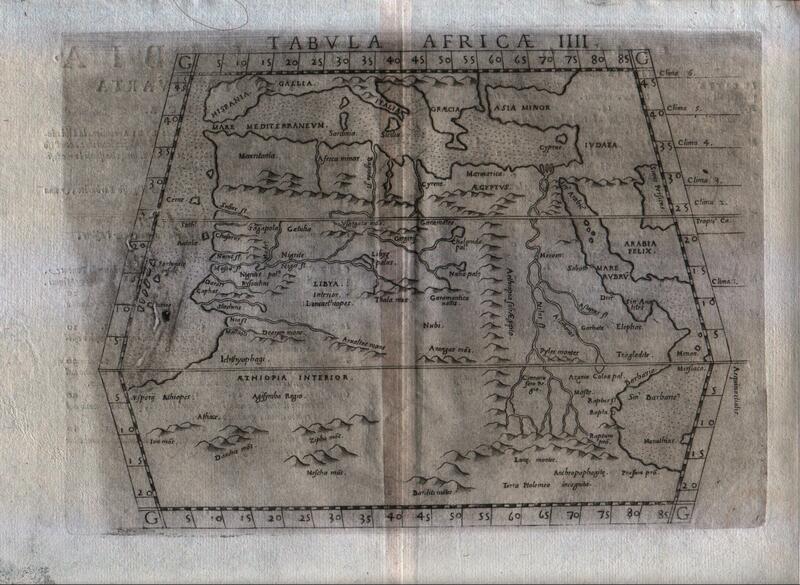 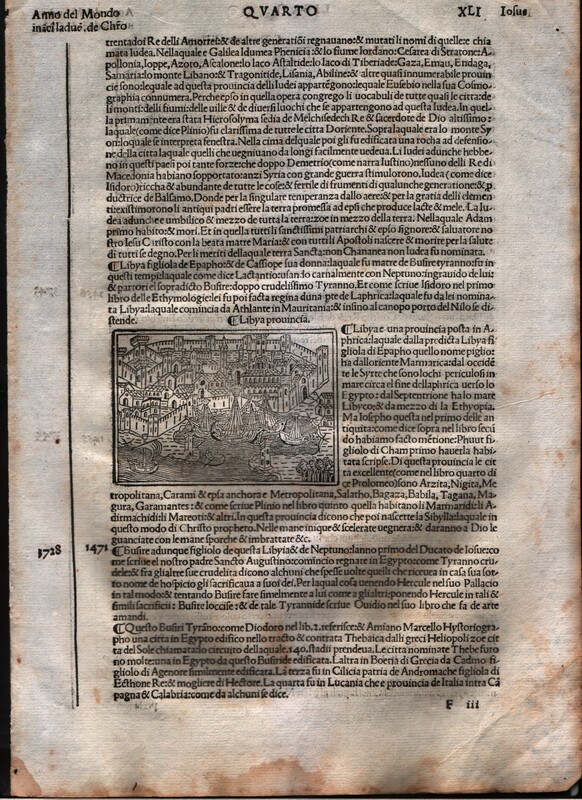 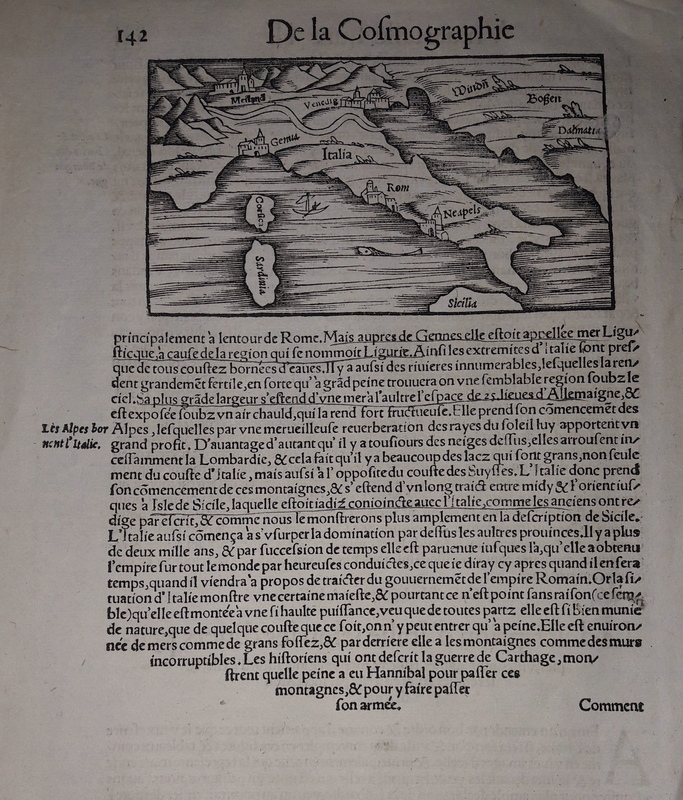 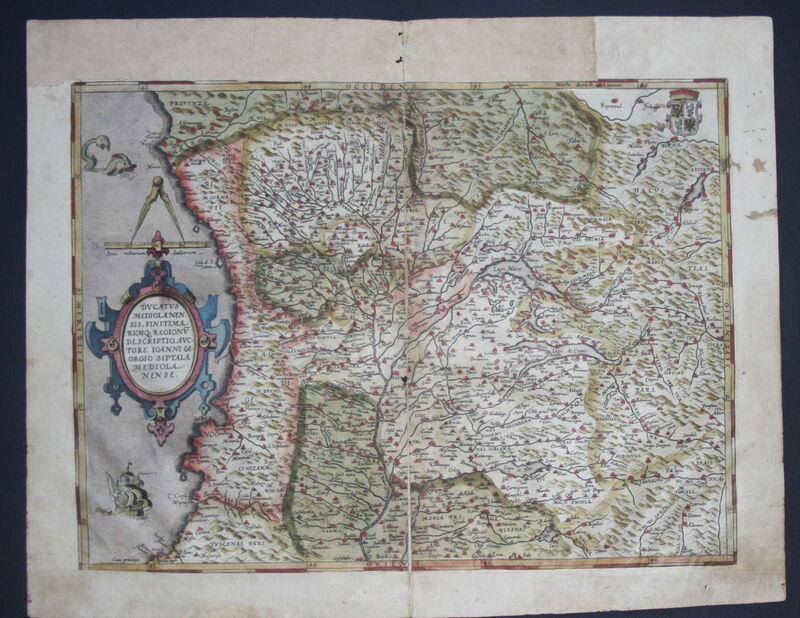 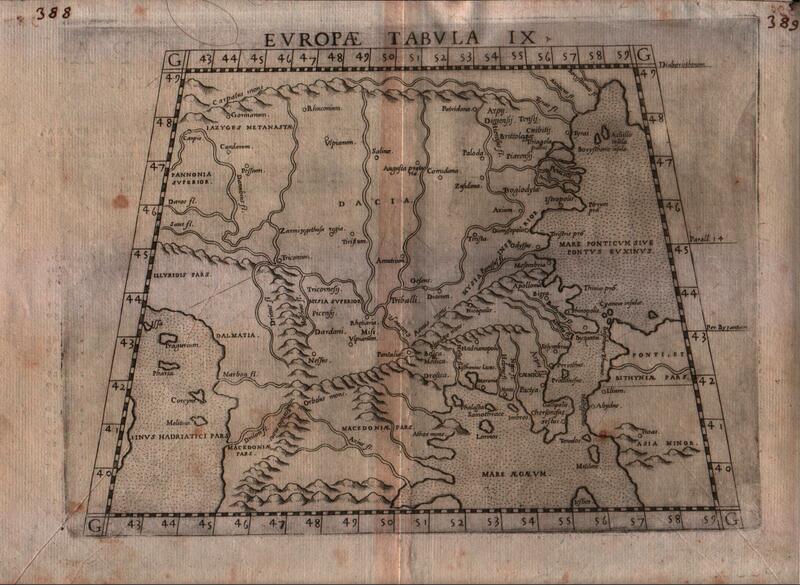 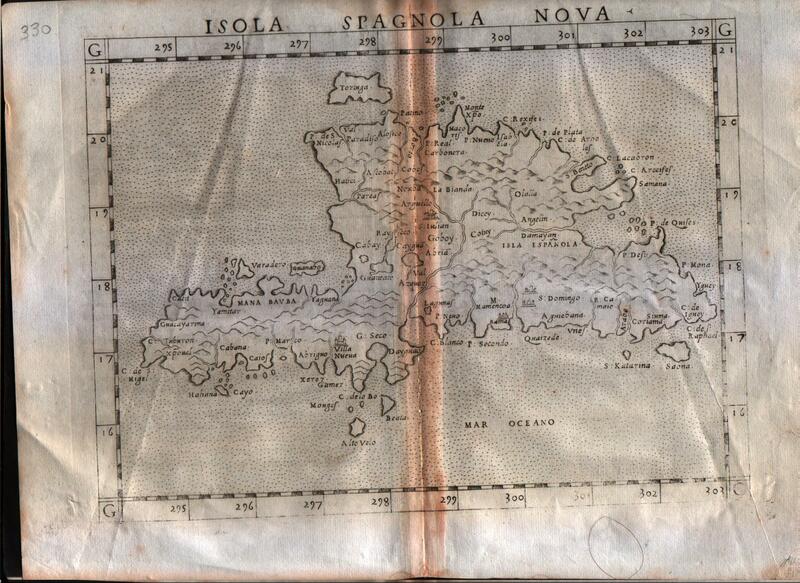 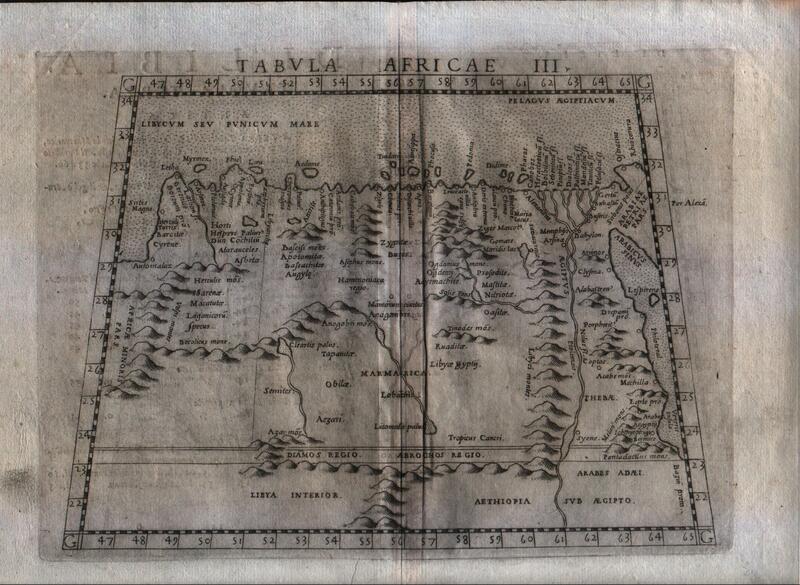 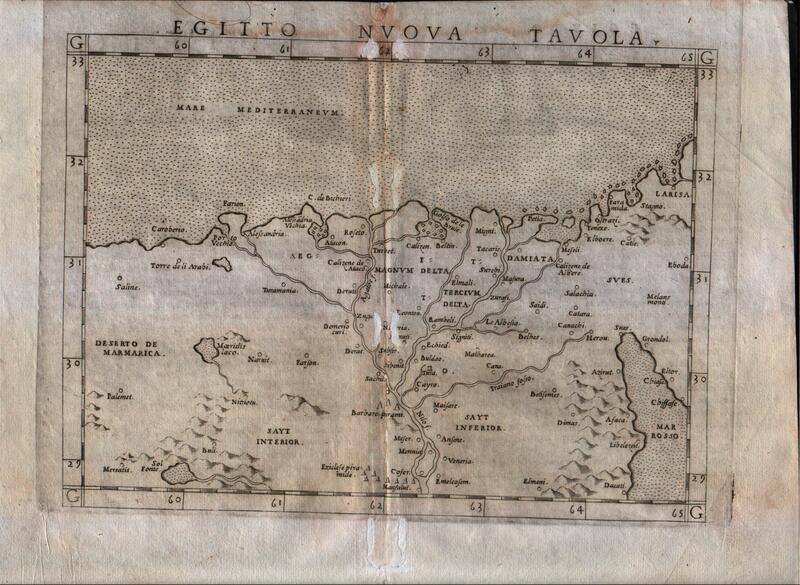 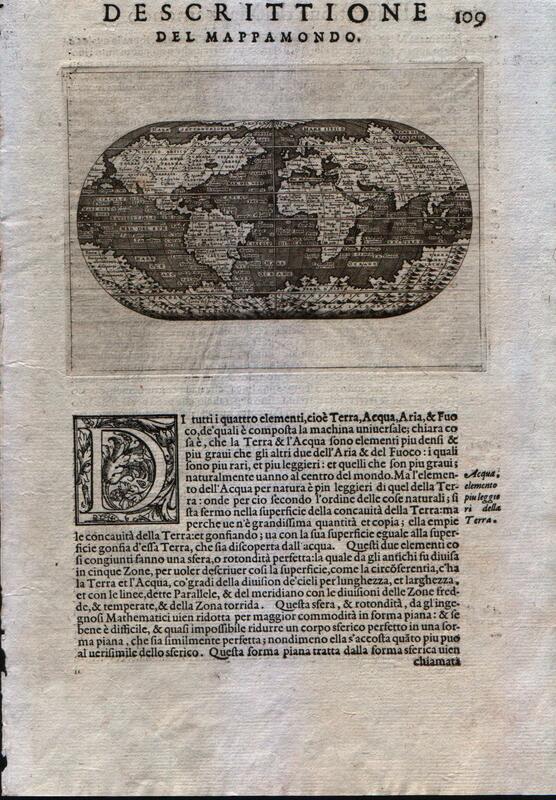 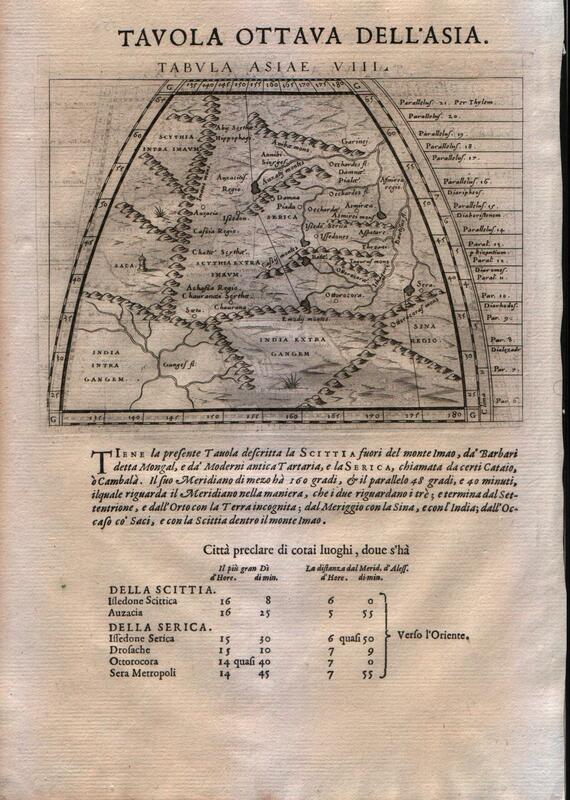 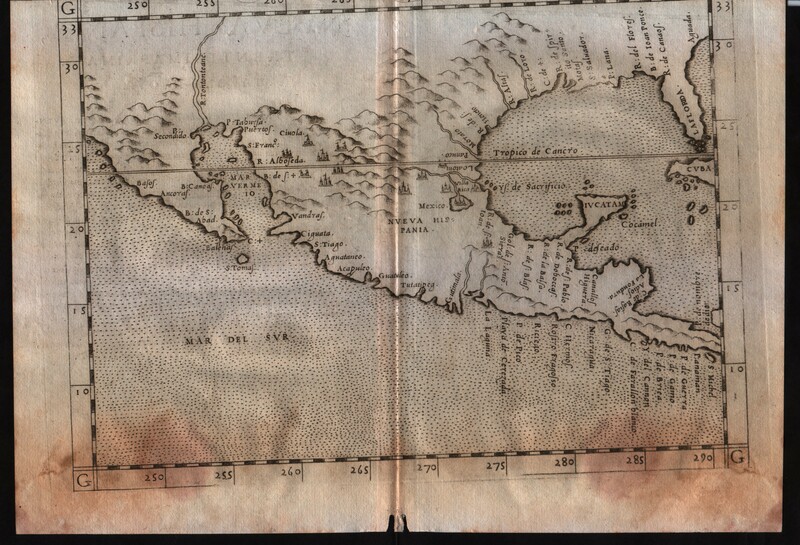 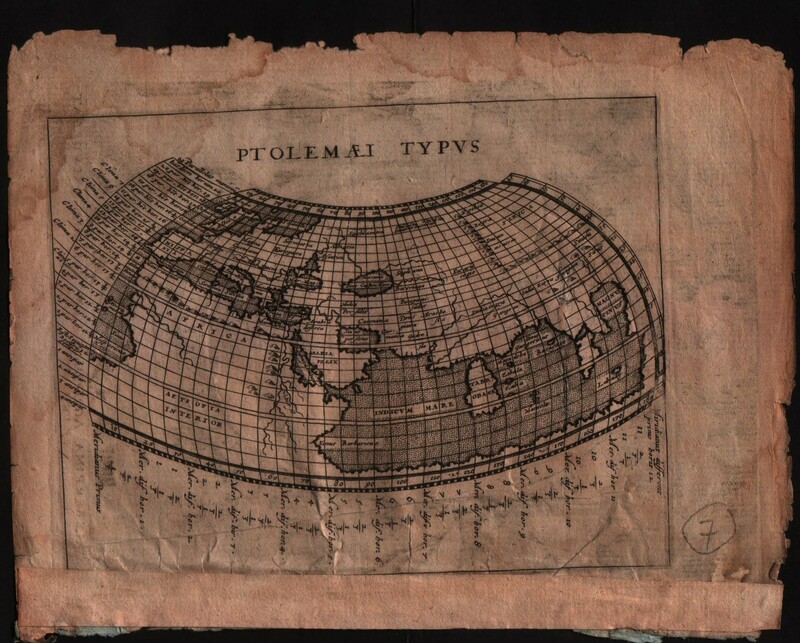 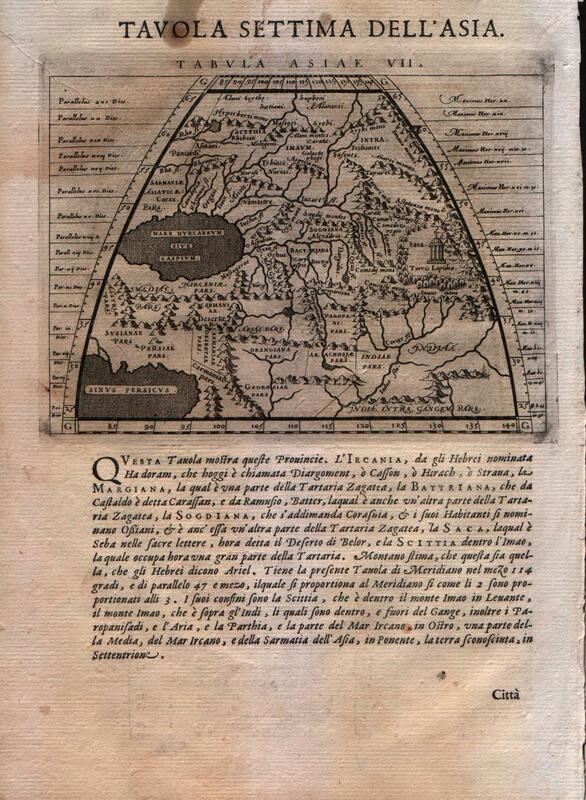 This is the first separate printed map of the Western Hemisphere. 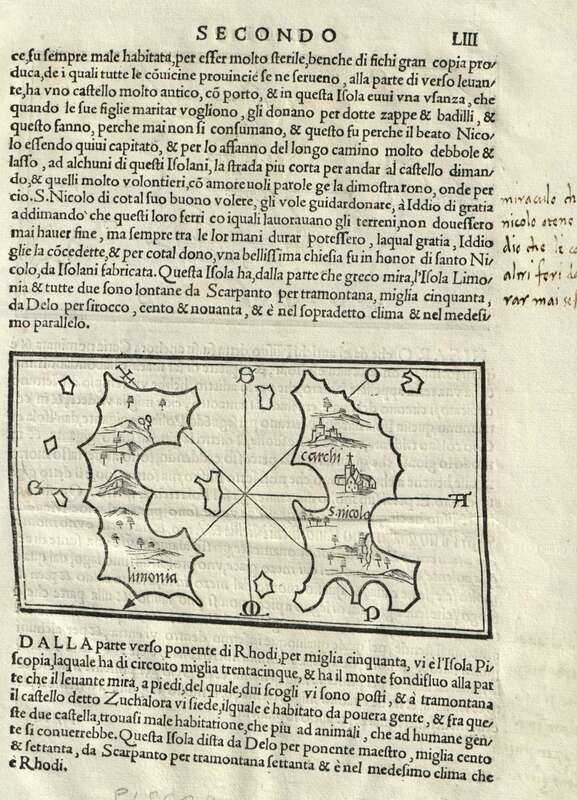 [mint/excellent/very good/GOOD/fair/mediocre/poor] Three small holes in the center. 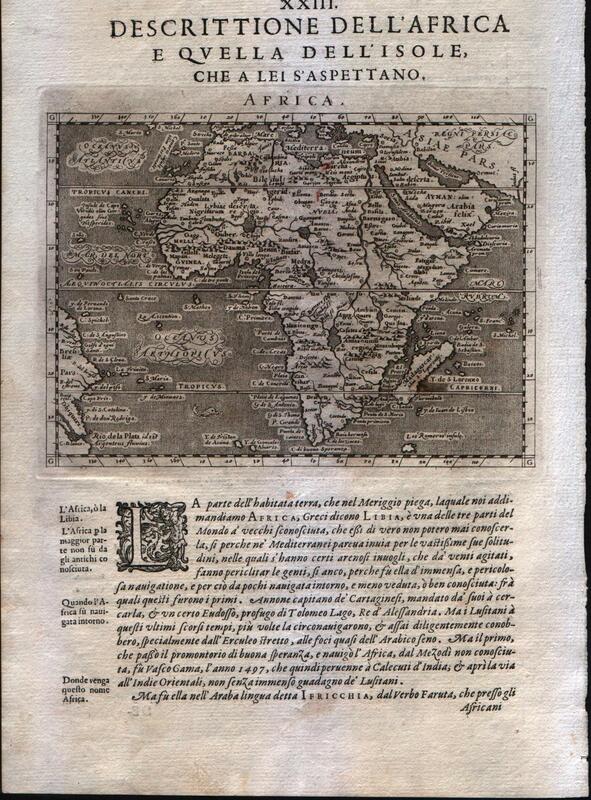 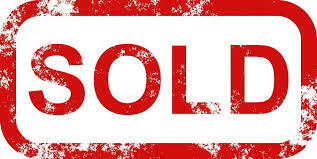 Pedmontanae Vicinorumque Regionum Auctore Iacobo Castaldo Descrip. 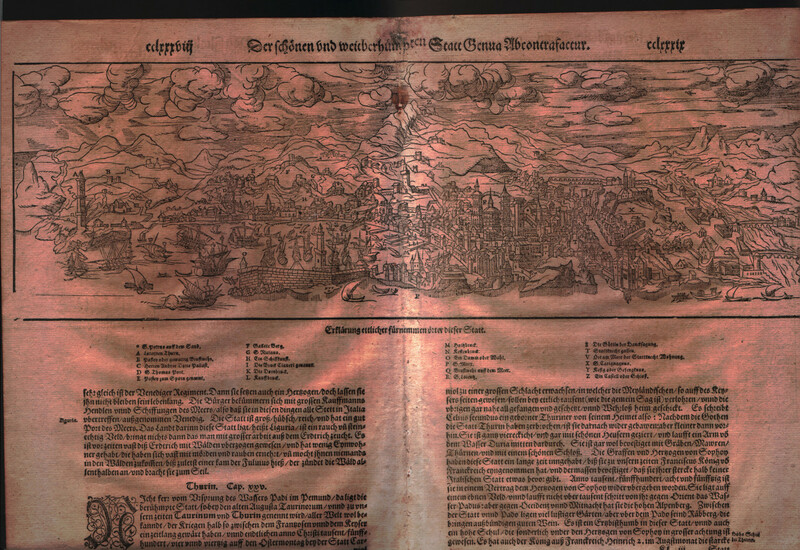 Decorated with sea monsters and sailing ships. 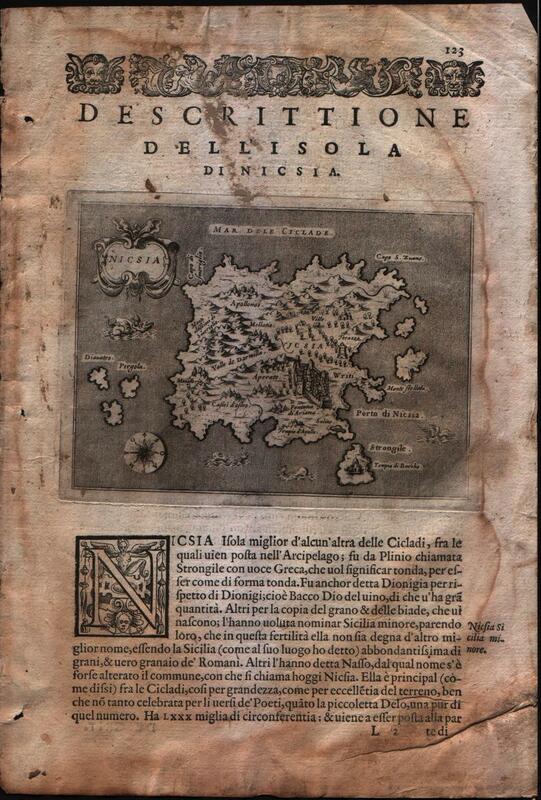 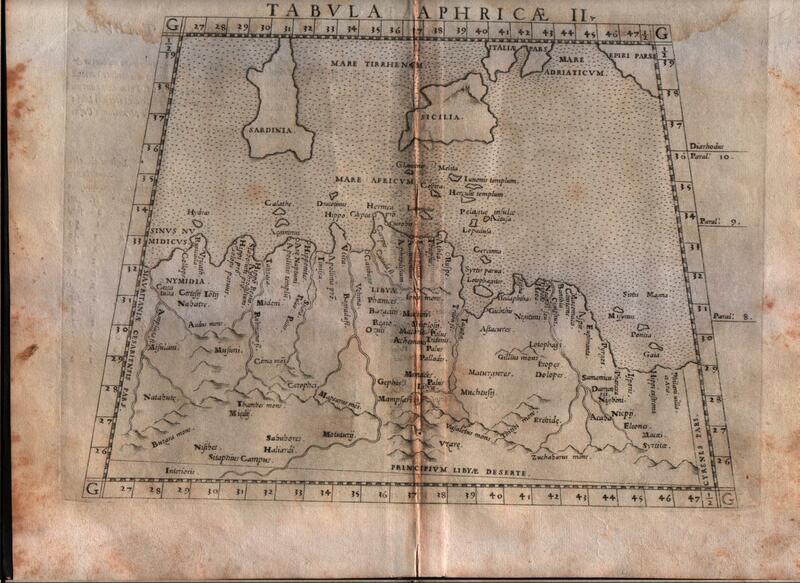 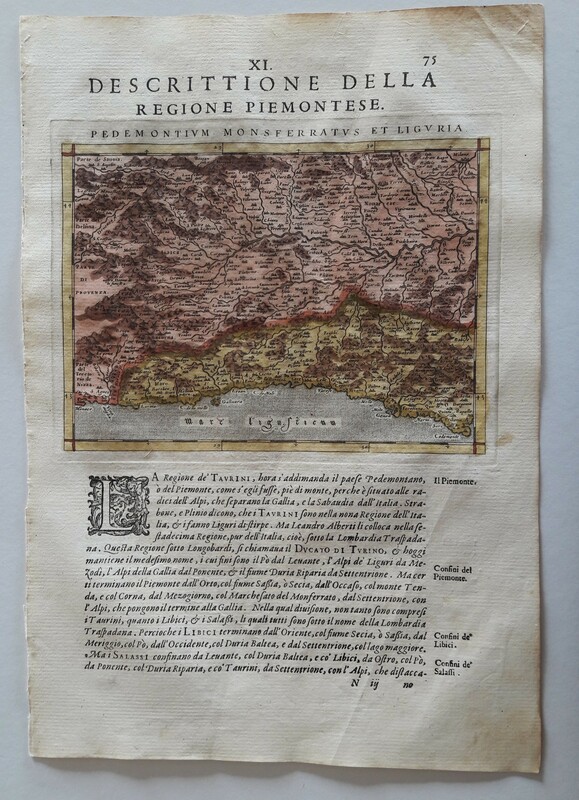 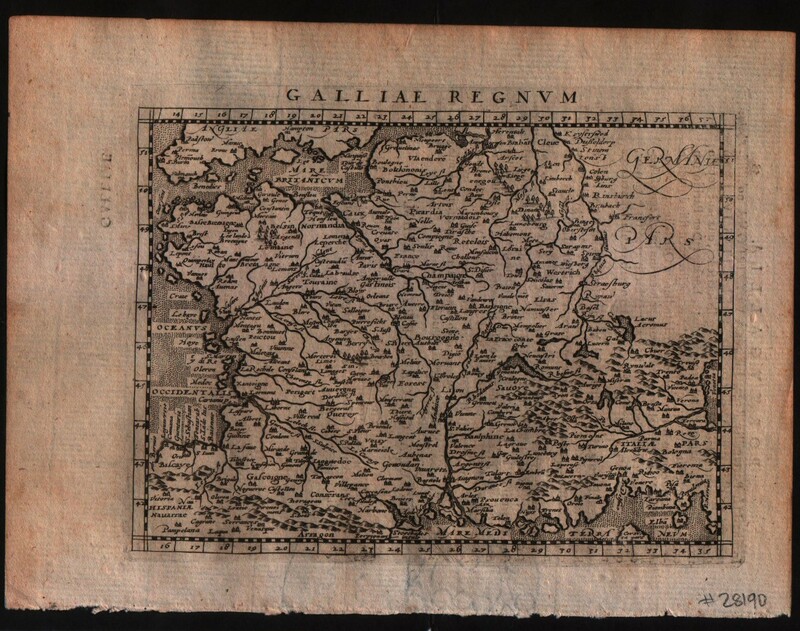 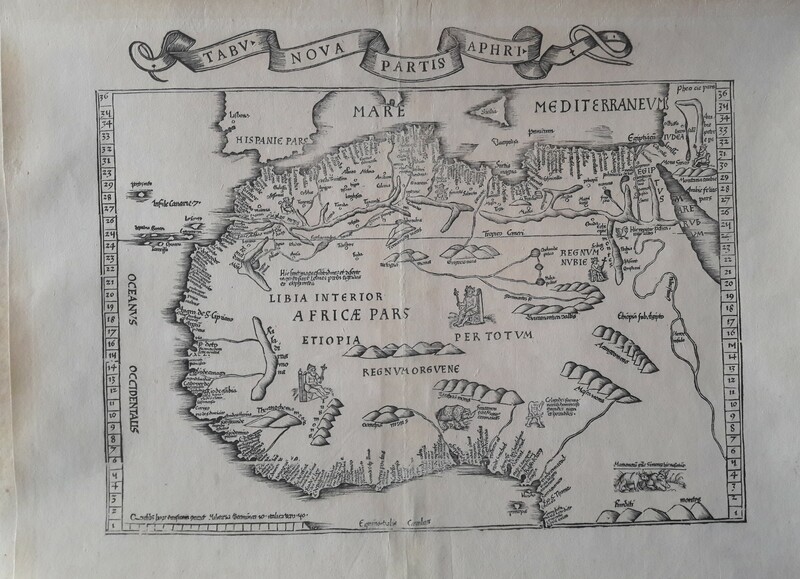 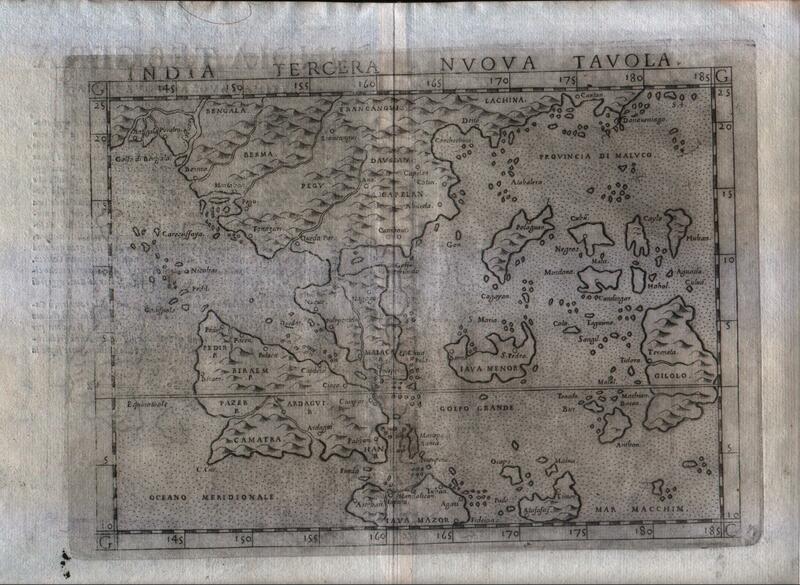 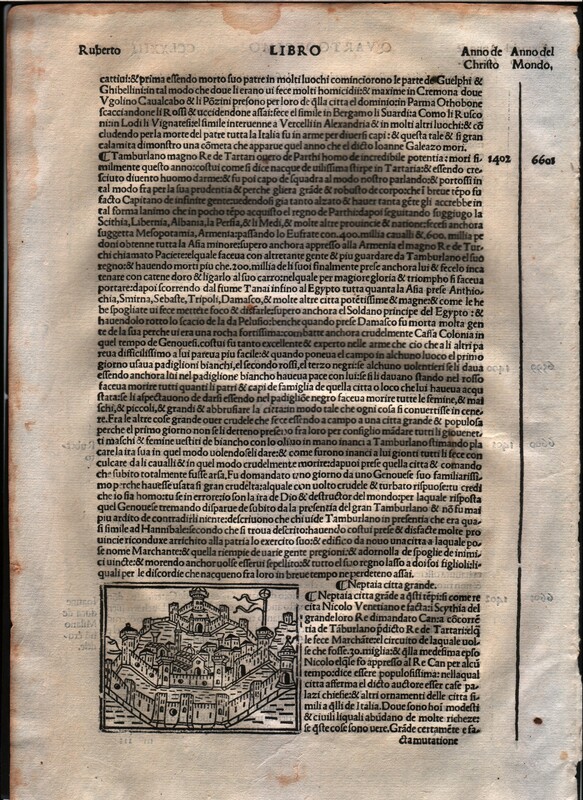 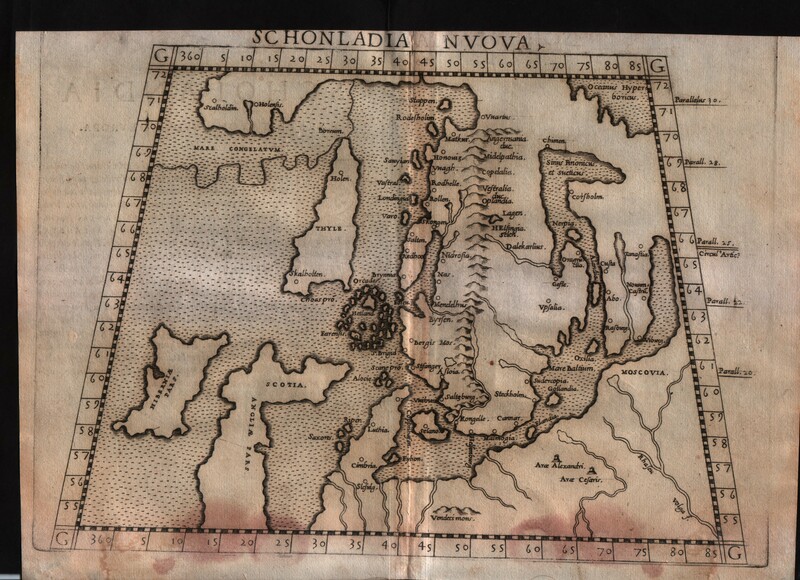 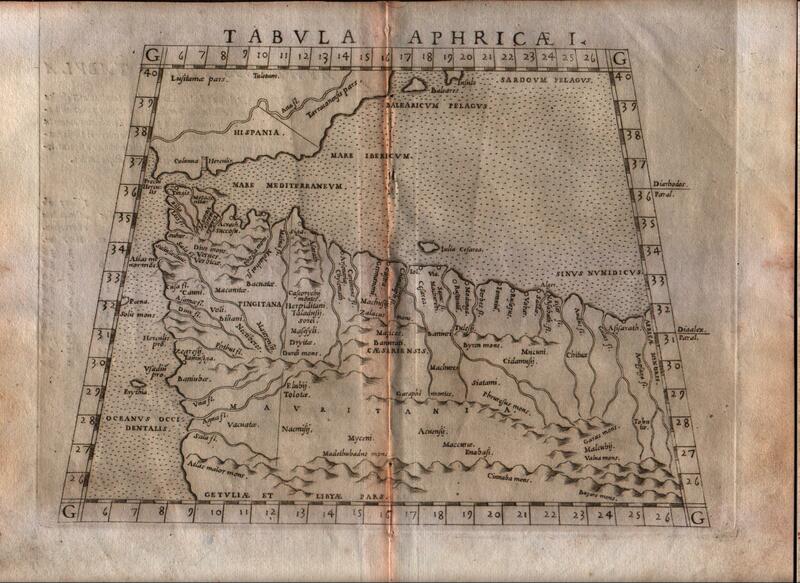 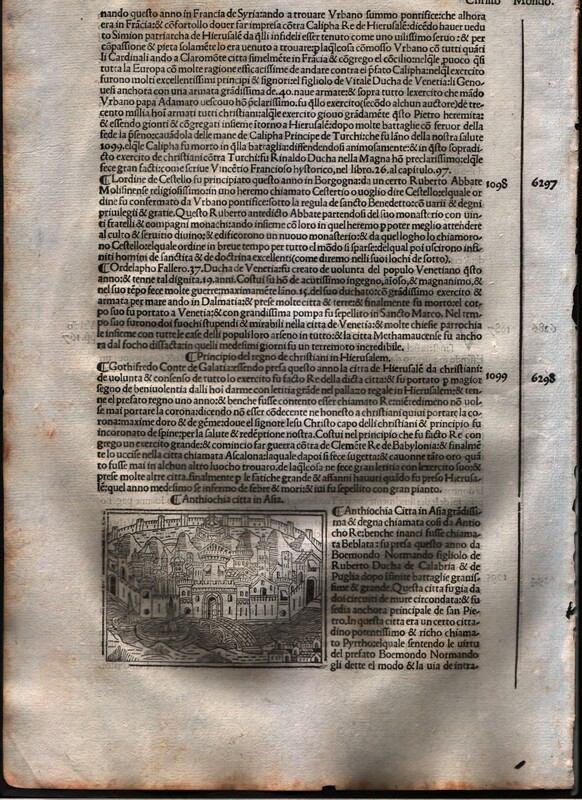 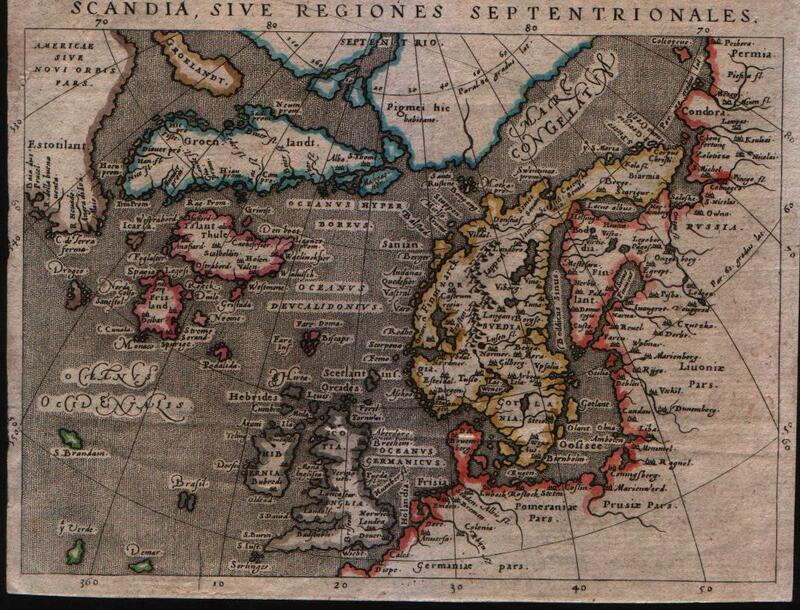 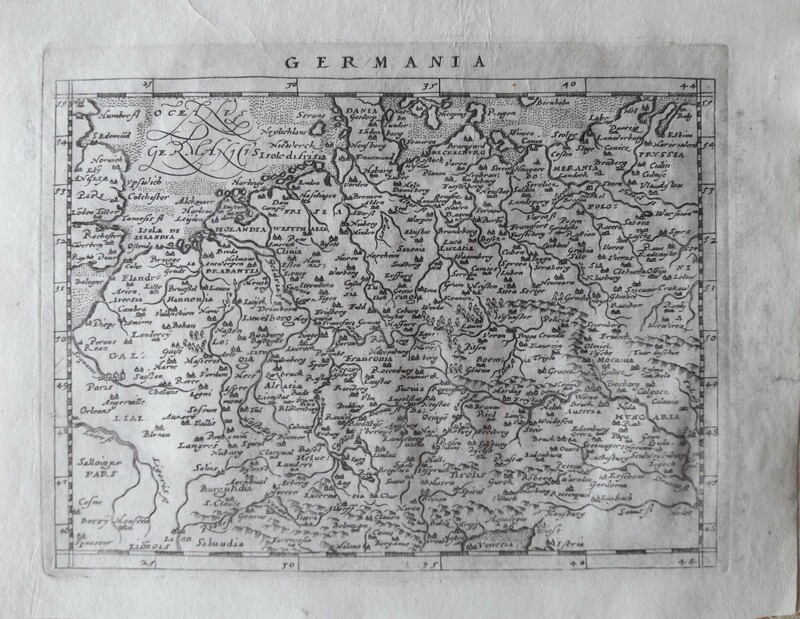 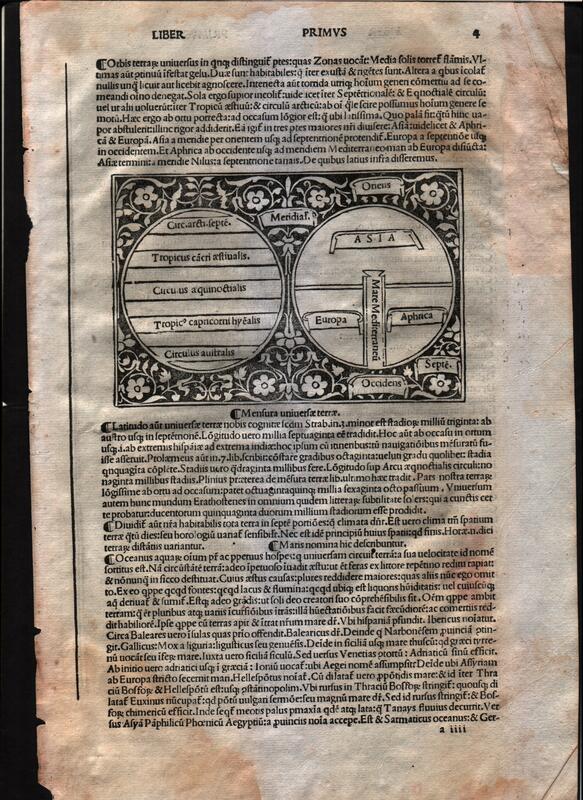 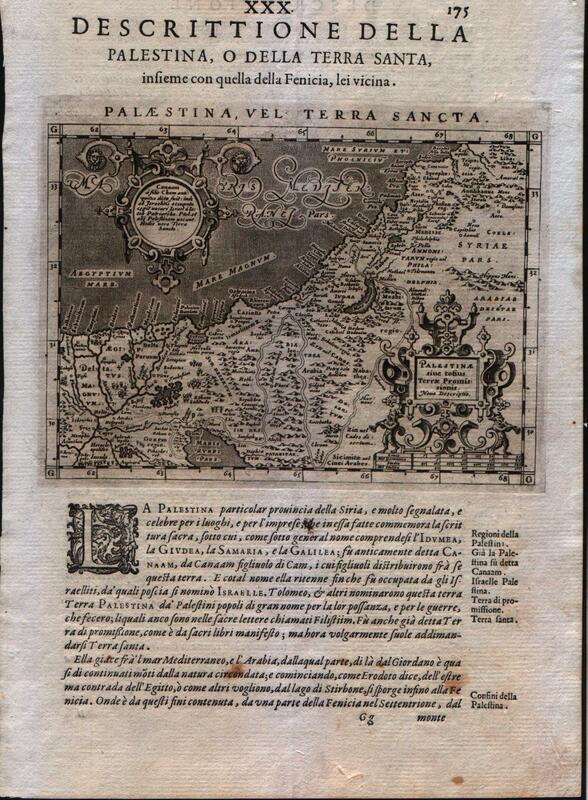 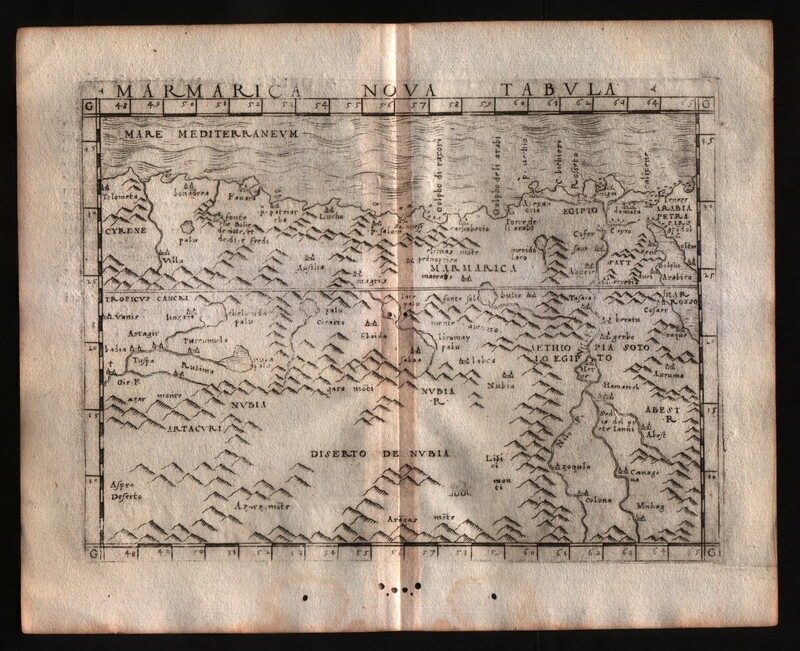 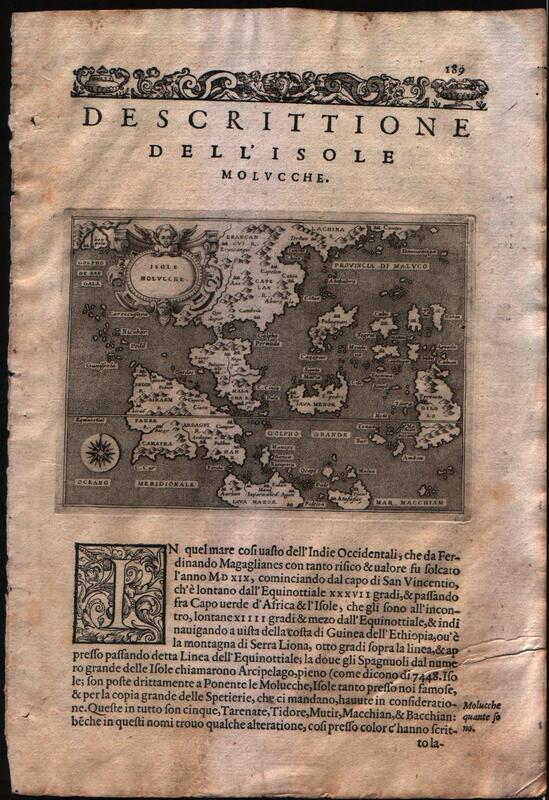 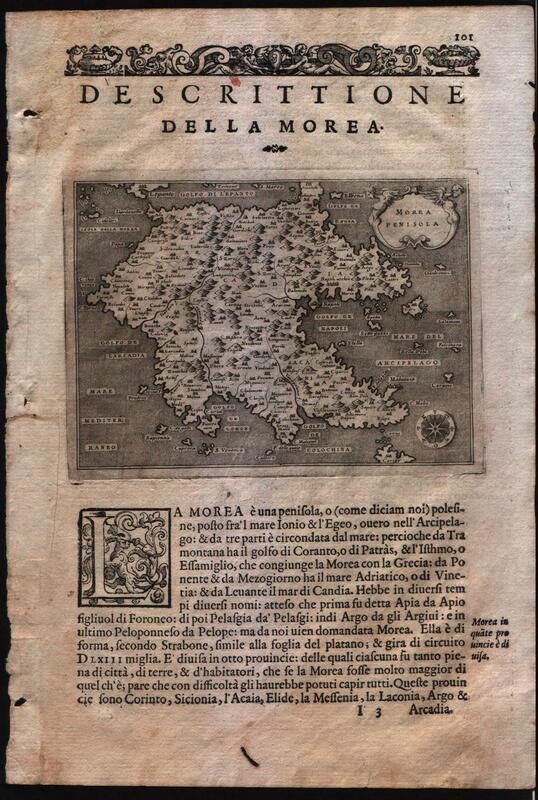 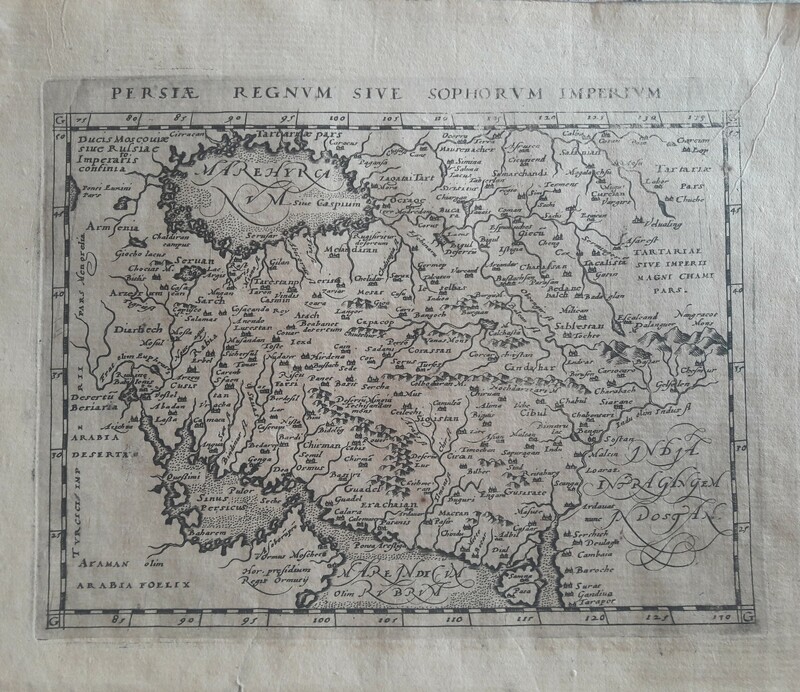 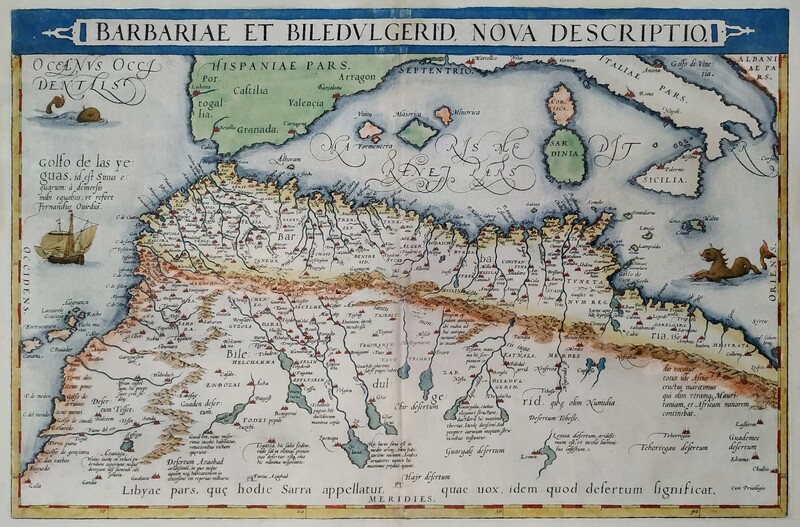 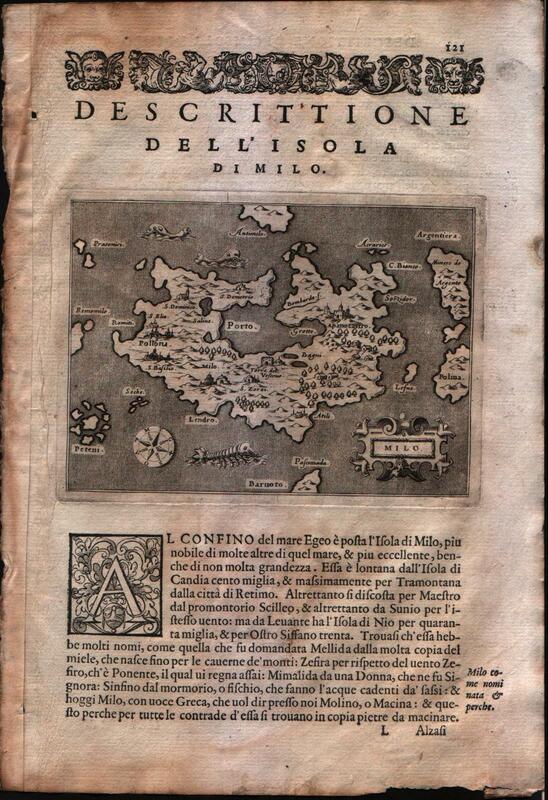 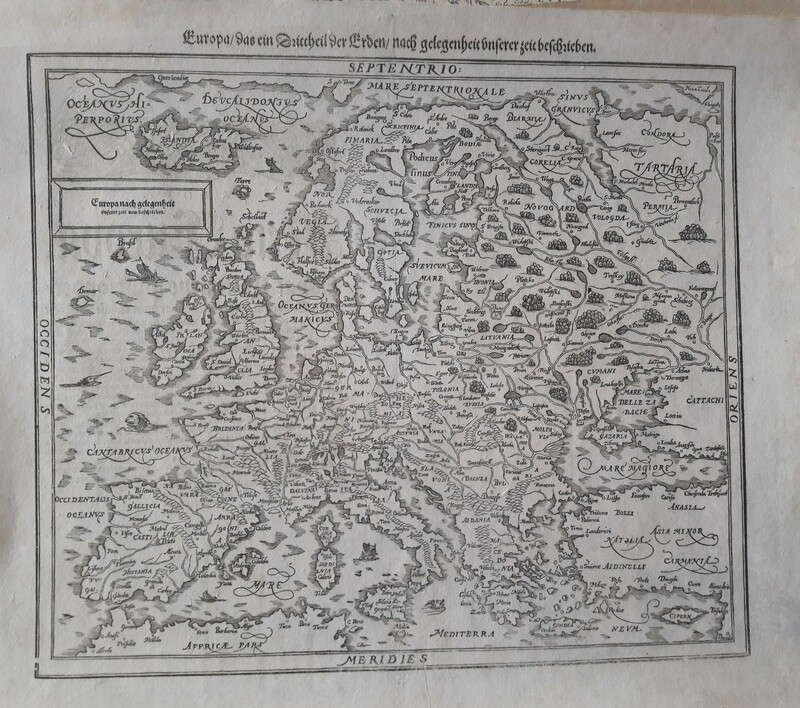 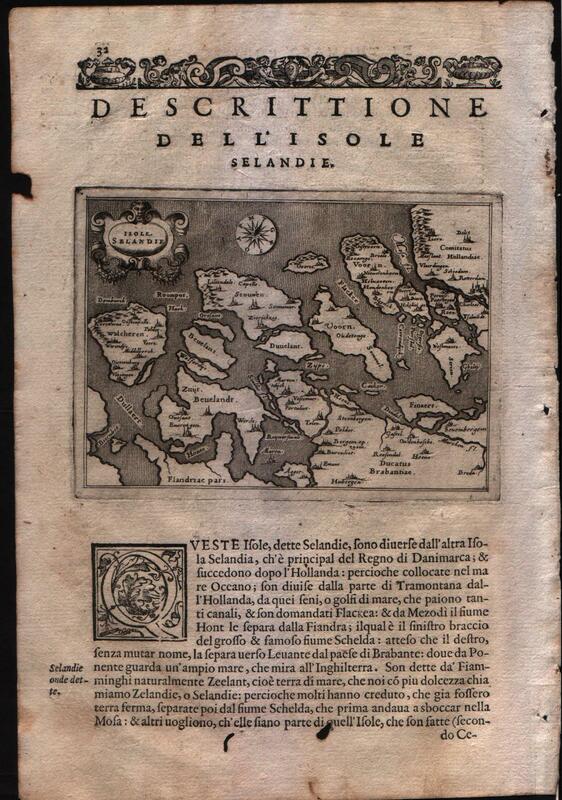 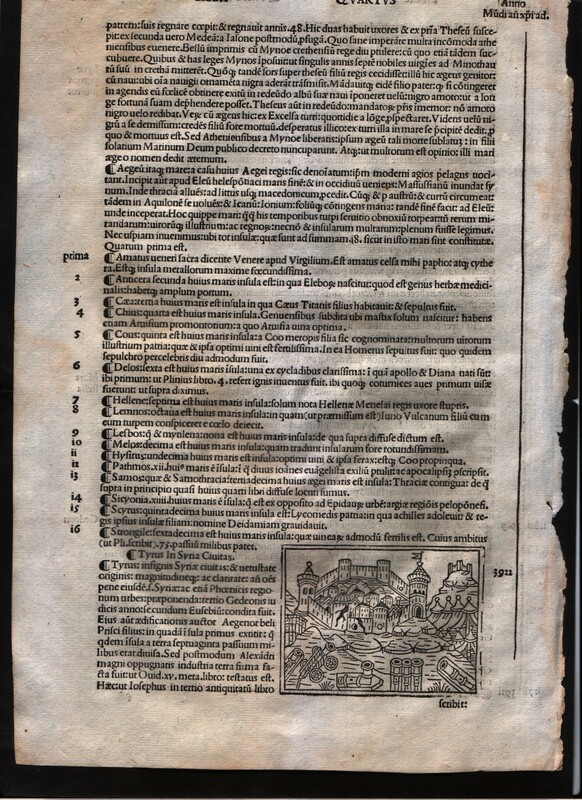 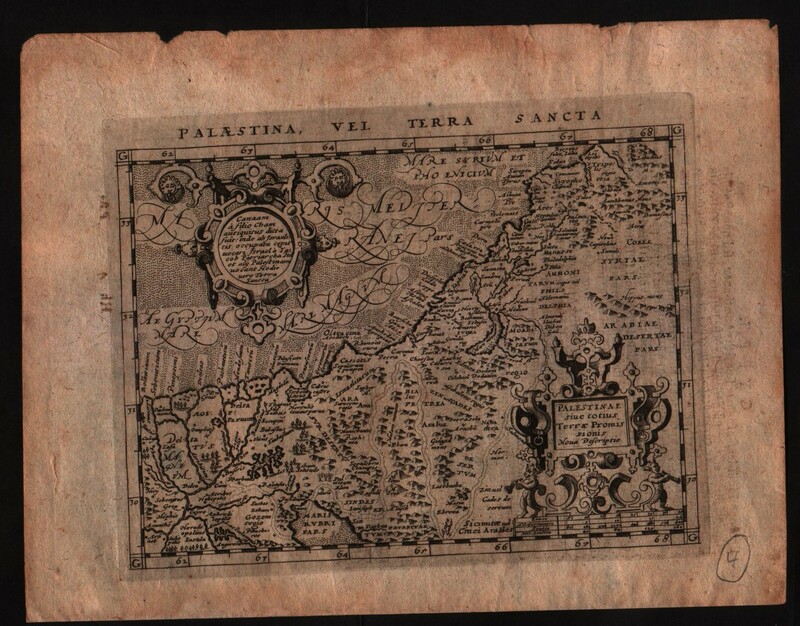 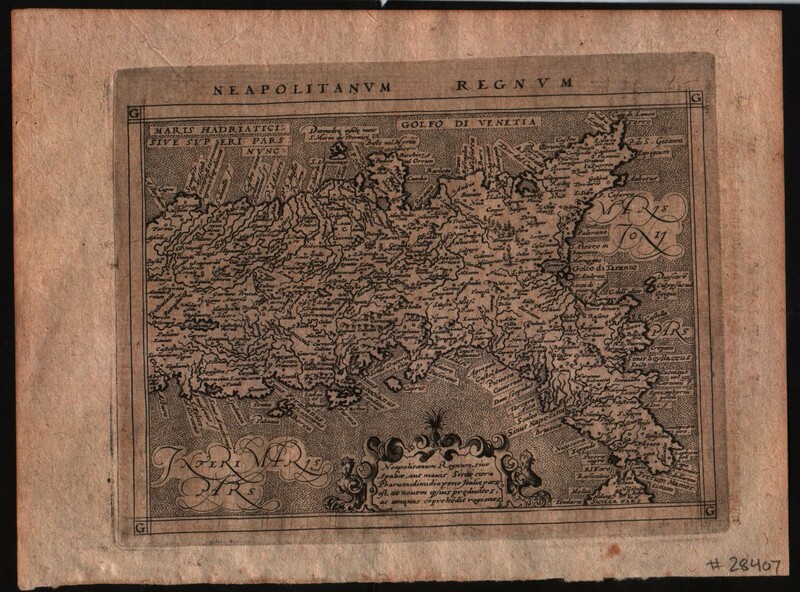 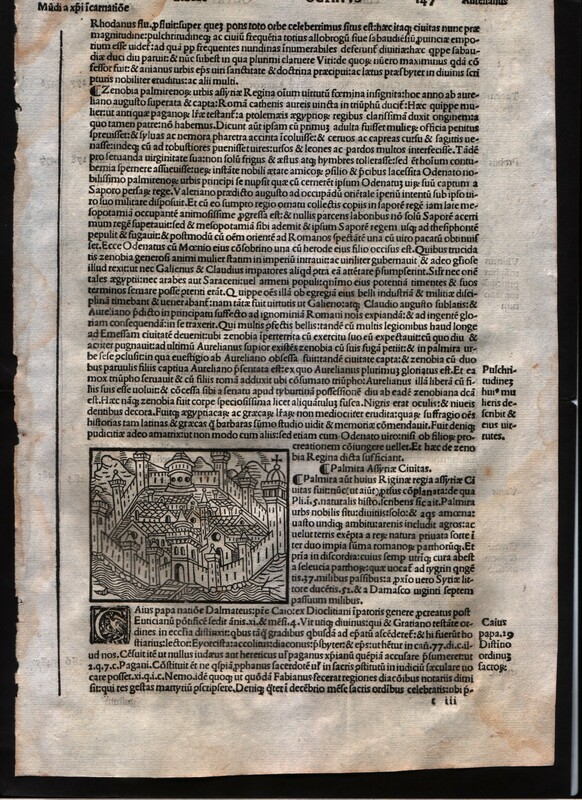 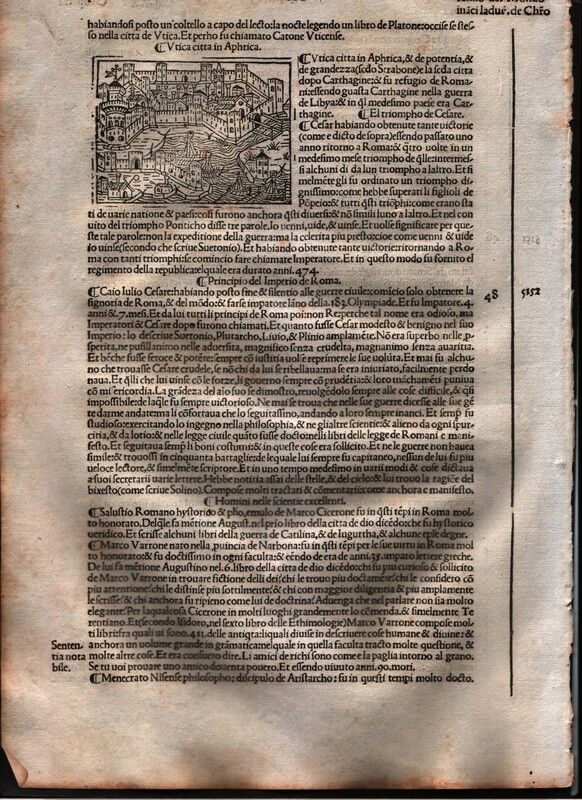 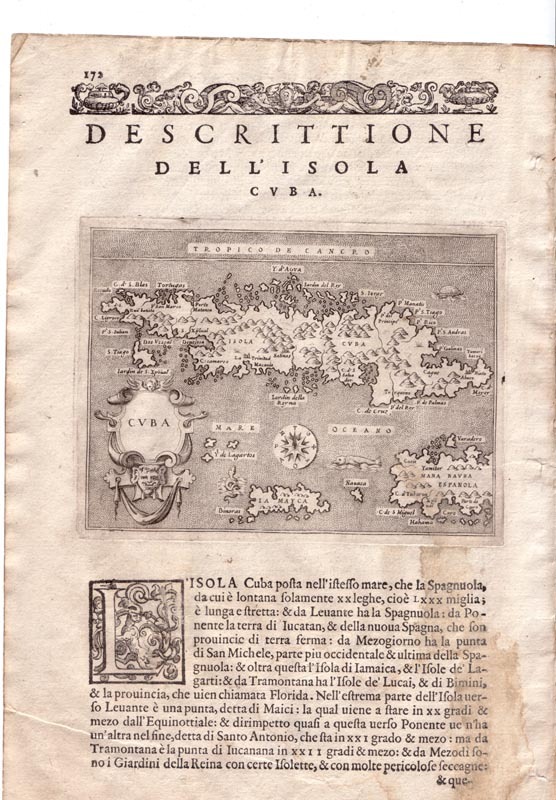 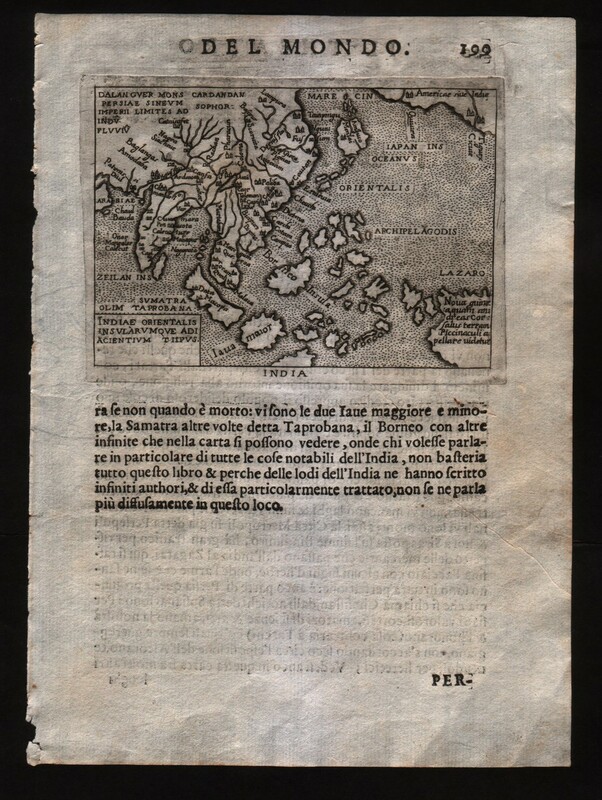 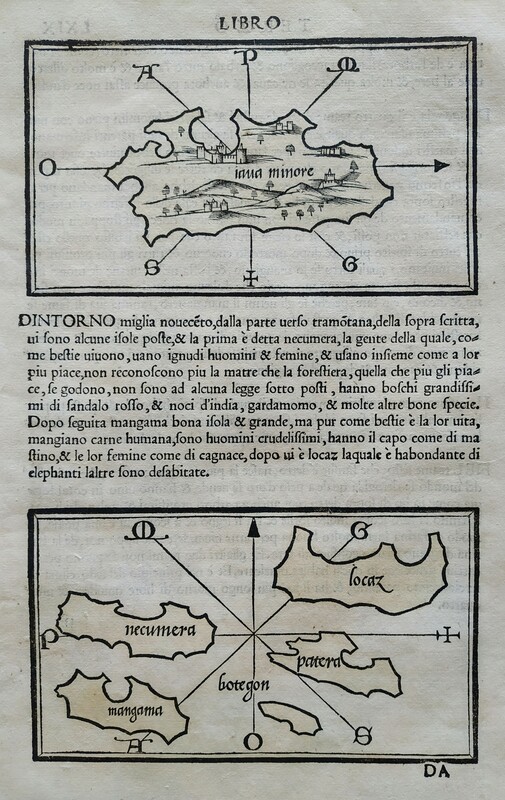 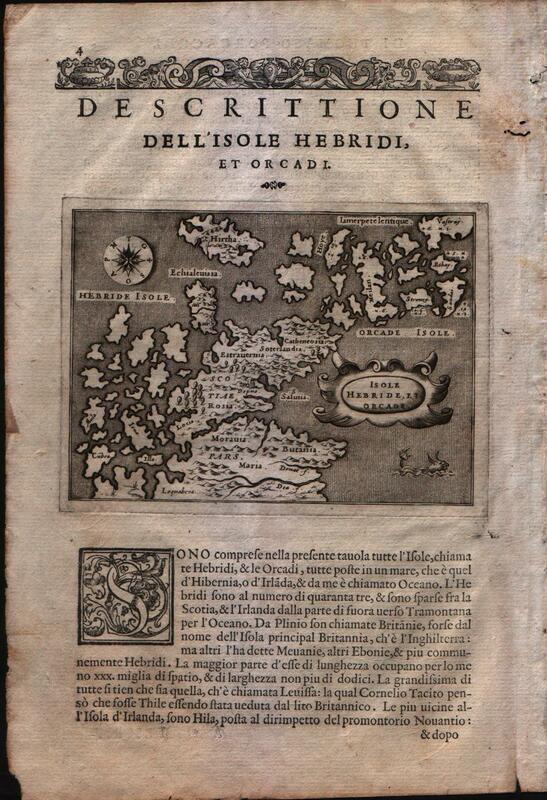 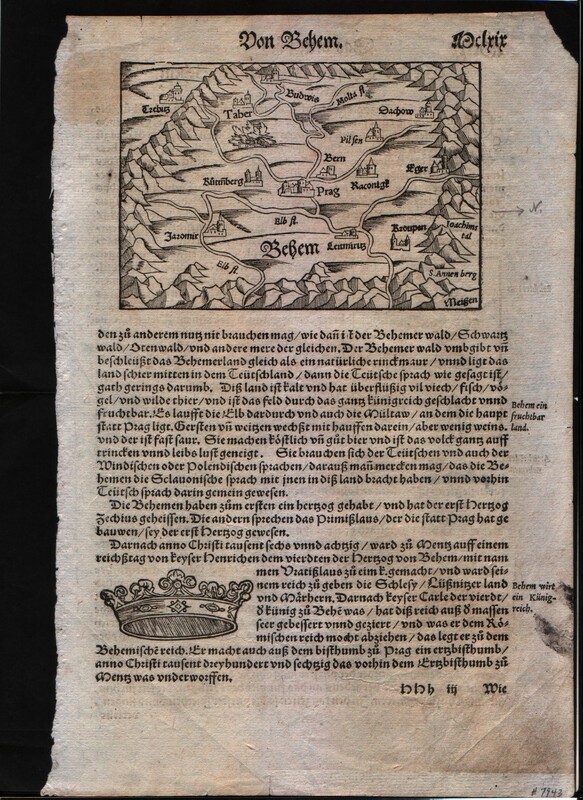 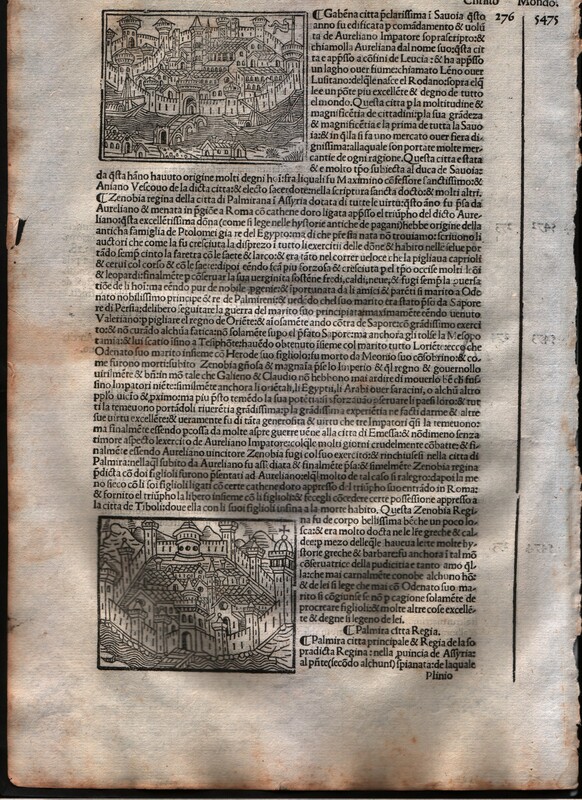 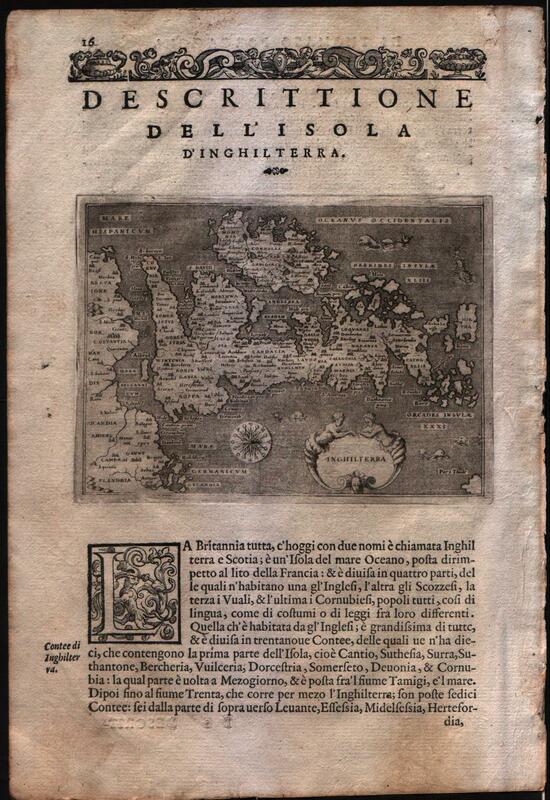 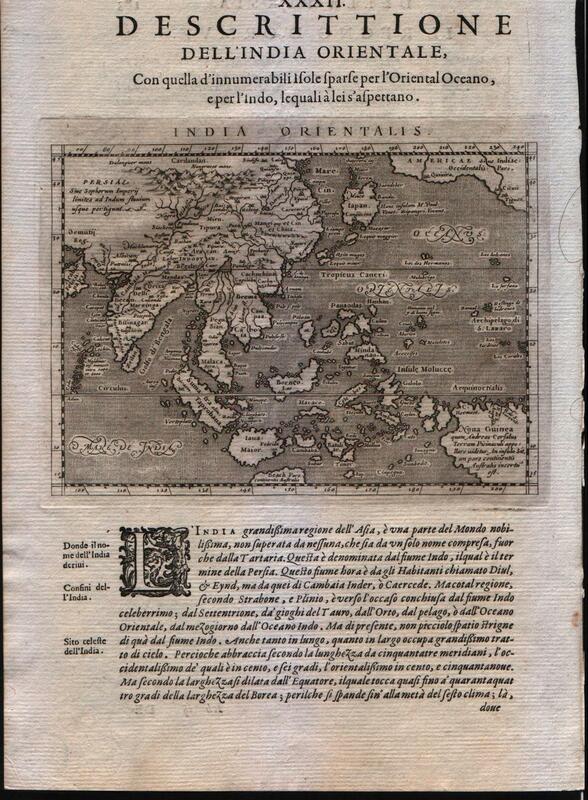 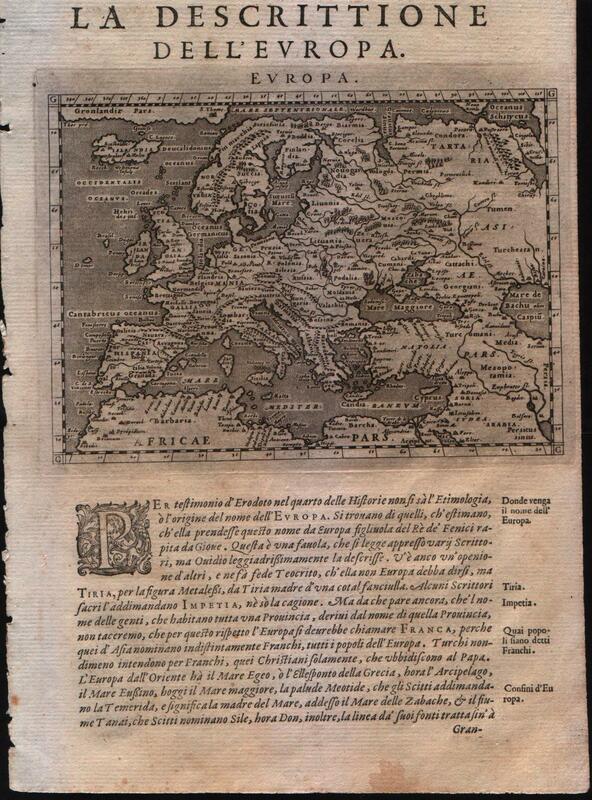 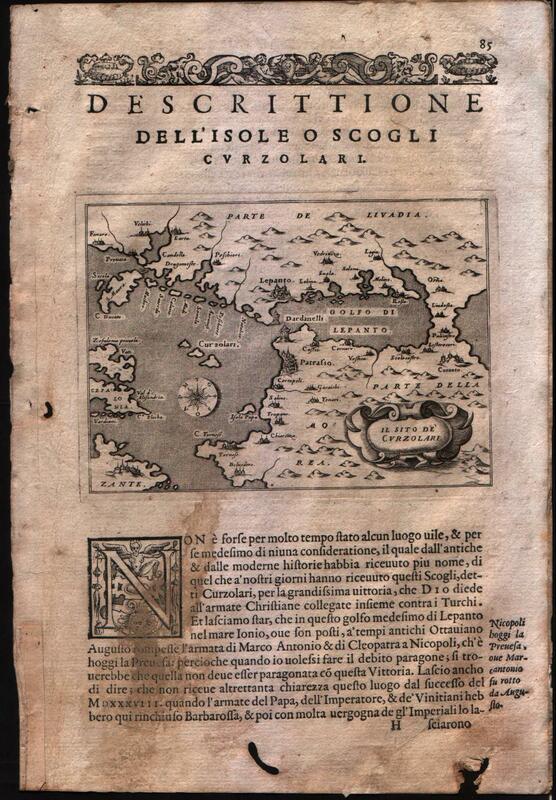 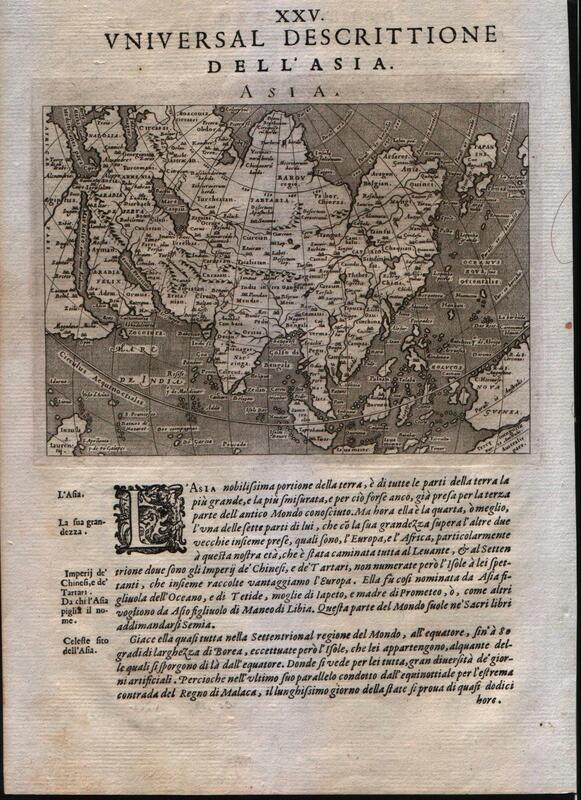 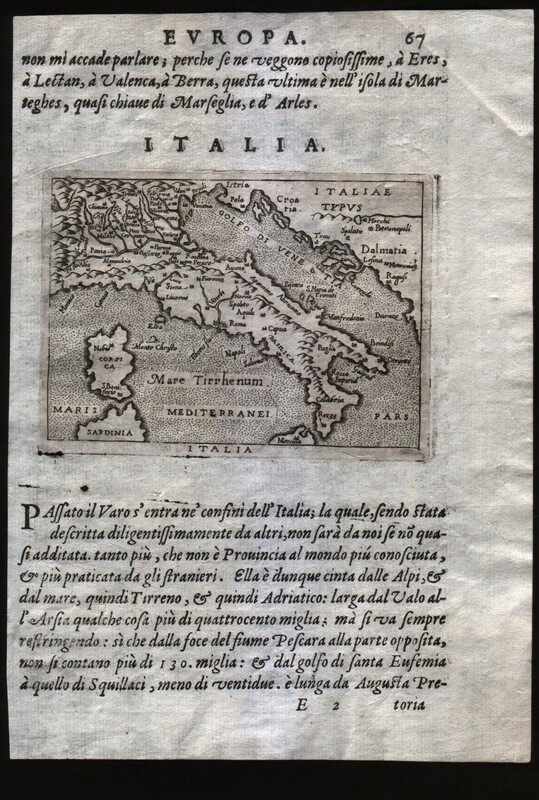 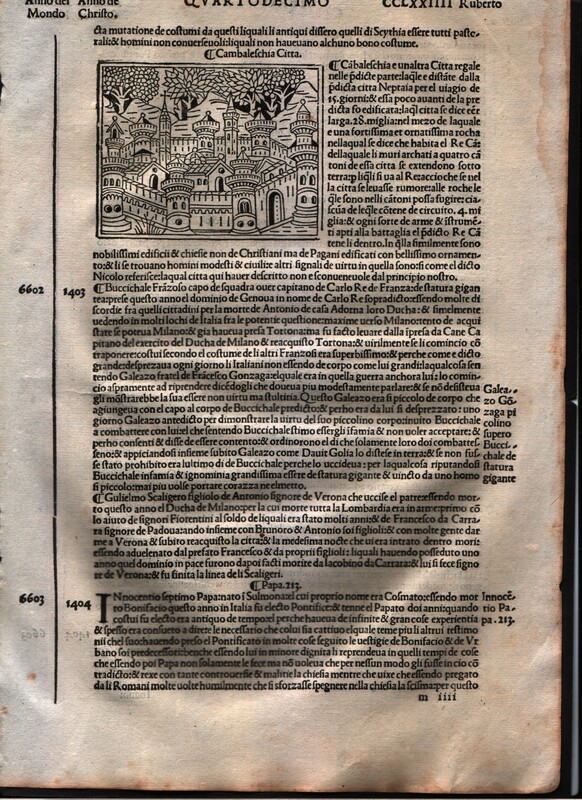 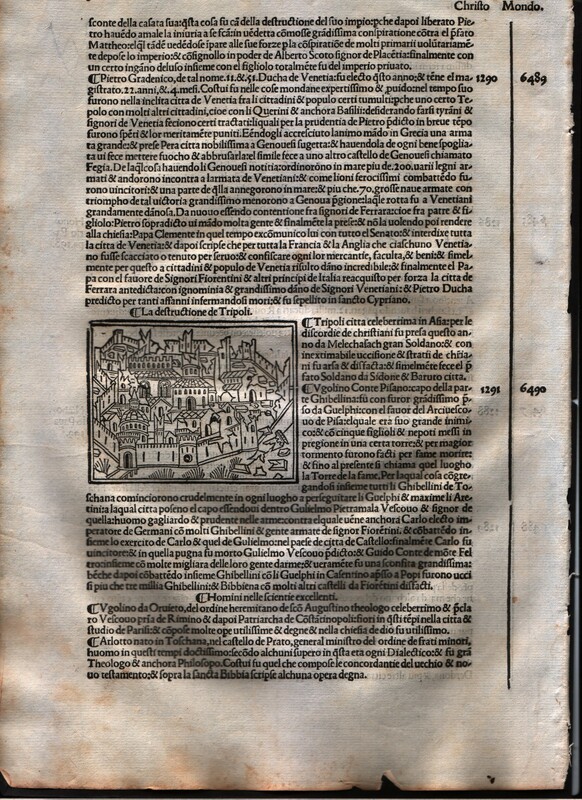 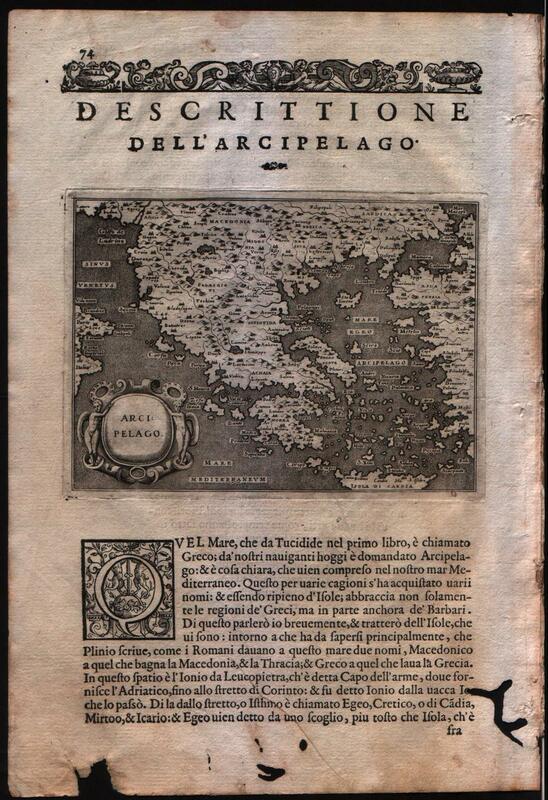 Pirate copy of Ortelius Minor. 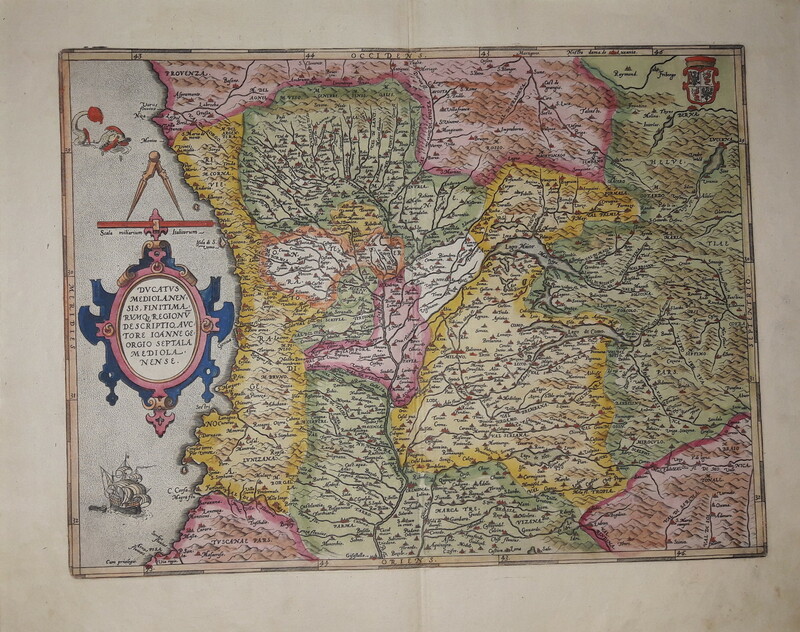 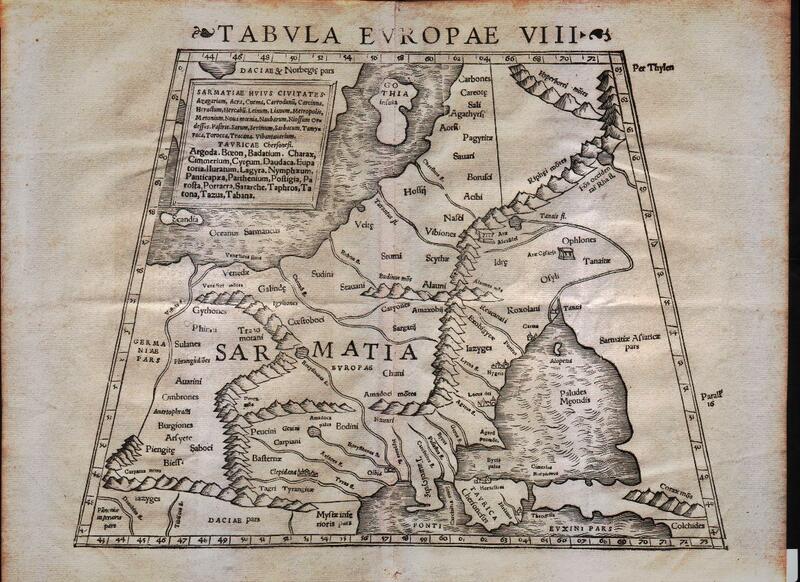 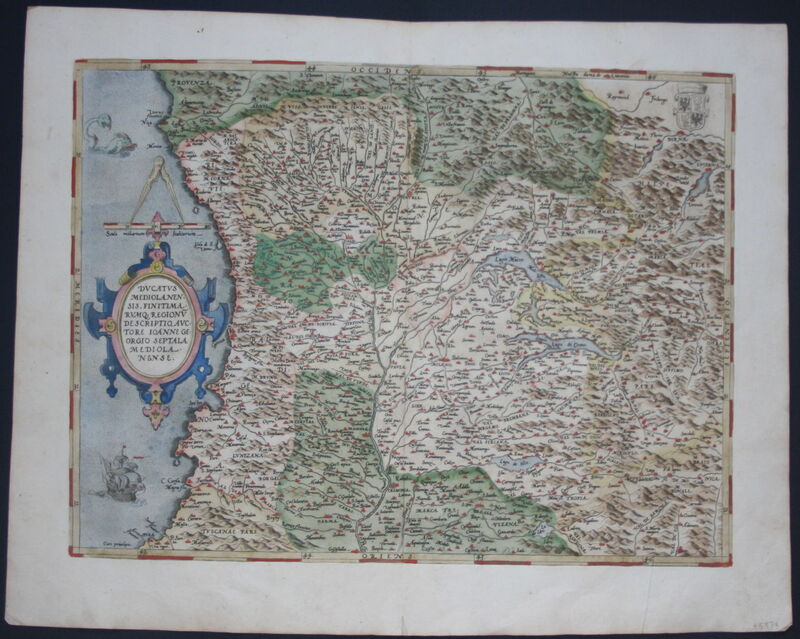 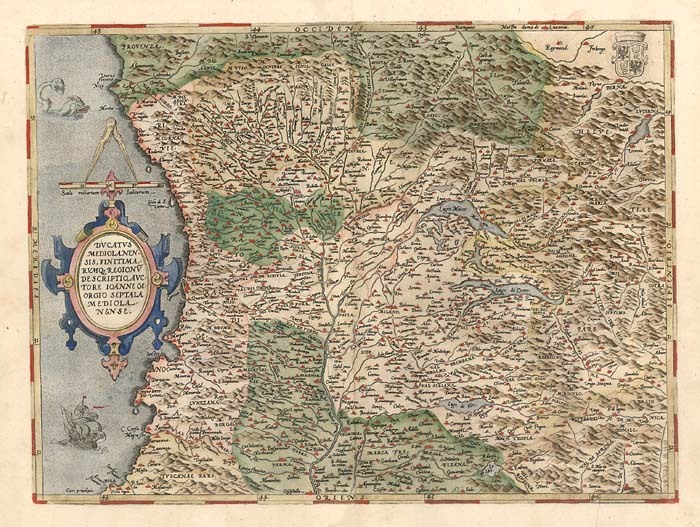 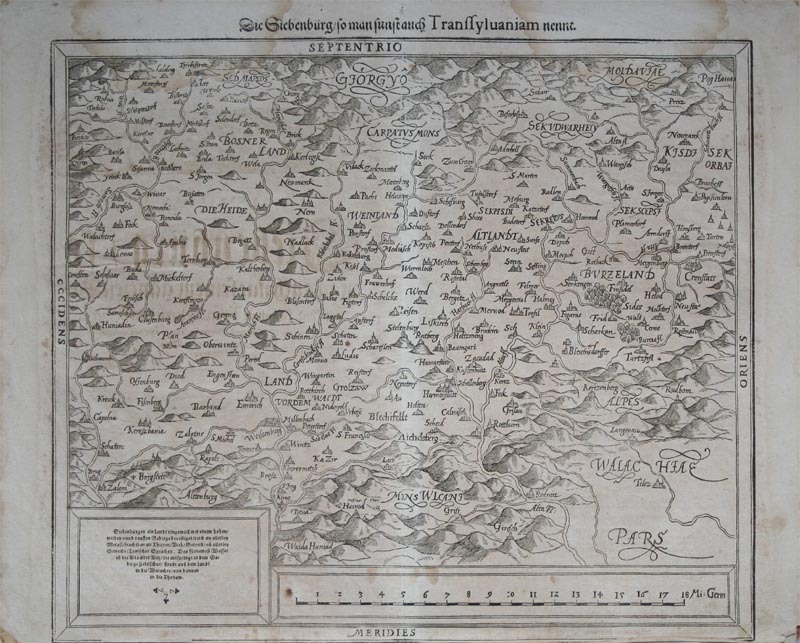 Central Romania, Moldova at the top right and Wallachia at the bottom right.